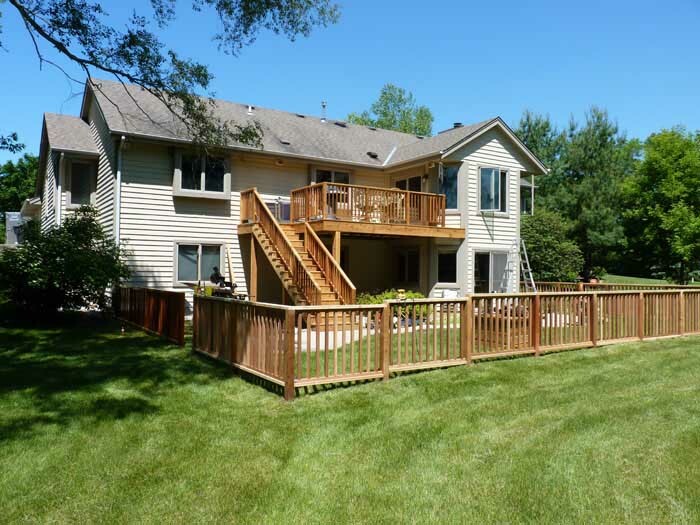 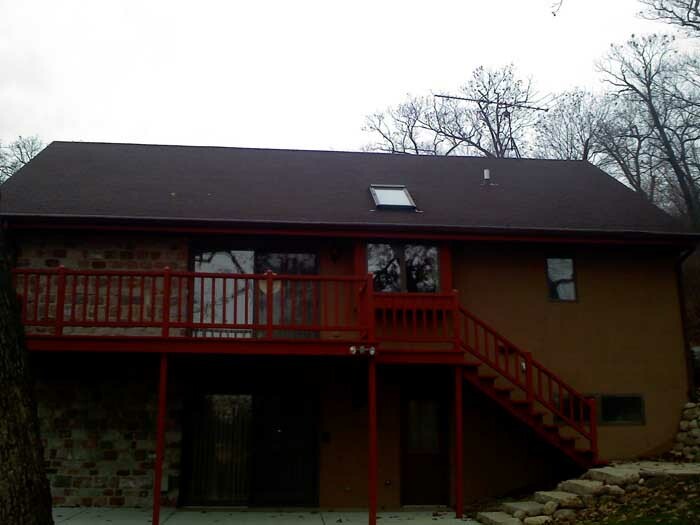 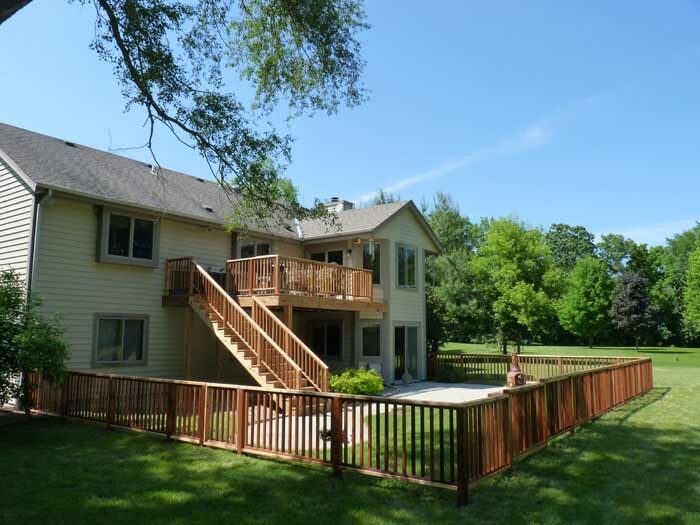 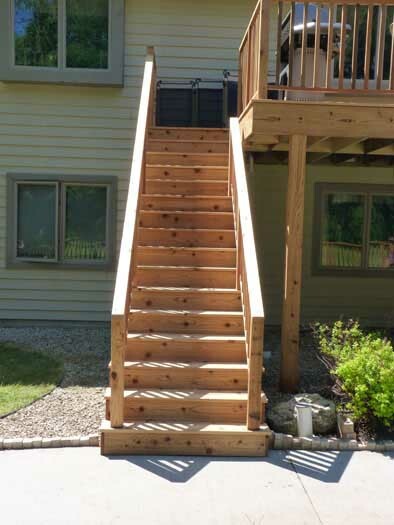 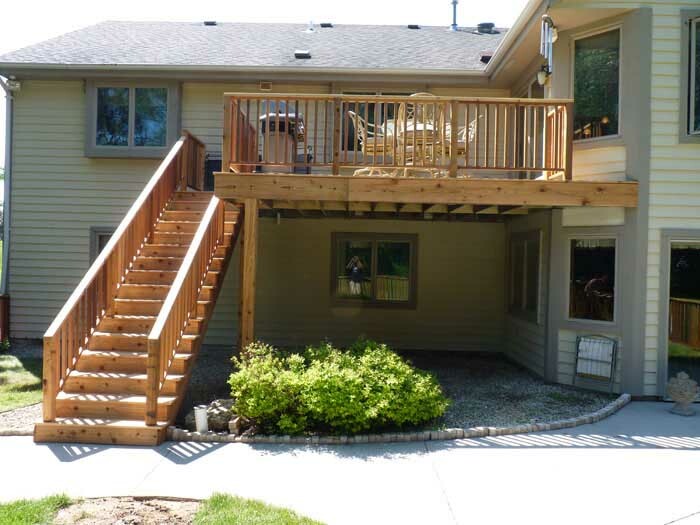 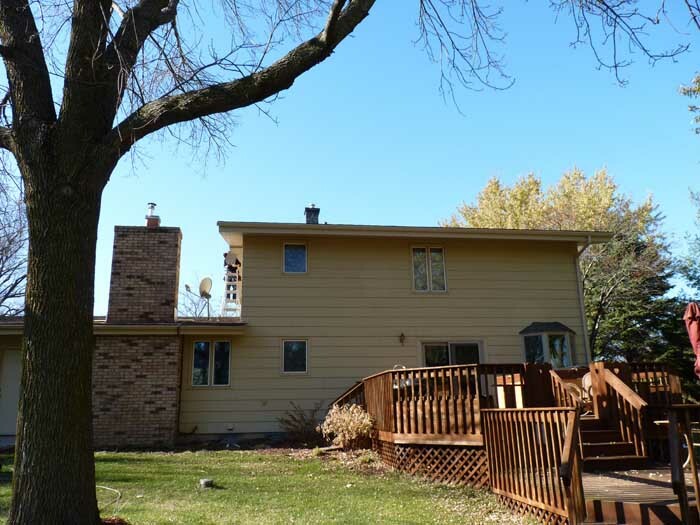 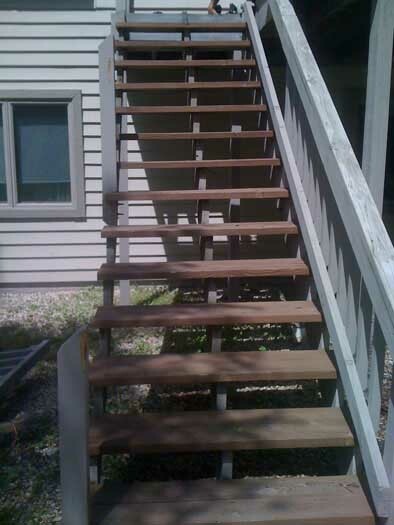 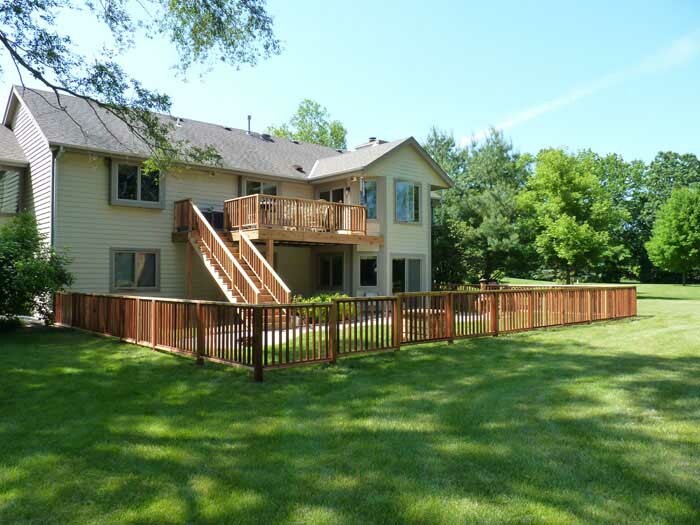 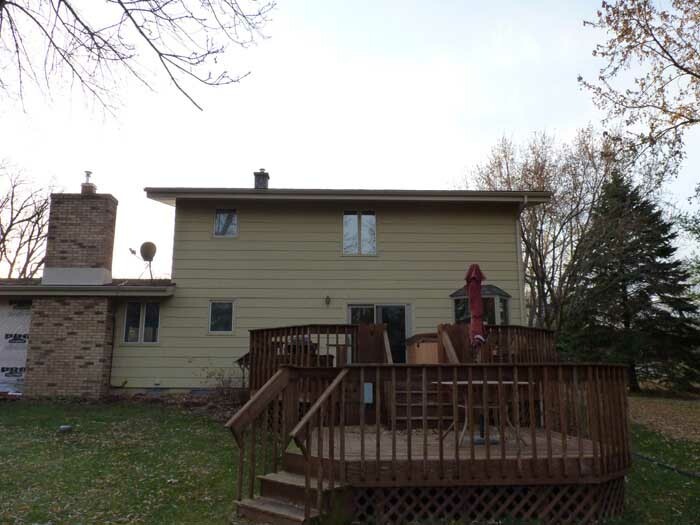 Demo complete deck and replaced damaged deck framing and stair treads. 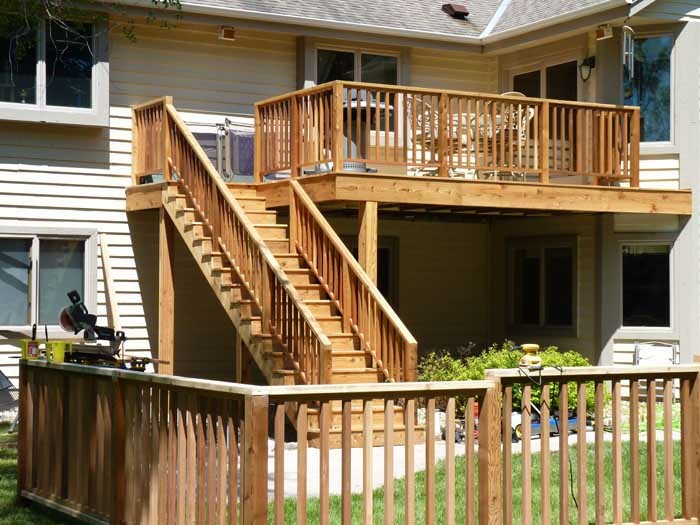 Installation of new cedar decking and railings. 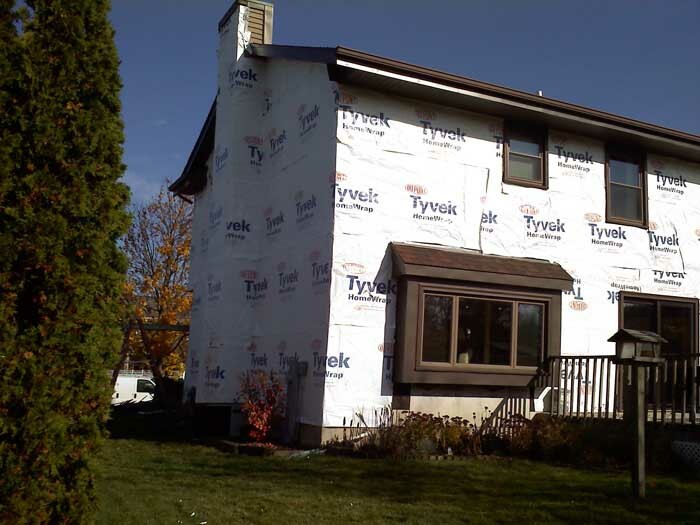 Capped framing and post with cedar. 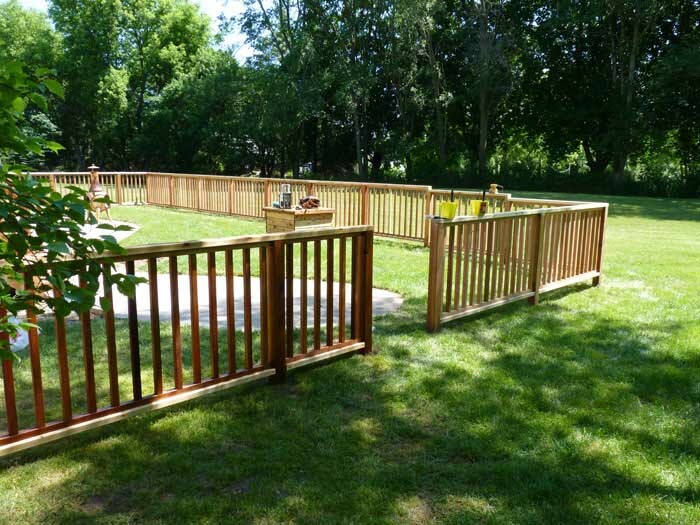 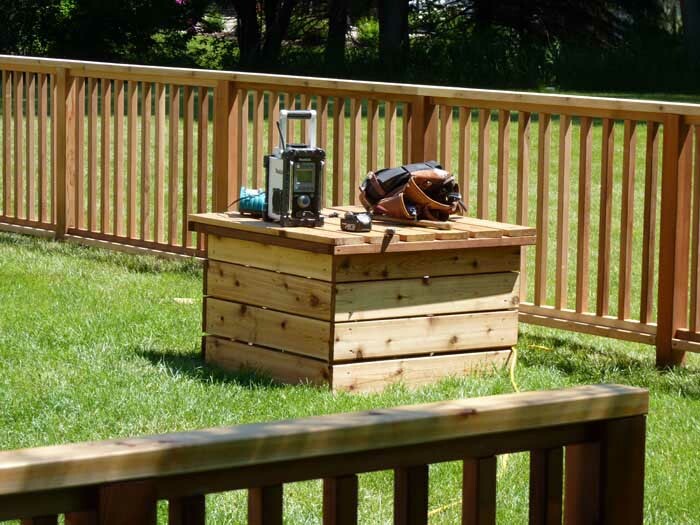 Built a 4' cedar fence with matching railing style of the deck. 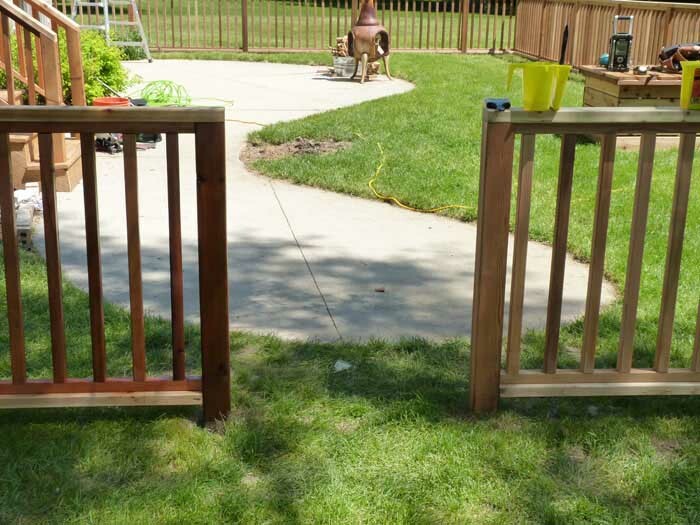 Installation of Thompson's WaterSeal on deck and fence. 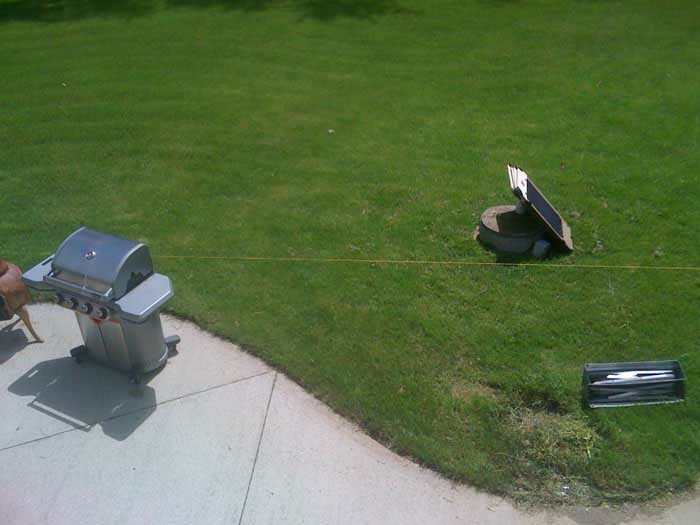 We also built a septic tank cover with extra materials. 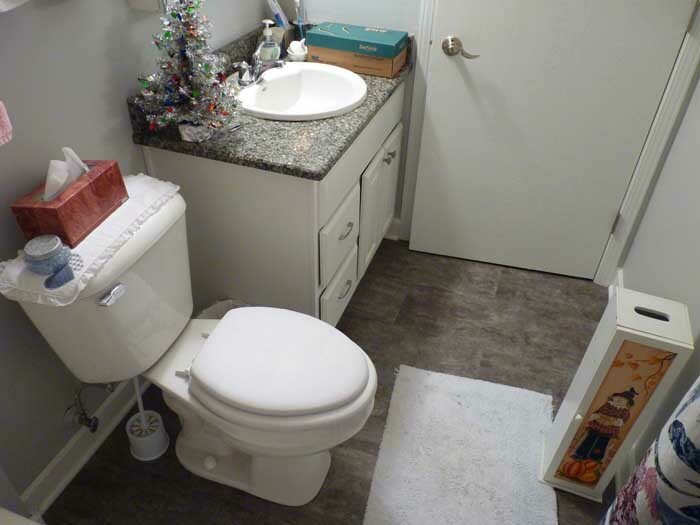 This job has 25 photos. 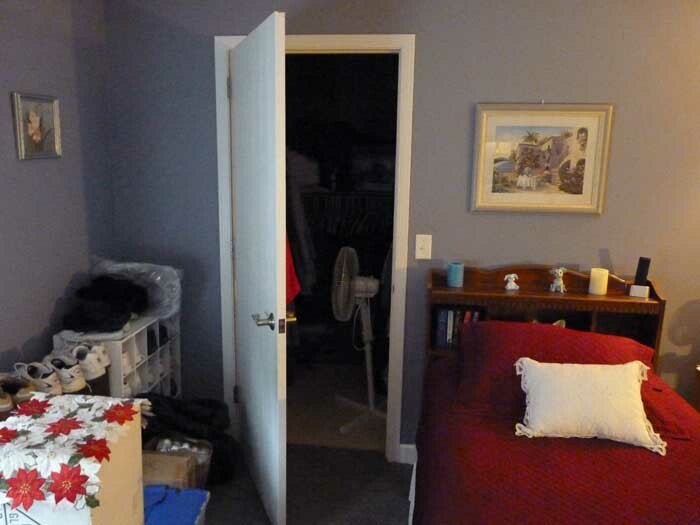 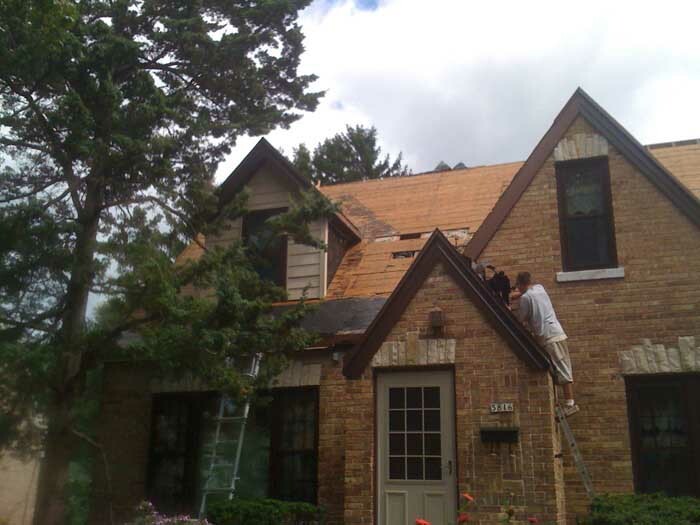 Click on the photo to see this jobs complete photo gallery. 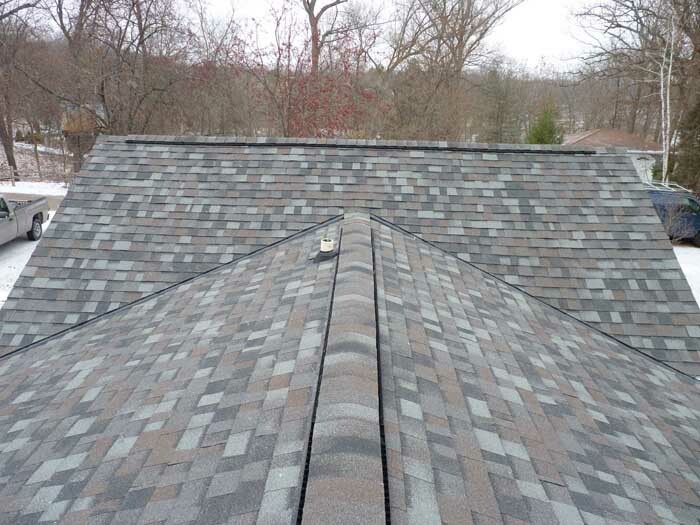 Complete 2 layer asphalt shingle tear-off. 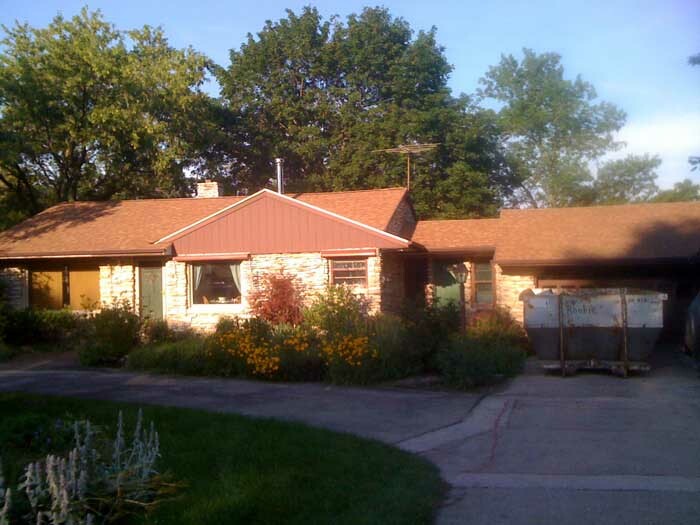 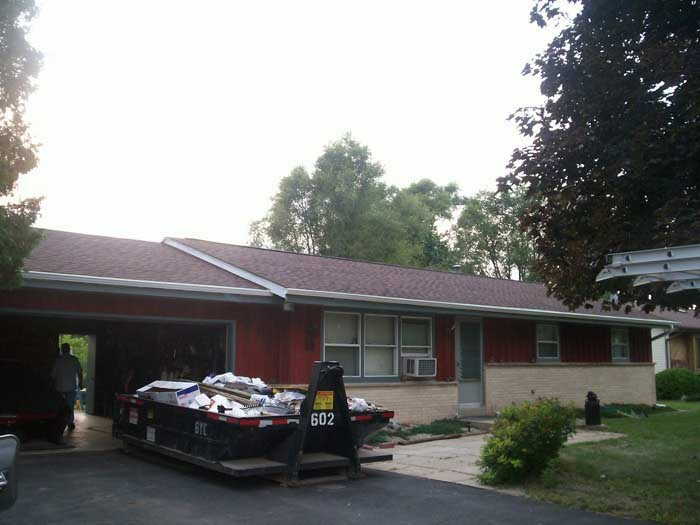 Installation of Owens Corning Durations 30 Year shingles (Color: Desert Tan). 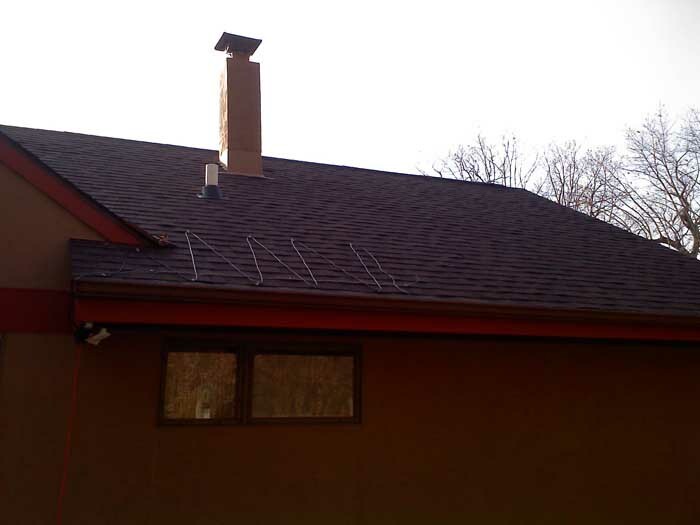 Installation of GAF-ELK Snow & Country Ridge Vent. 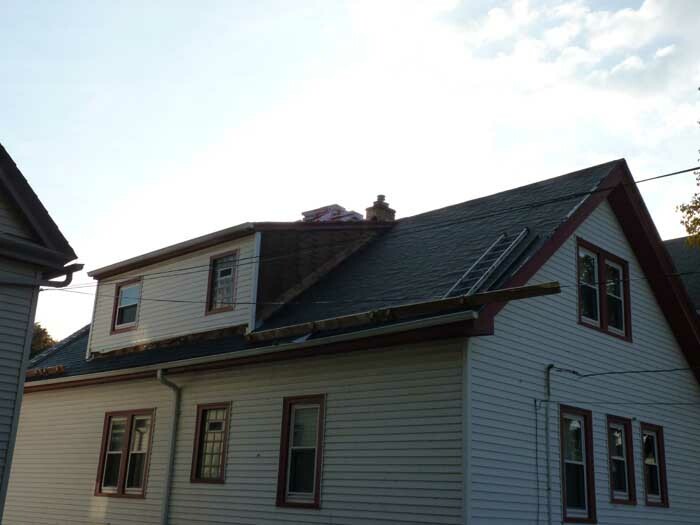 Installation of huge aluminum tuck point chimney flashing. 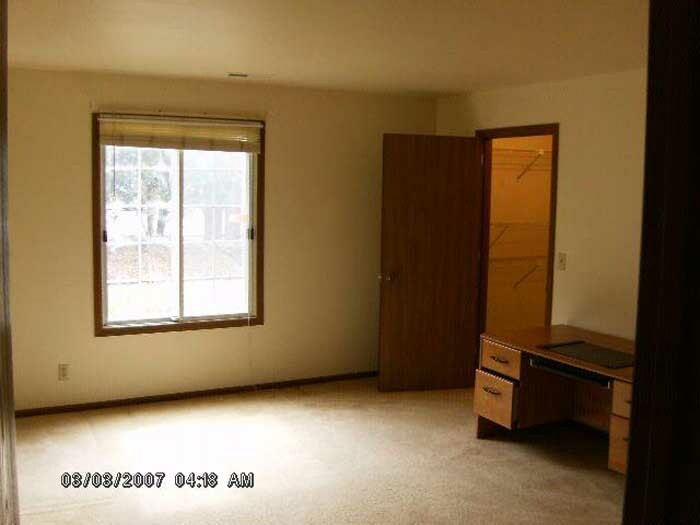 This job has 12 photos. 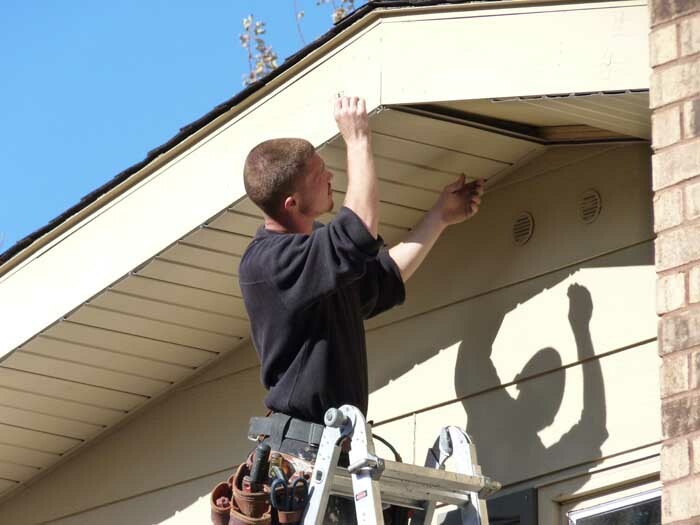 Click on the photo to see this jobs complete photo gallery. 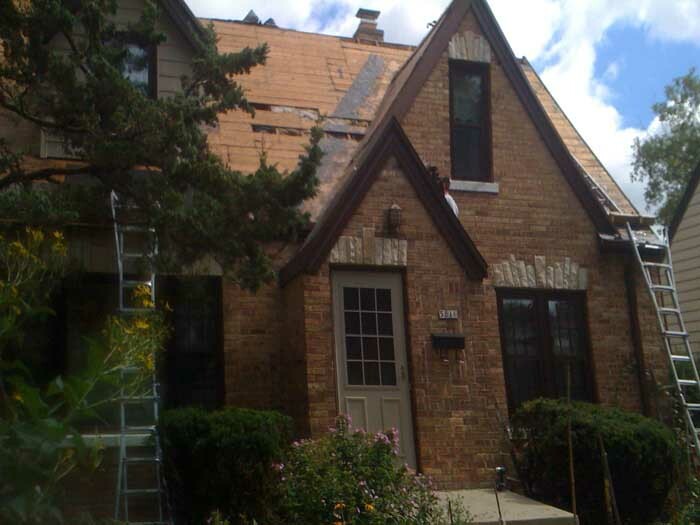 Complete 2 layer tear off and installation of 30 year Owens Corning Duration shingles. 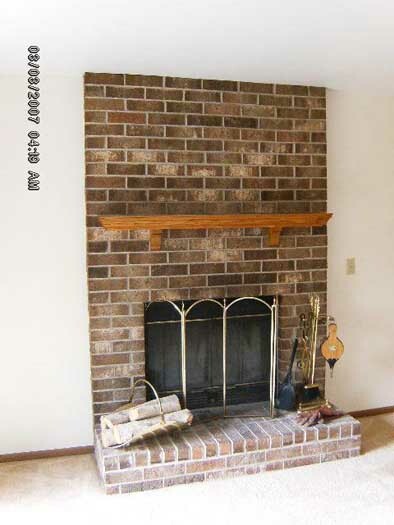 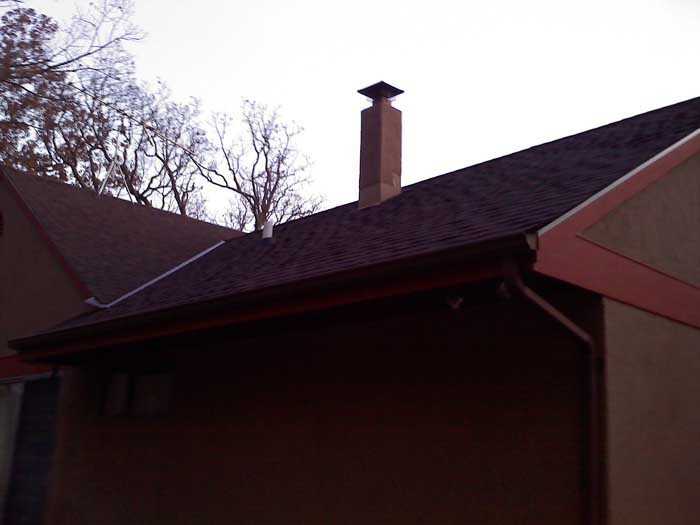 Tuck pointed chimney and installed a tuck point chimney flashing. 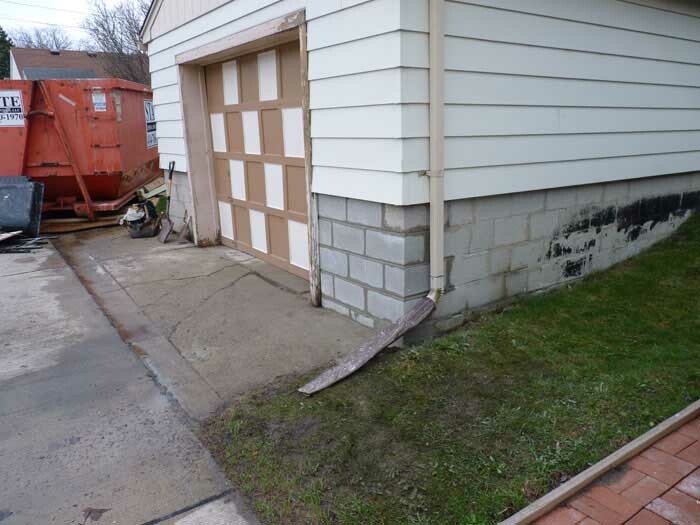 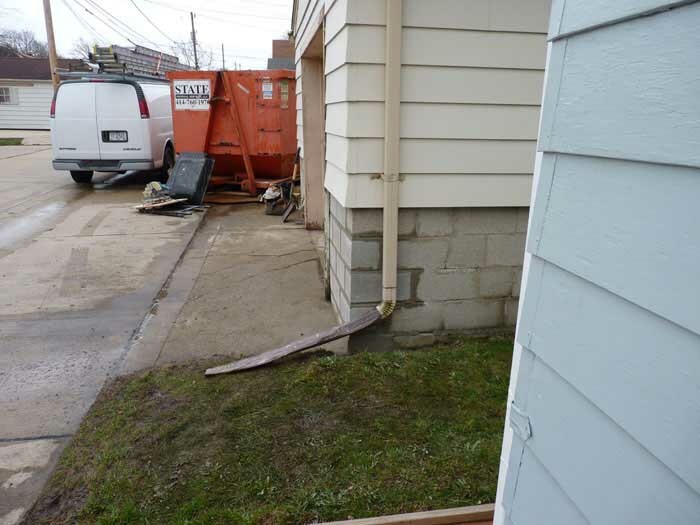 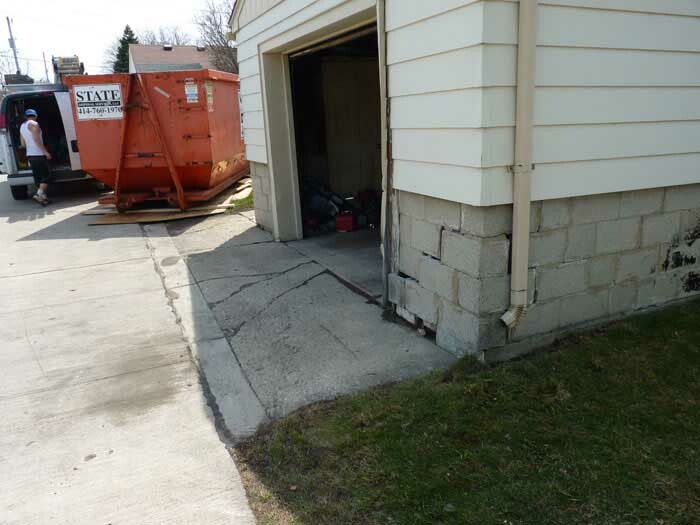 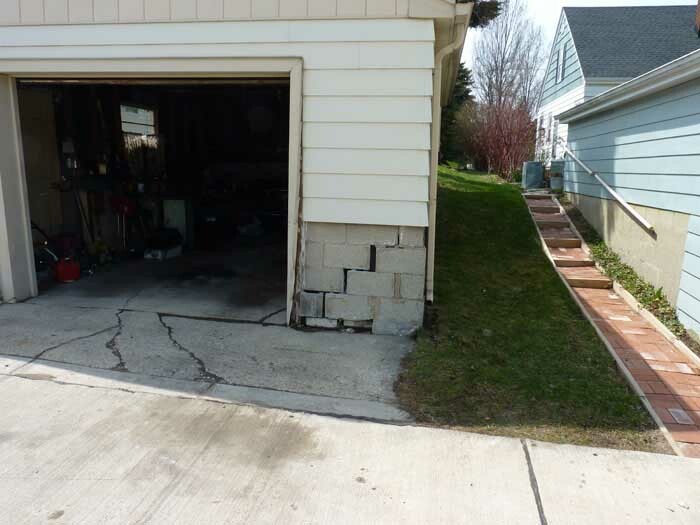 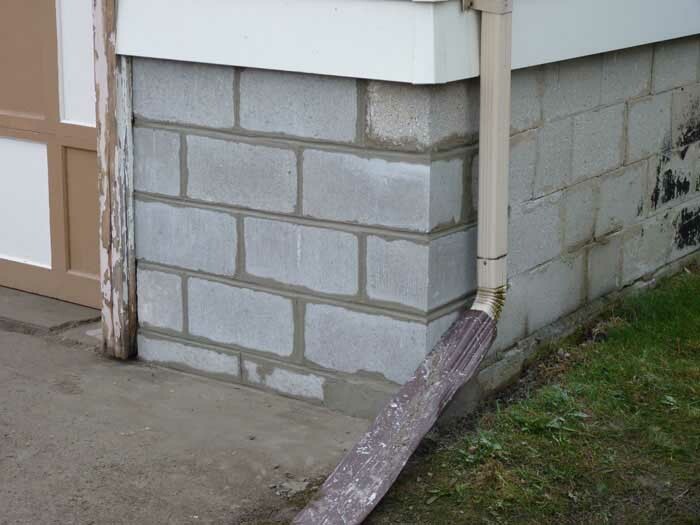 Removed damaged garage block and installed new. 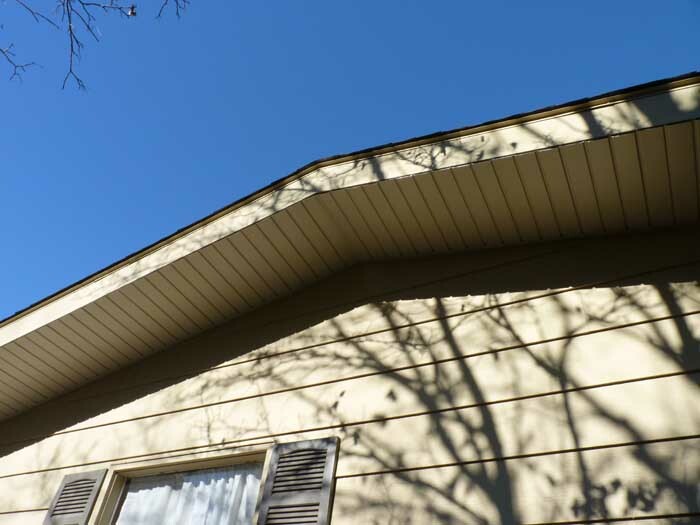 Re-Trimmed garage door in aluminum trim coil. 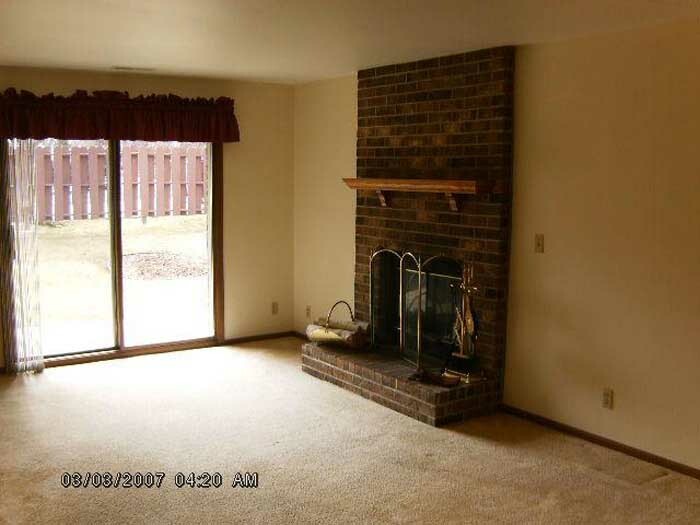 This job has 19 photos. 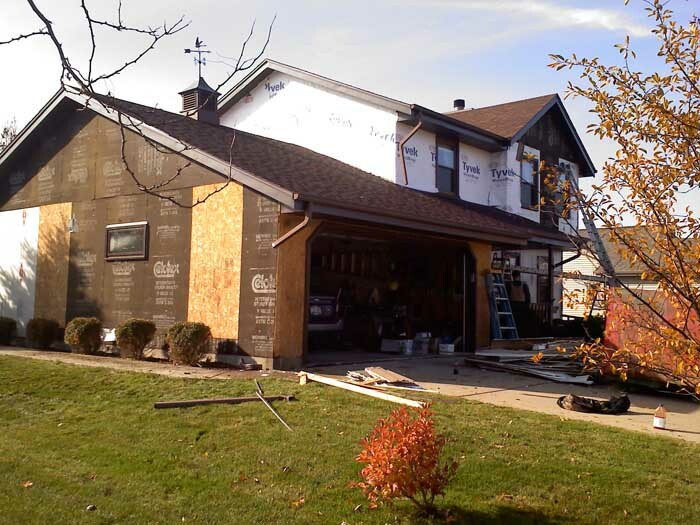 Click on the photo to see this jobs complete photo gallery. 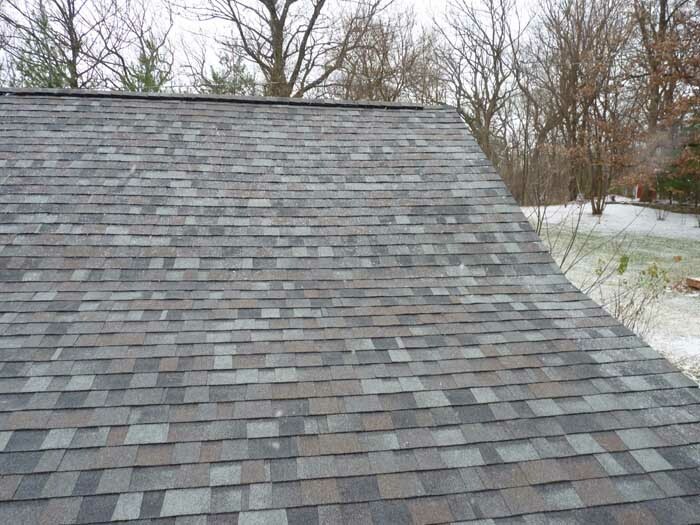 Complete 2 layer tear off and installation of 30 year Owens Corning Oak Ridge shingles. 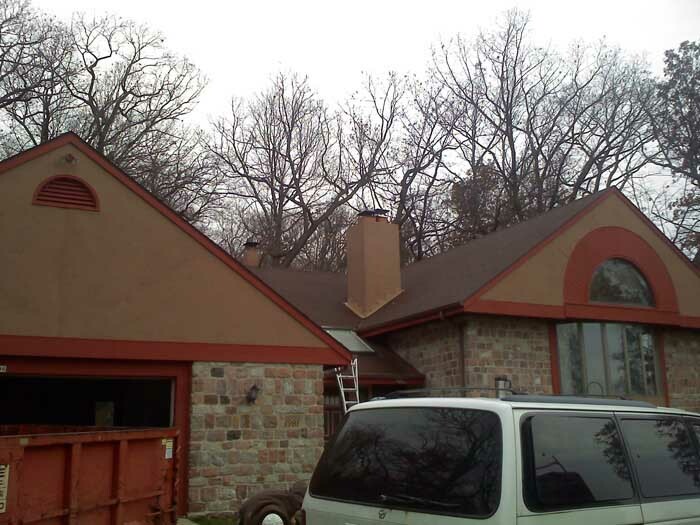 Tuck pointed chimney and installed a tuck point chimney flashing. 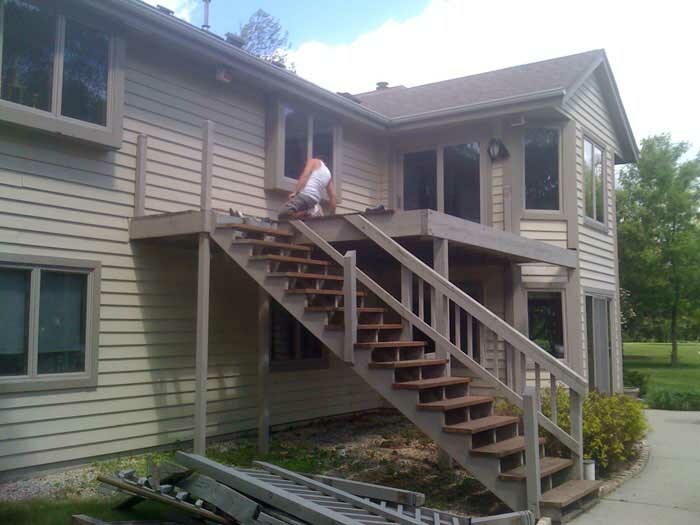 Removal of built in gutters on front porch. 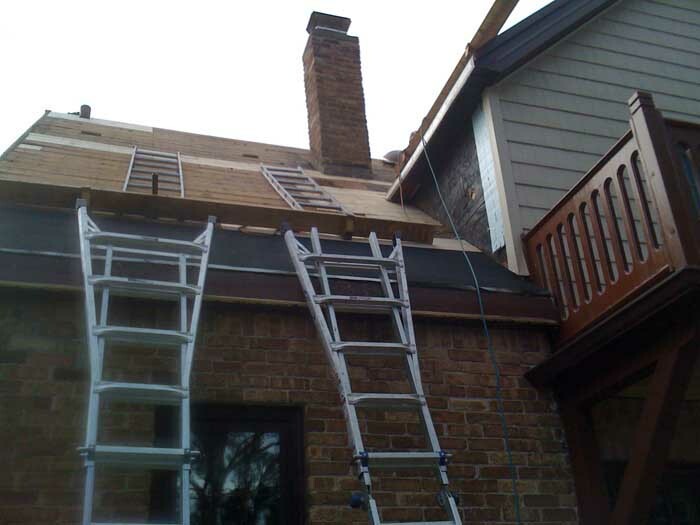 Tied in to existing rafters and installed cedar fascia and soffit. 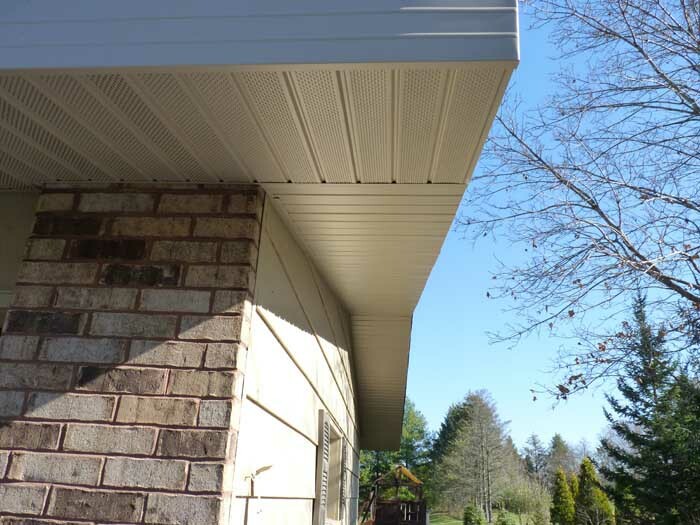 Installed 5K aluminum seamless gutters on front porch. 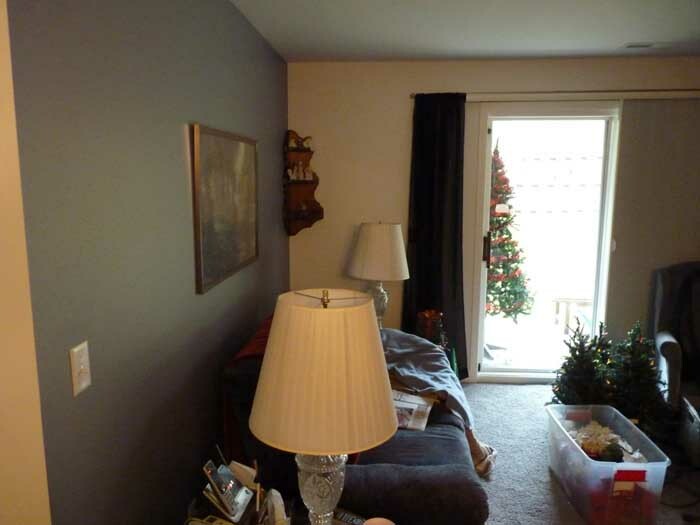 This job has 6 photos. 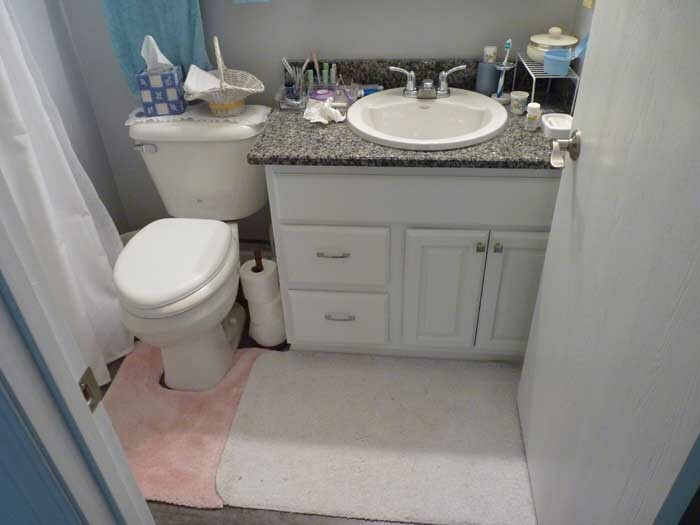 Click on the photo to see this jobs complete photo gallery. 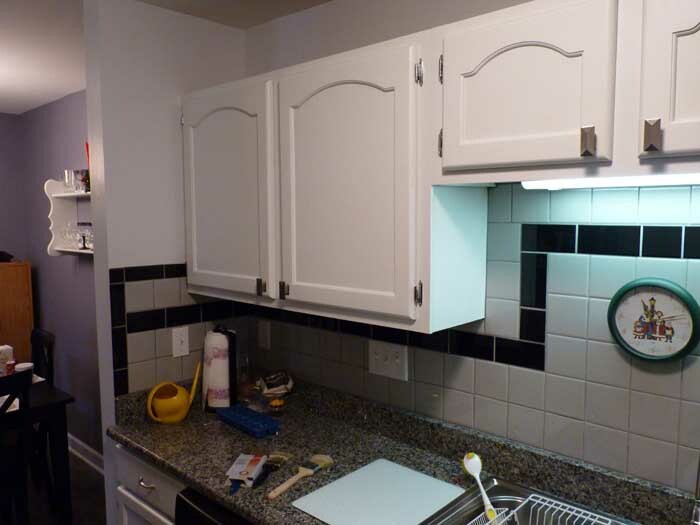 This job was a complete condo remodel. 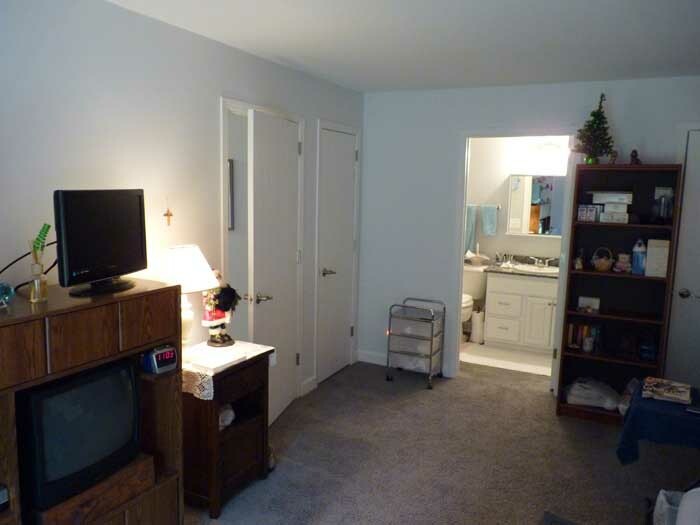 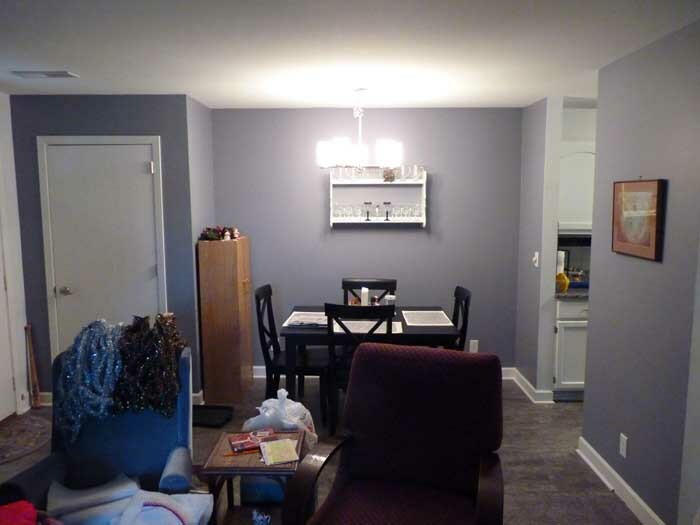 Primed and painted complete condo including trim and doors. 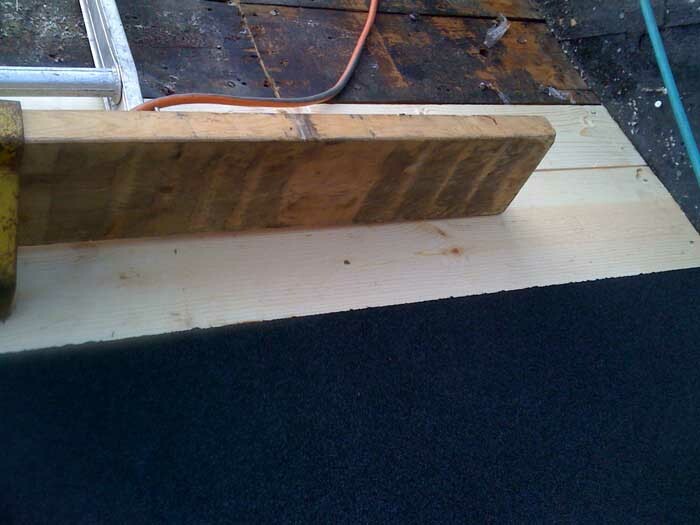 Installed new base threw out the complete condo. 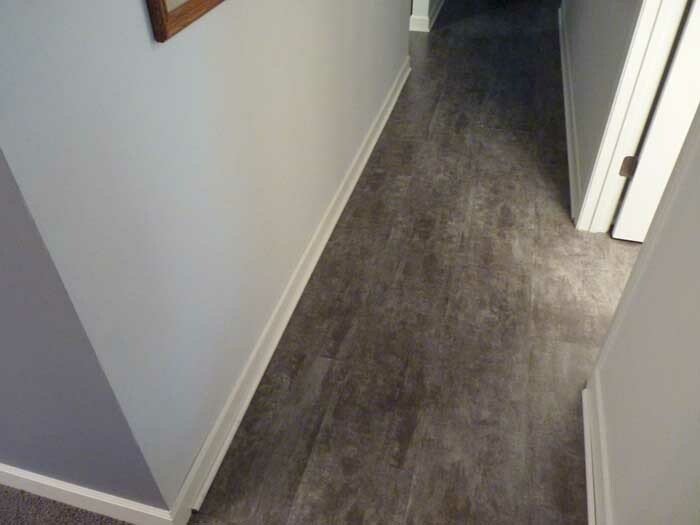 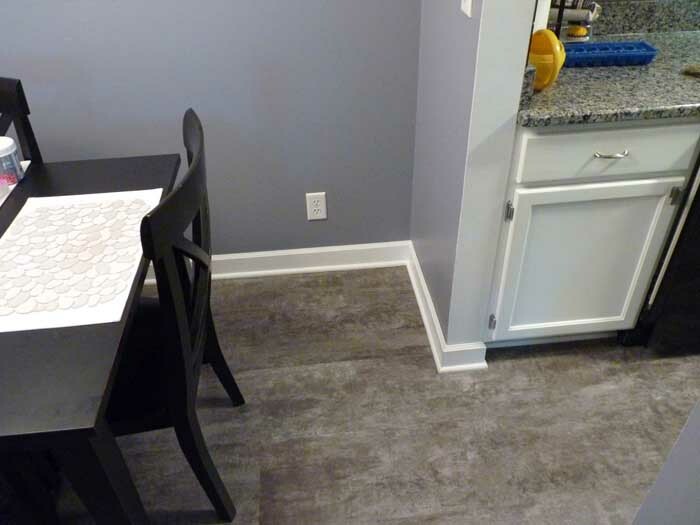 Installed engineered flooring and carpet threw out the condo. 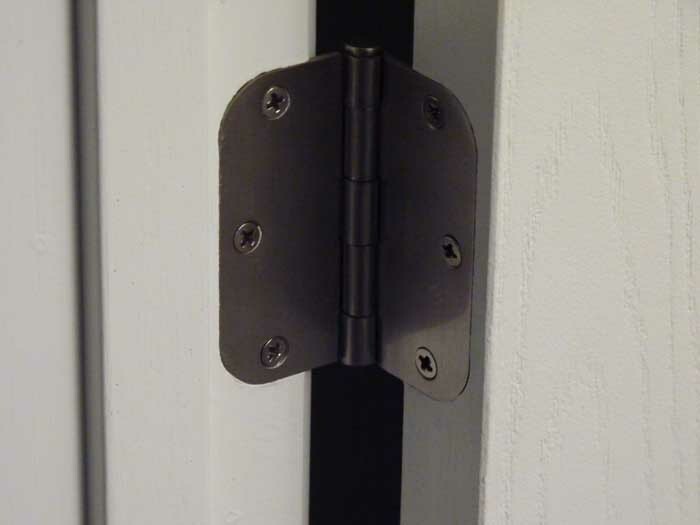 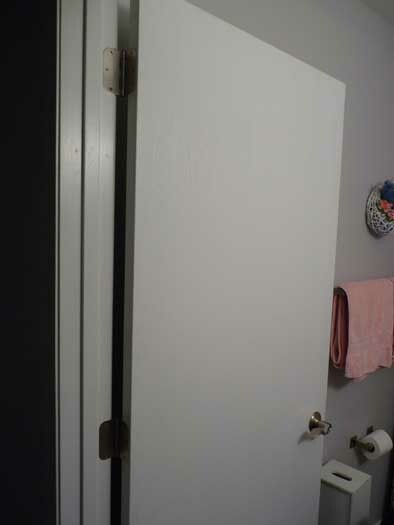 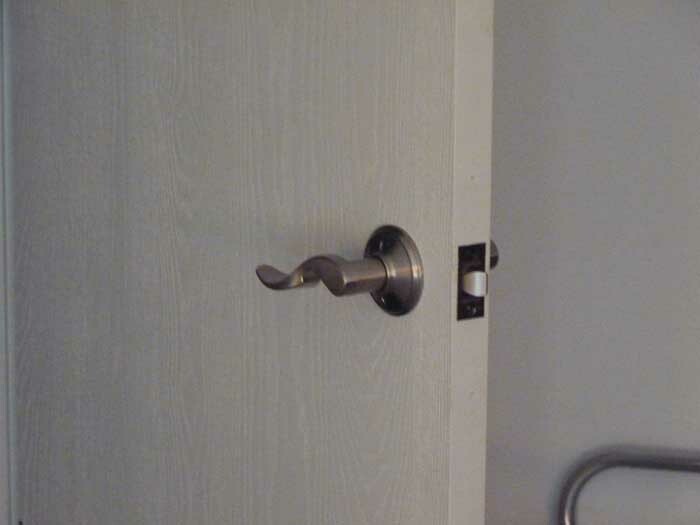 Installed new door handles and hinges on doors. 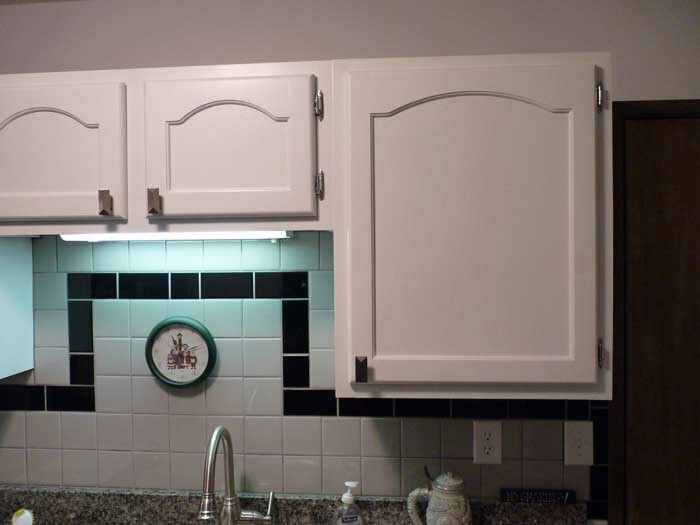 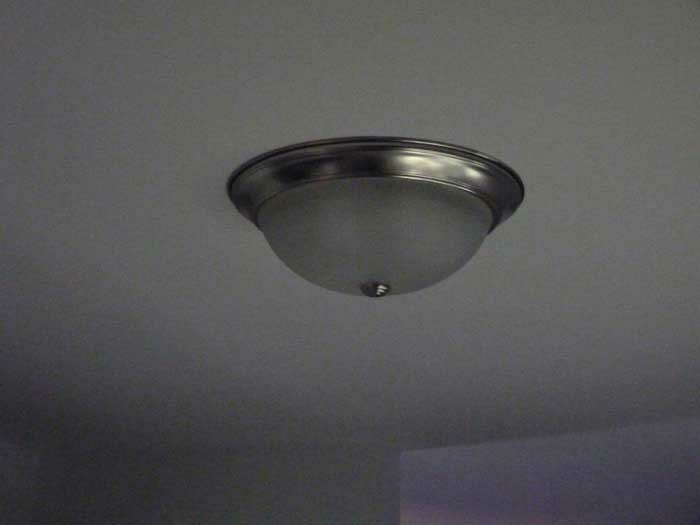 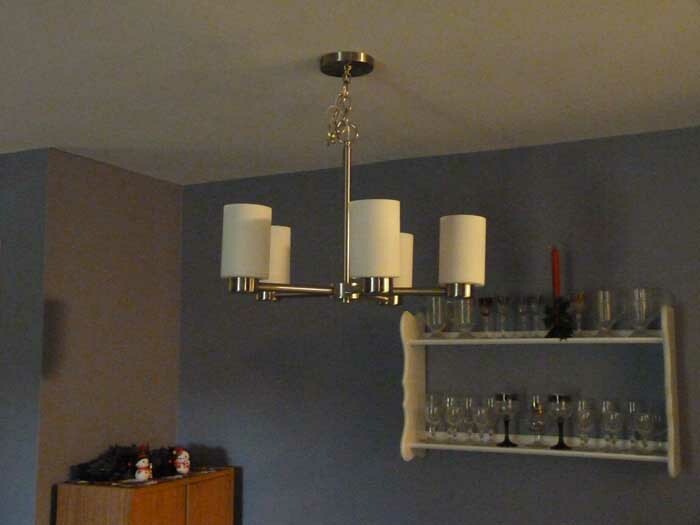 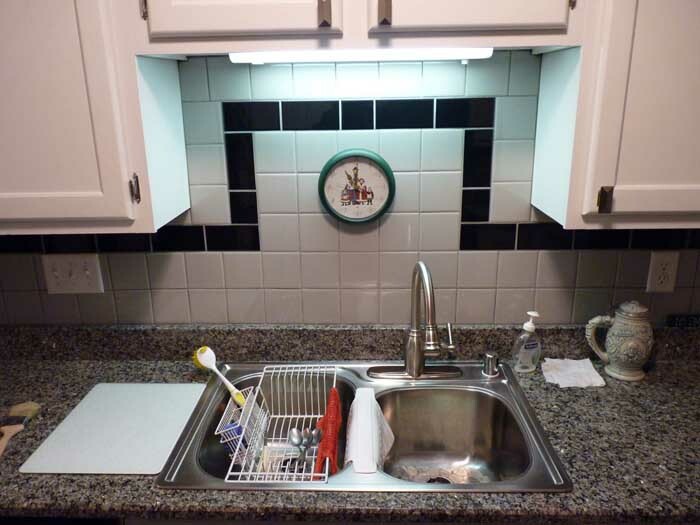 Installed all new light fixtures. 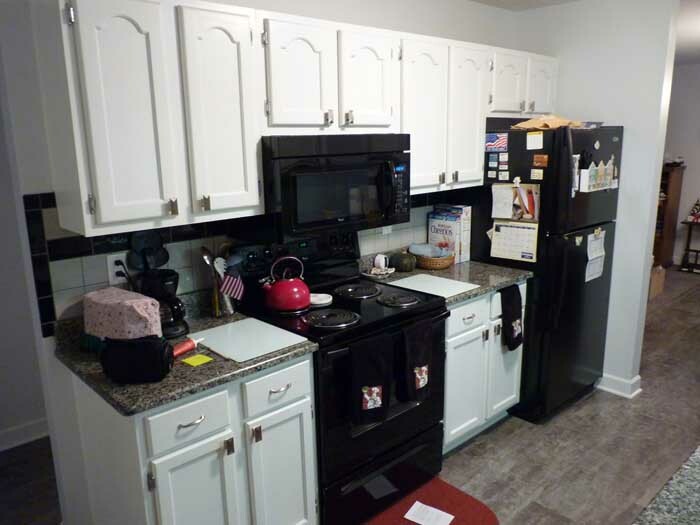 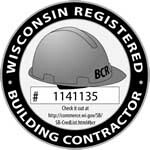 In the kitchen we installed the granite counters, sink, garbage disposal, dishwasher, stove, microwave, refrigerator, facet, and backsplash. 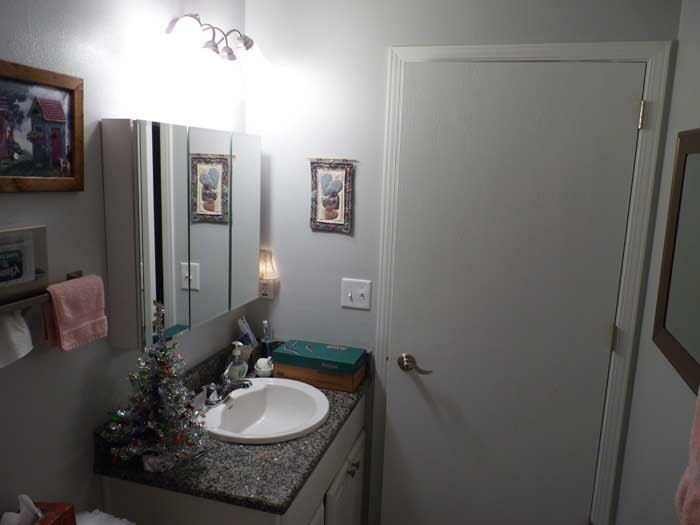 The bathrooms we installed new vanities, medicine cabinets, toilets, granite counters, light fixtures and faucets. 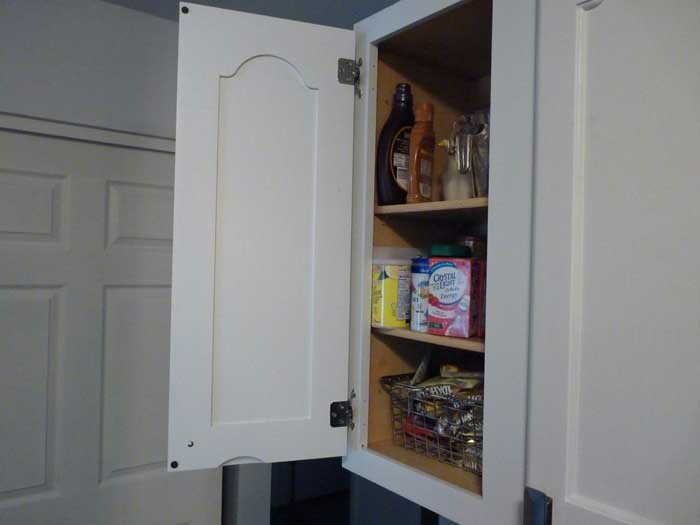 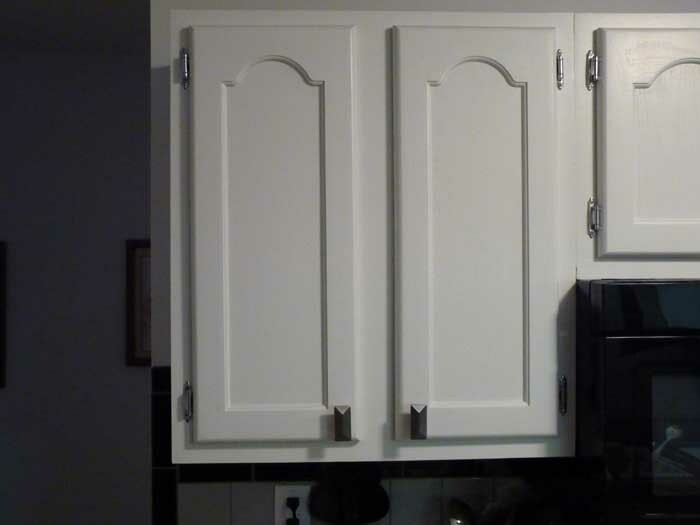 We also primed and painted the vanities and installed hardware. 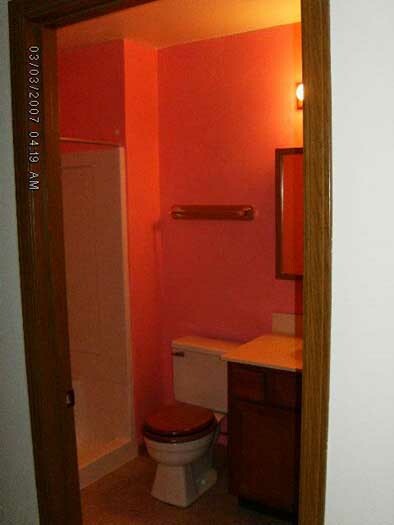 This job has 50 photos. 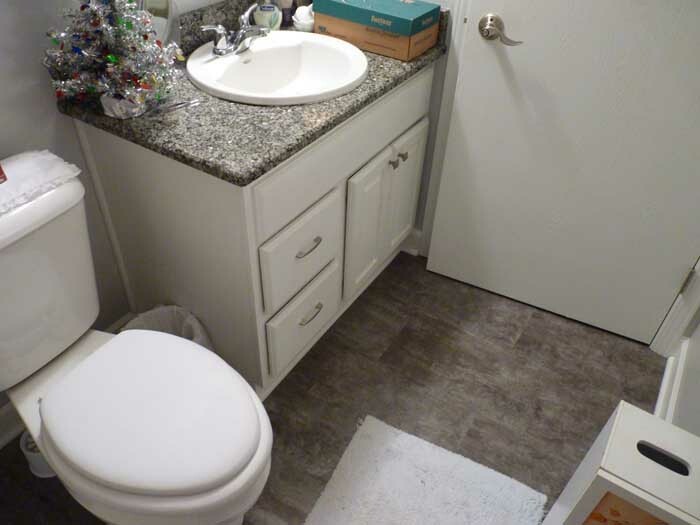 Click on the photo to see this jobs complete photo gallery. 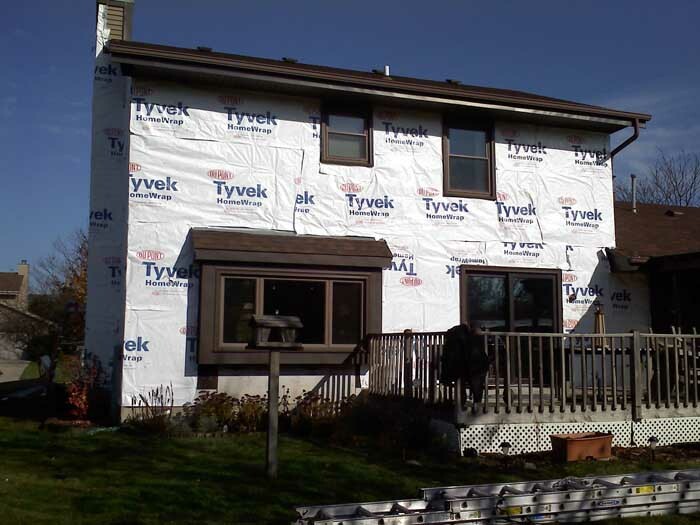 Complete tear off of wood siding. 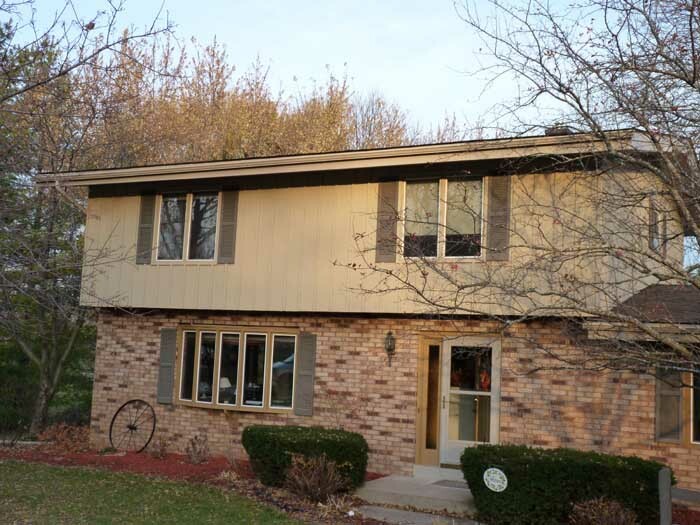 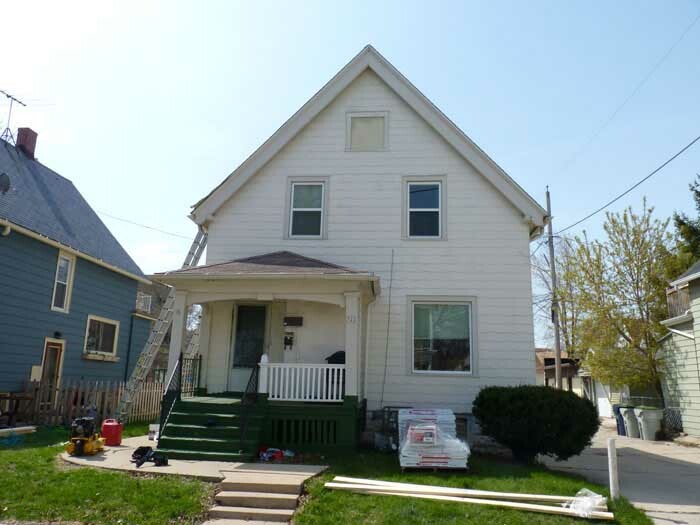 Removal of trim on windows and doors. 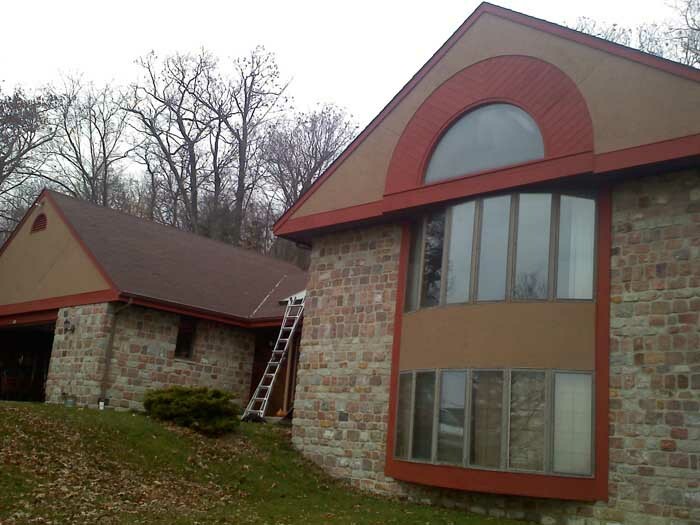 Installation of aluminum trim on windows & doors. 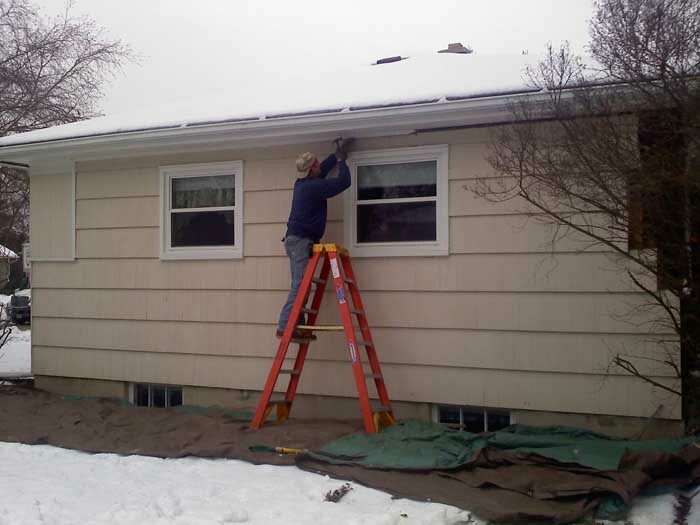 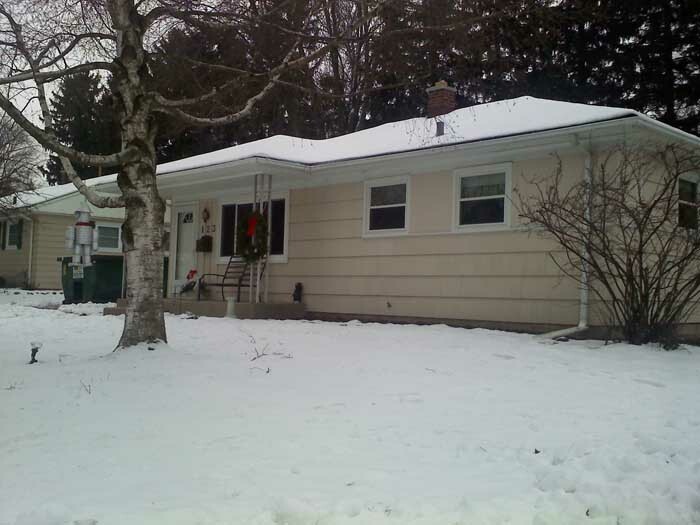 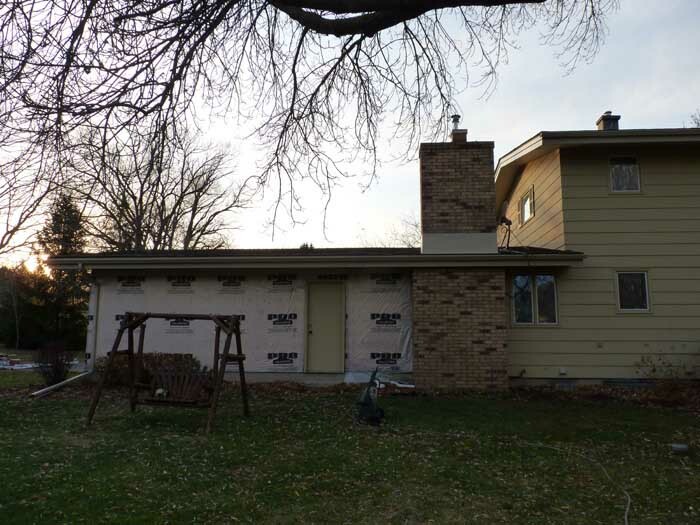 Installation of CraneBoard (Color: Wheat) insulated siding. 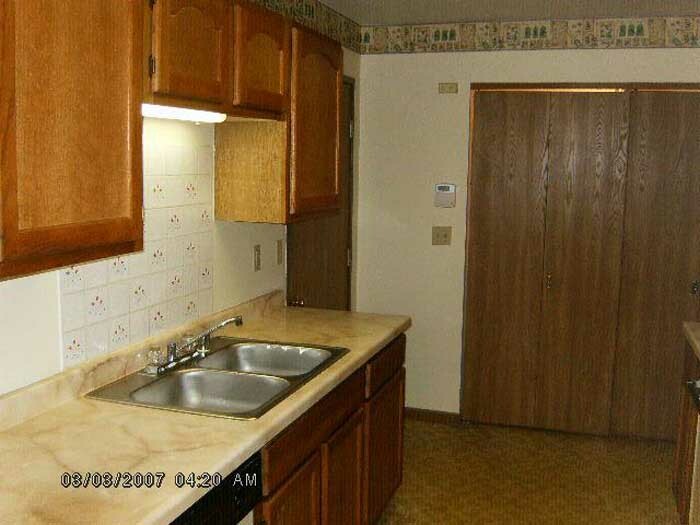 This job has 15 photos. 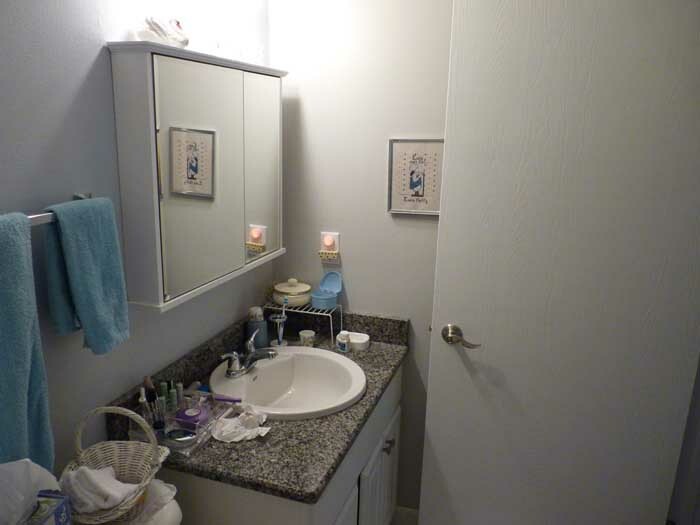 Click on the photo to see this jobs complete photo gallery. 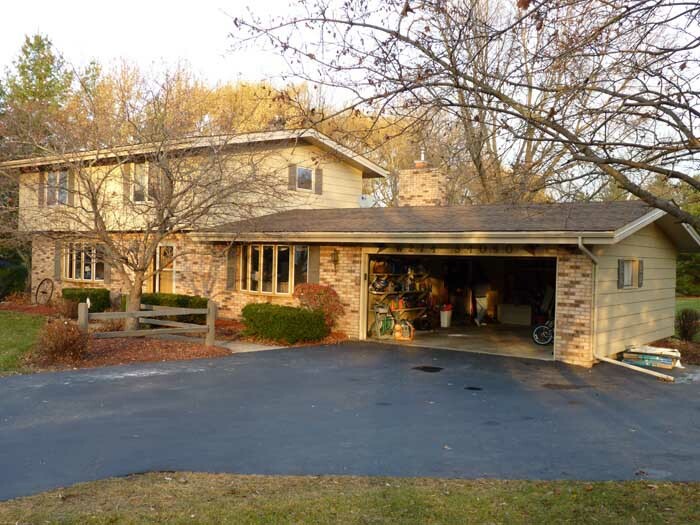 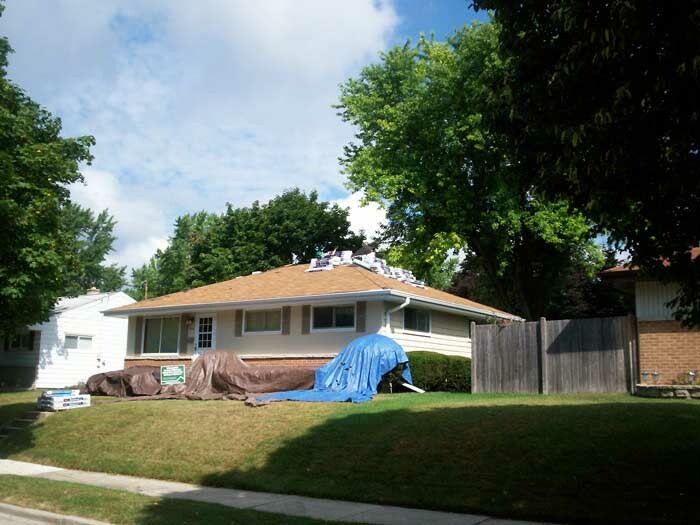 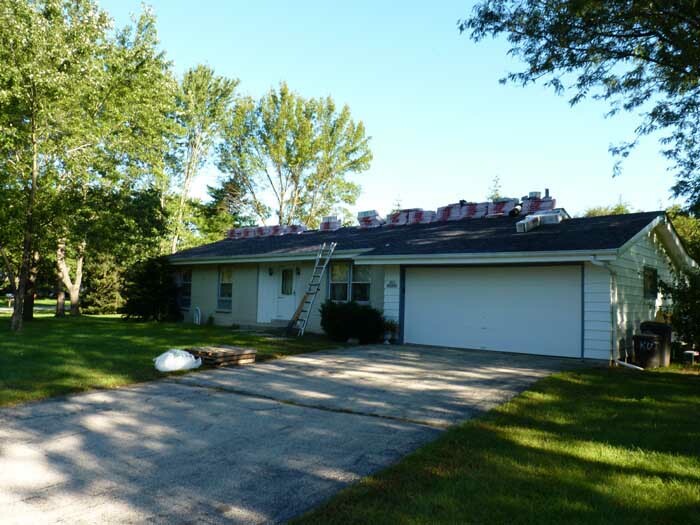 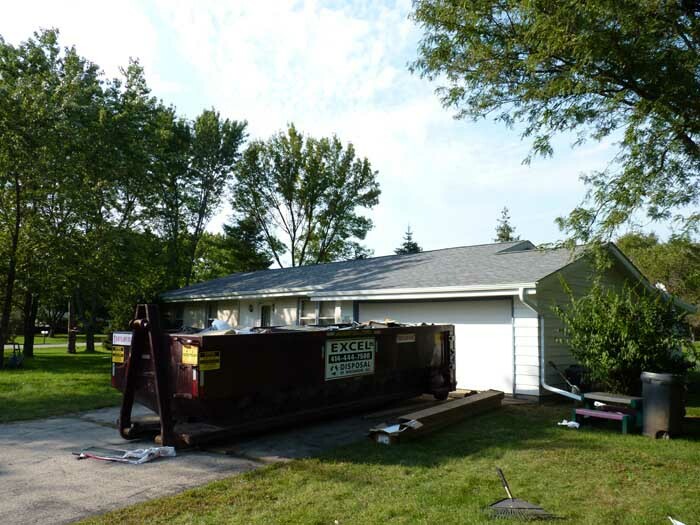 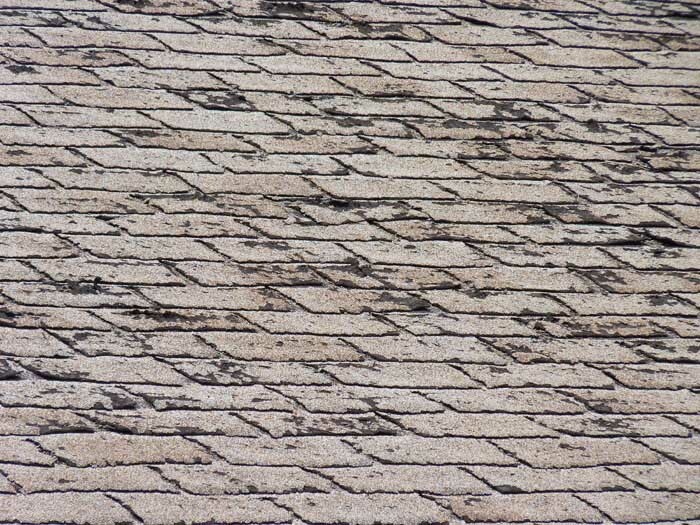 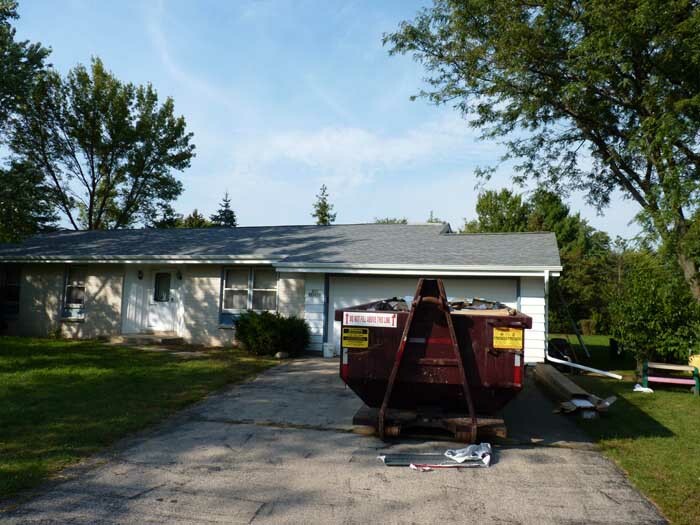 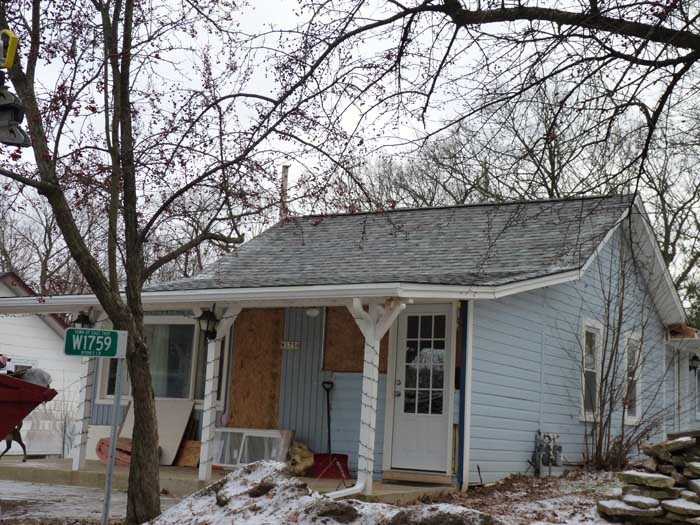 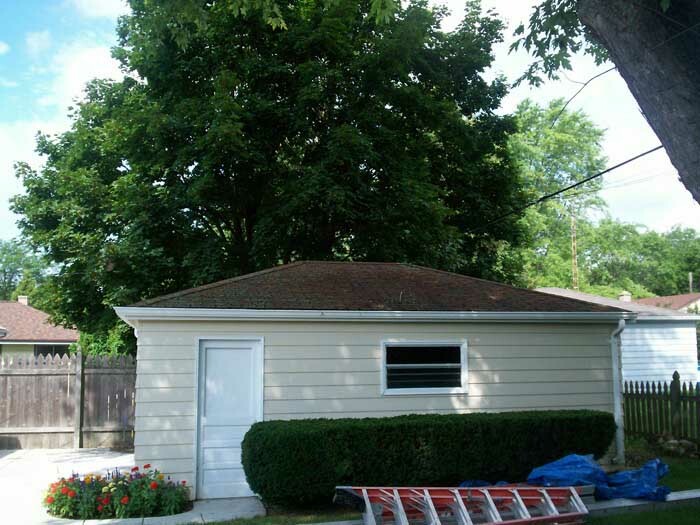 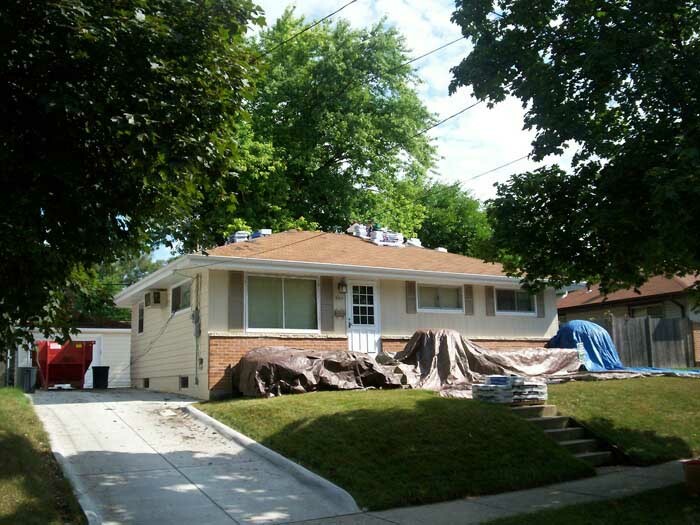 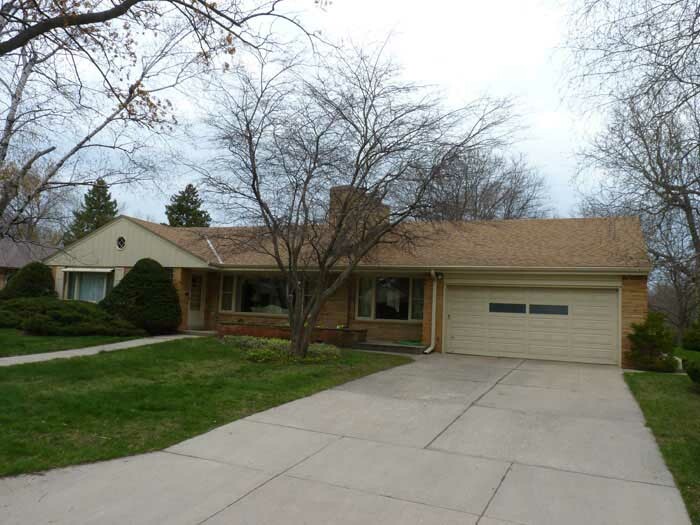 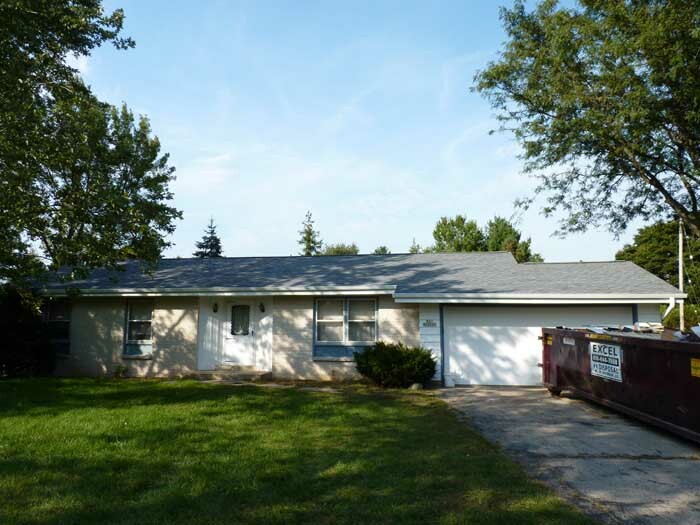 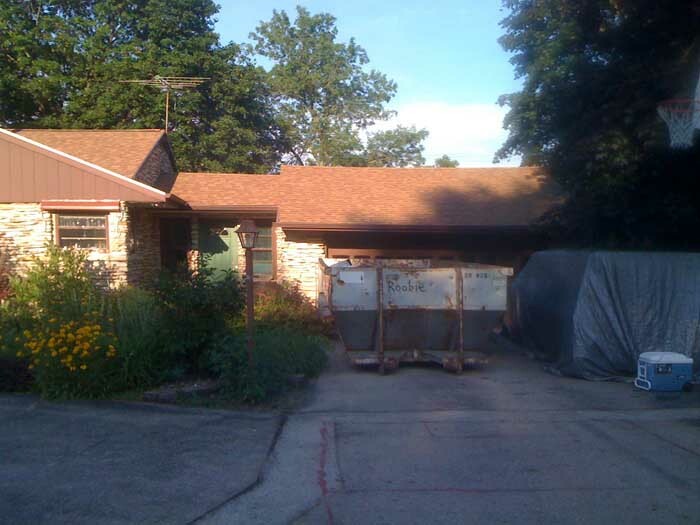 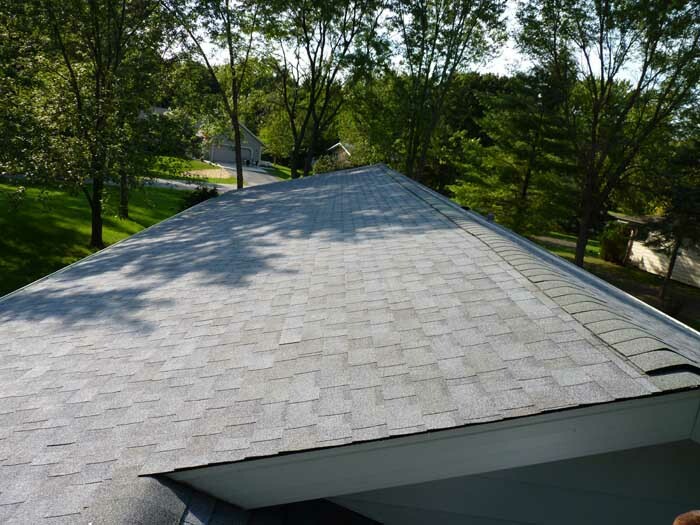 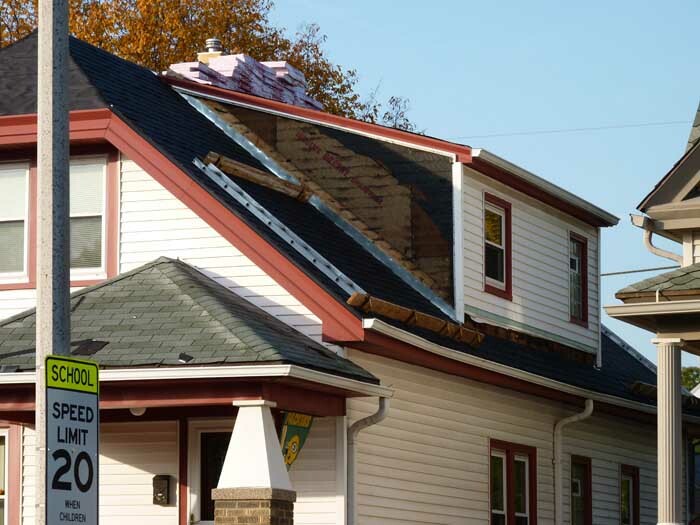 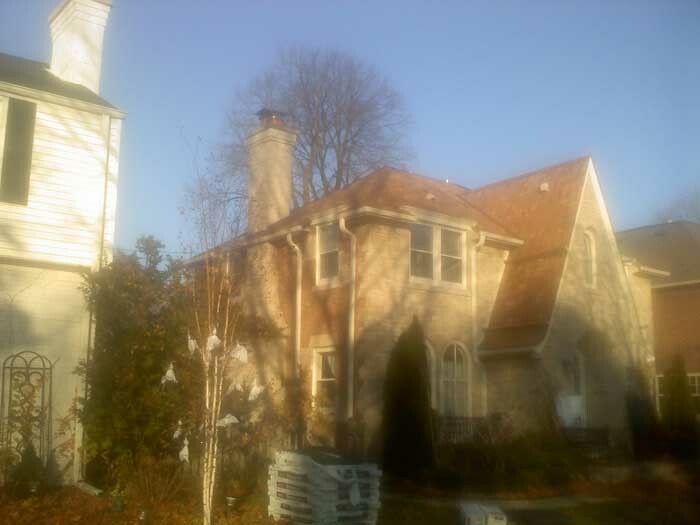 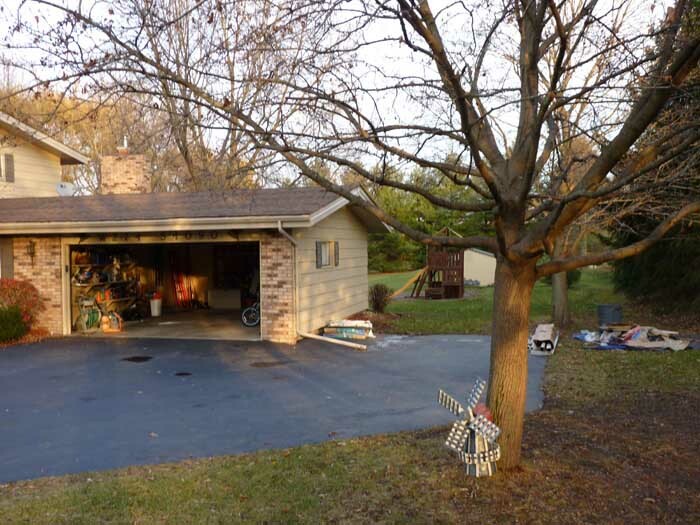 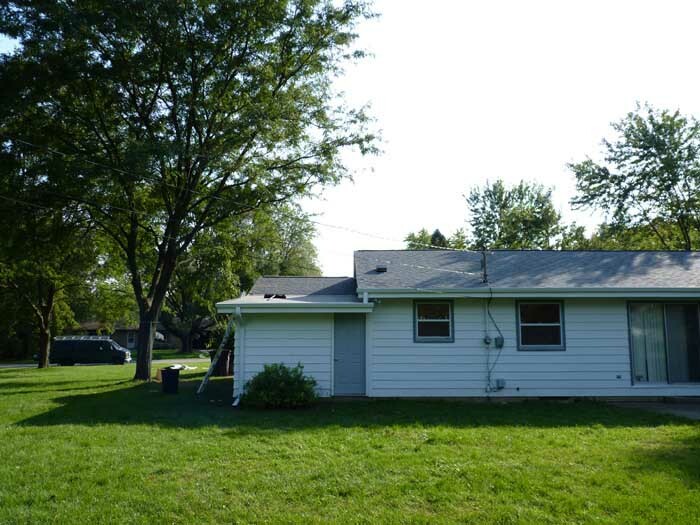 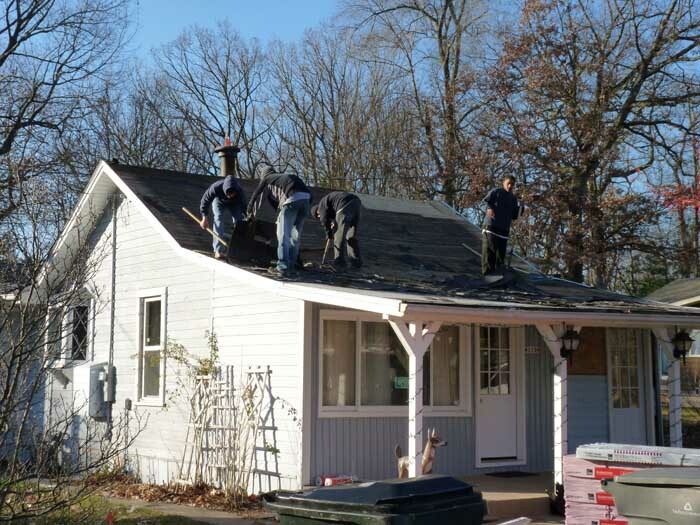 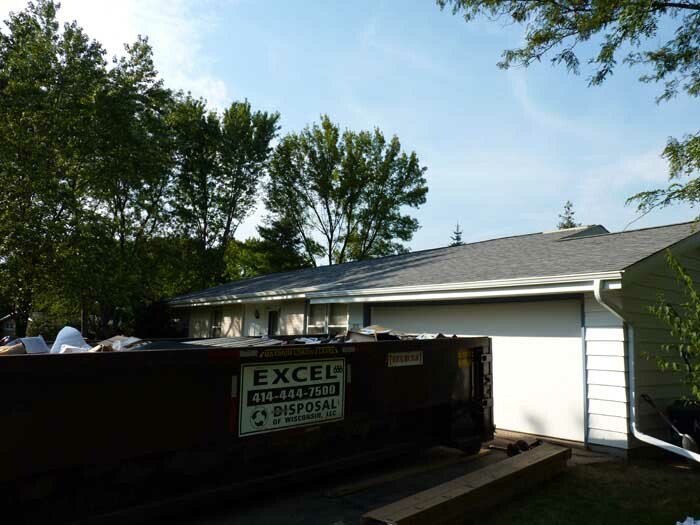 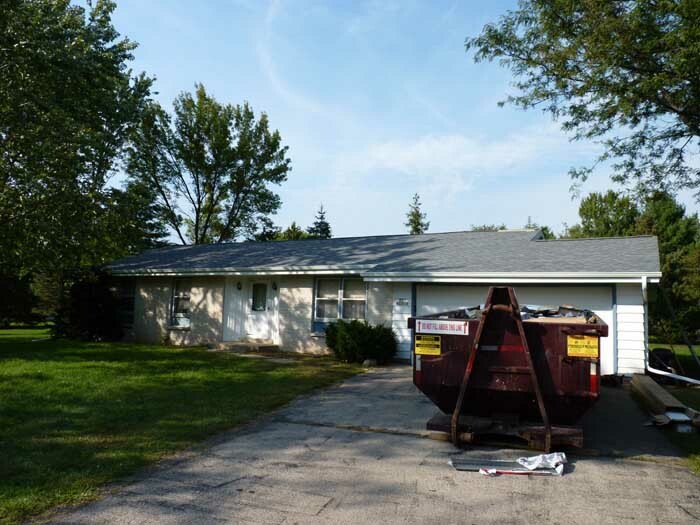 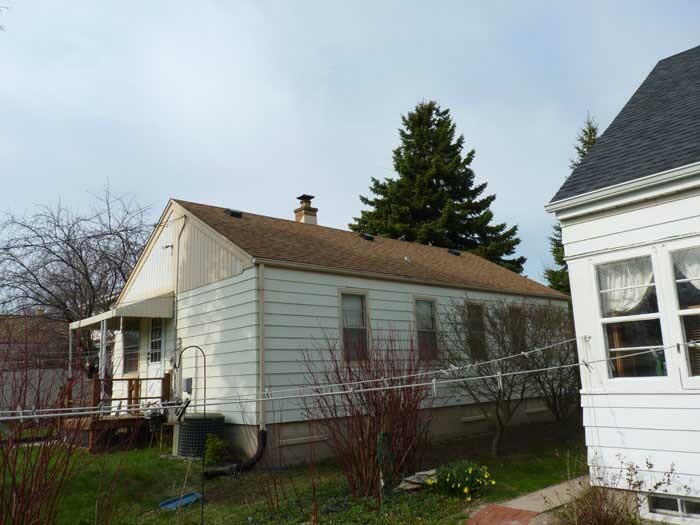 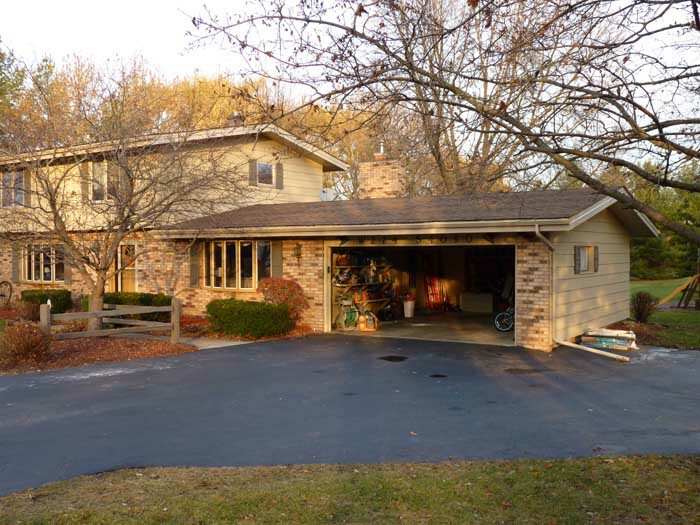 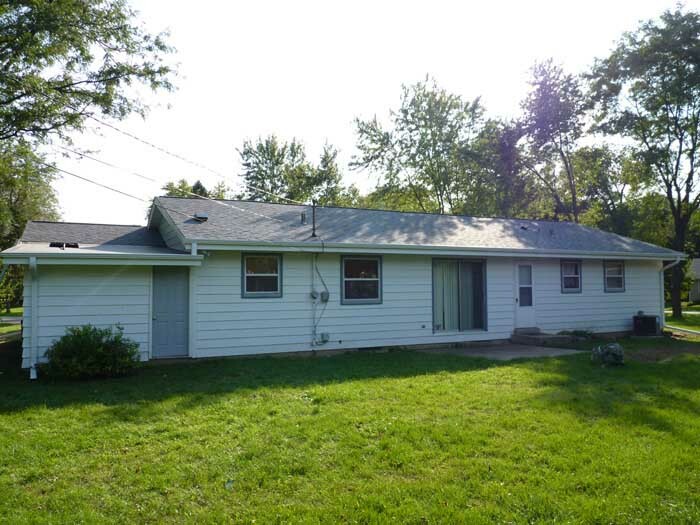 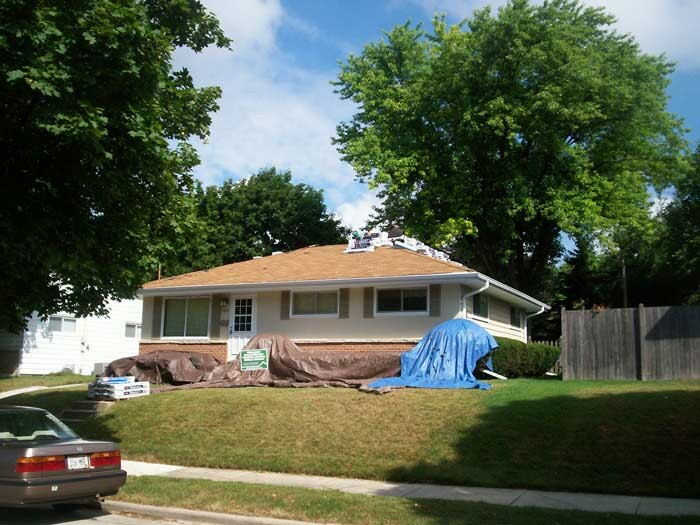 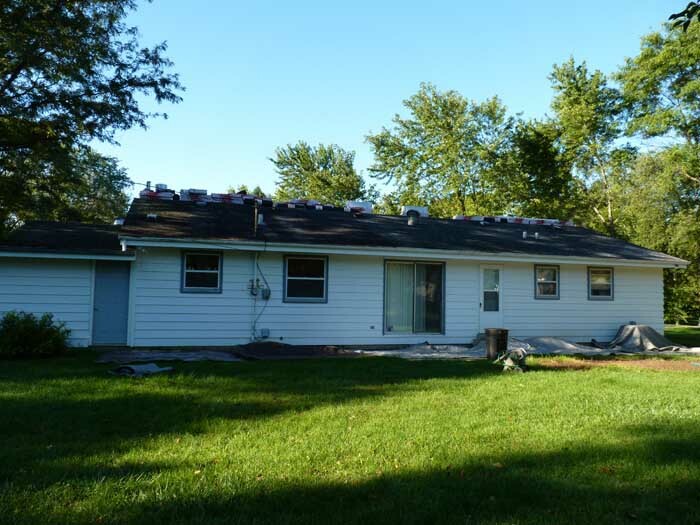 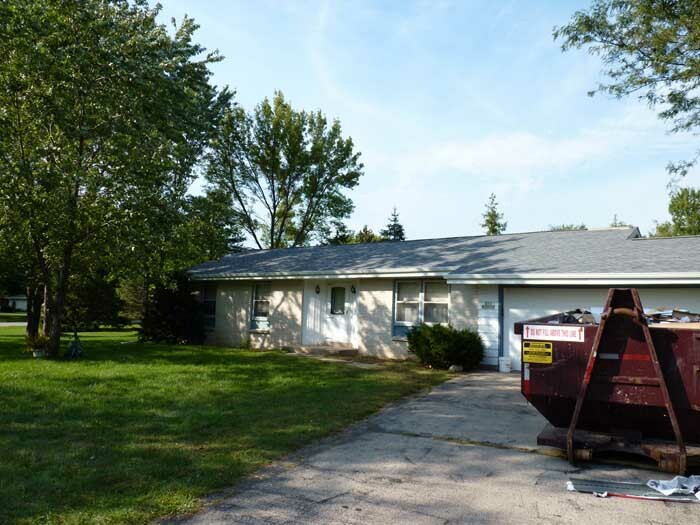 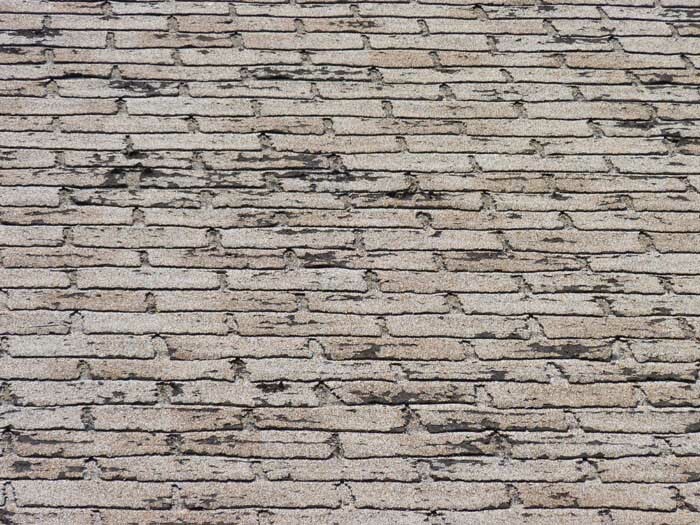 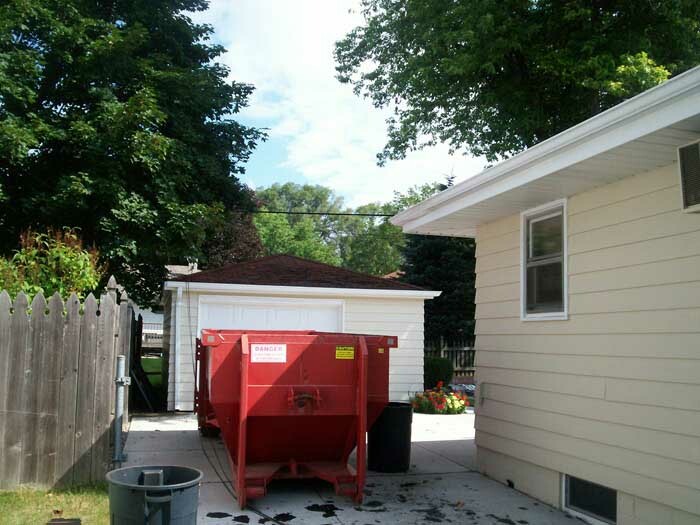 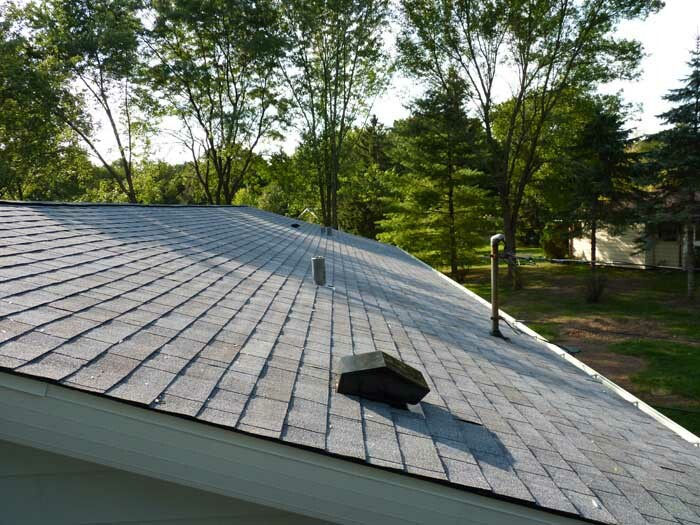 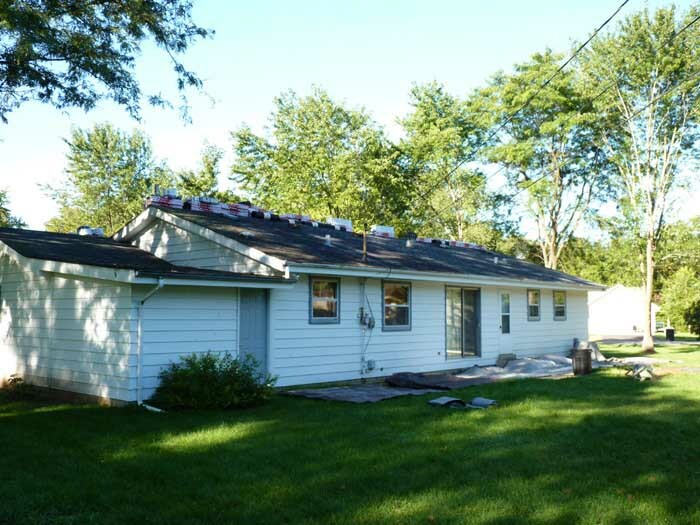 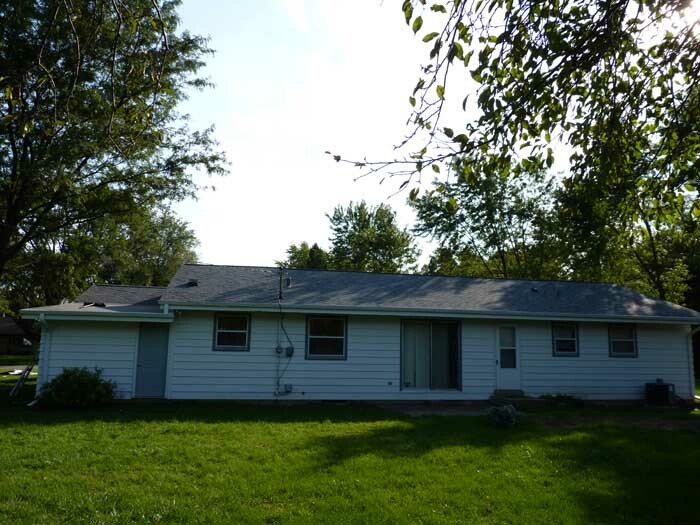 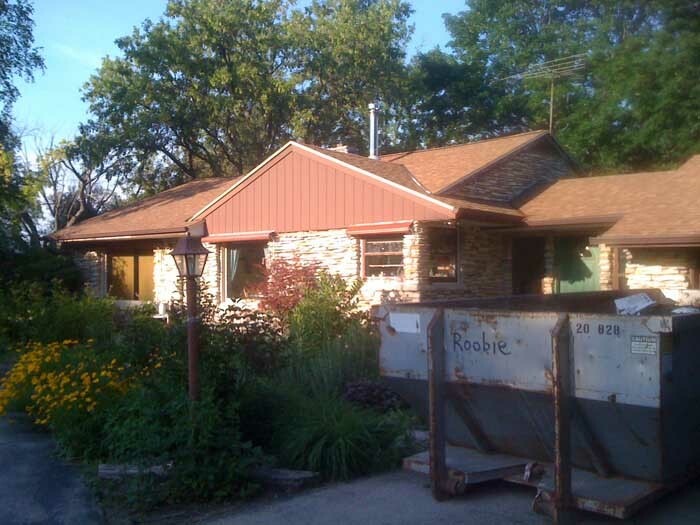 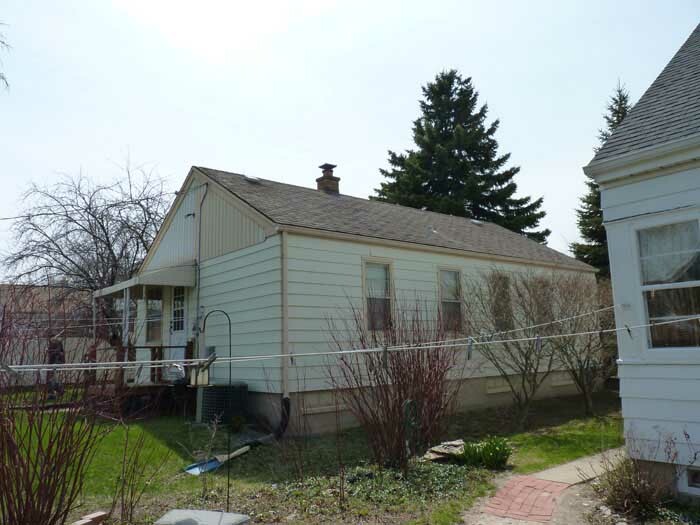 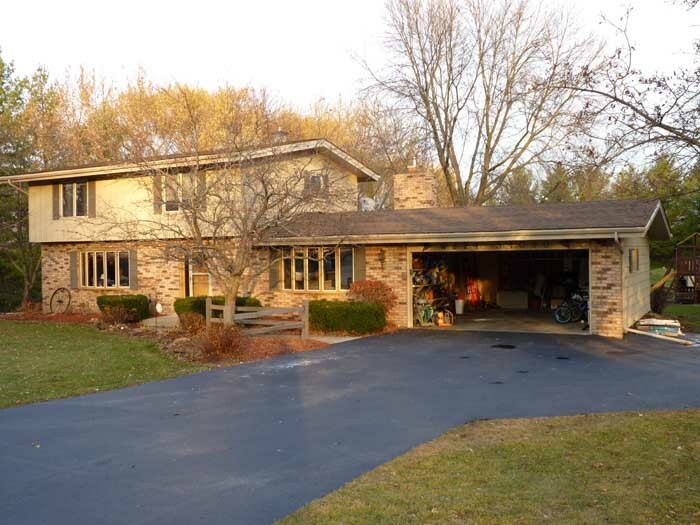 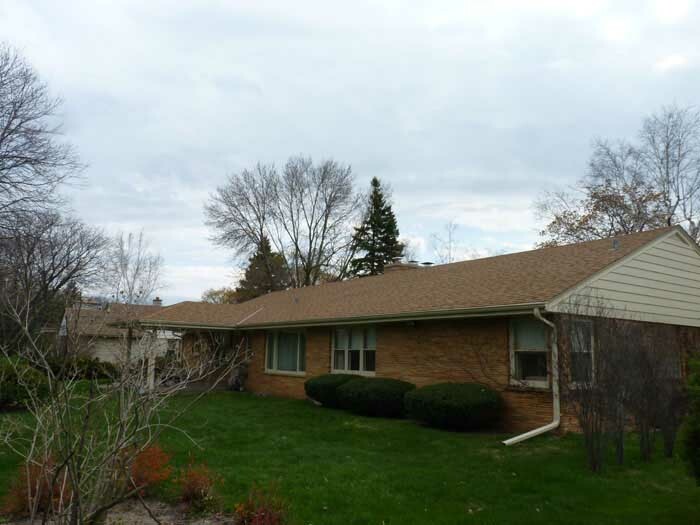 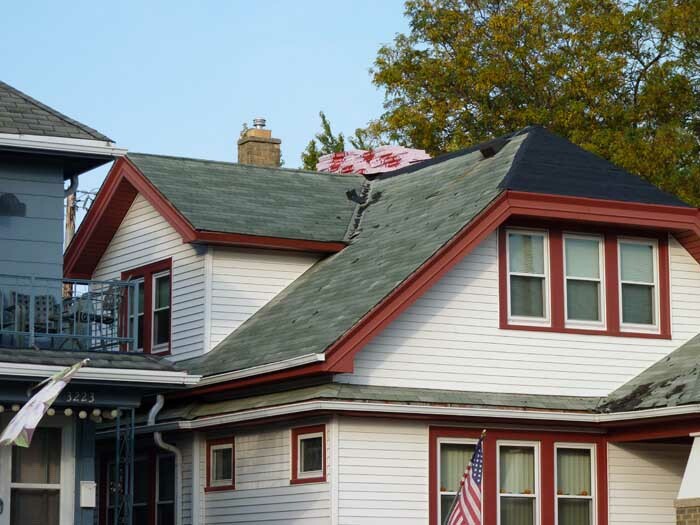 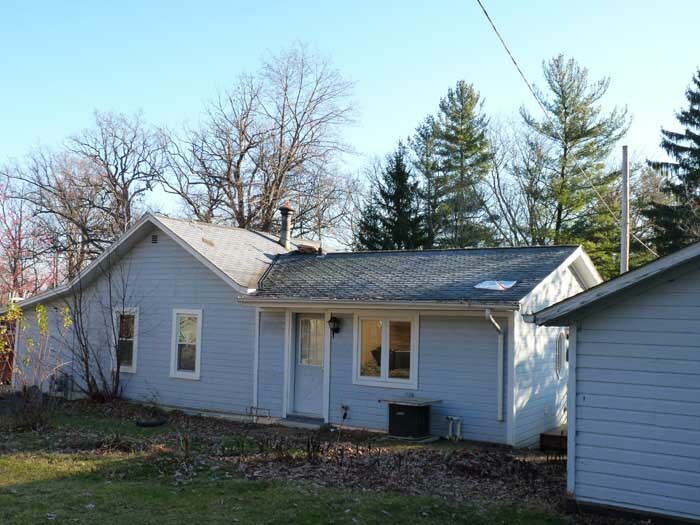 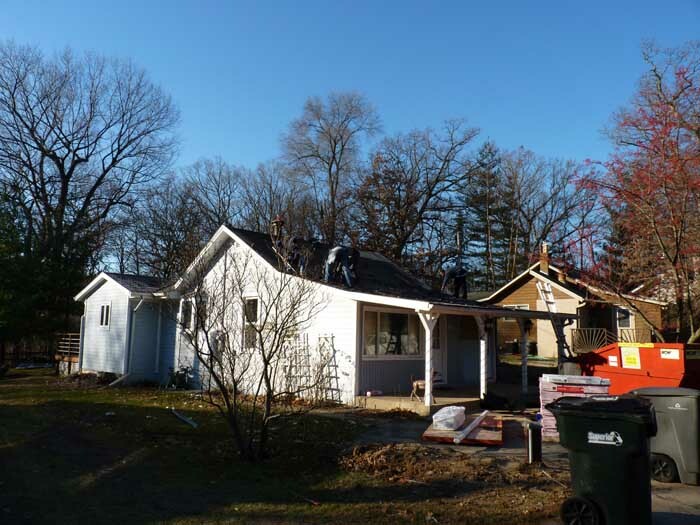 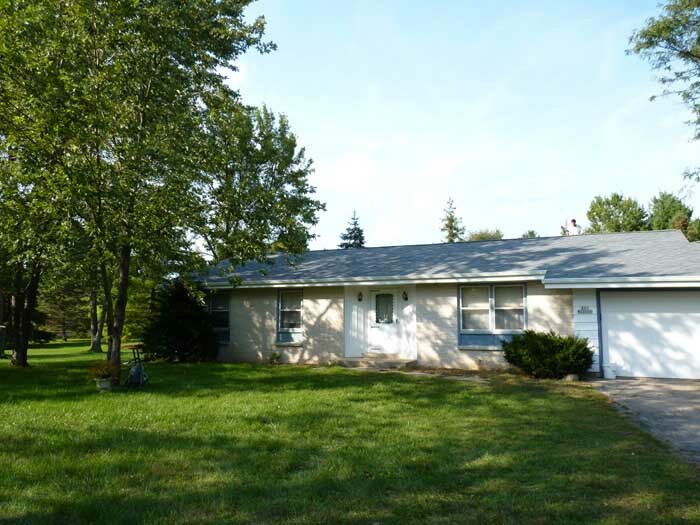 Complete 1 layer asphalt shingle tear-off and removal of rubber roof in front. 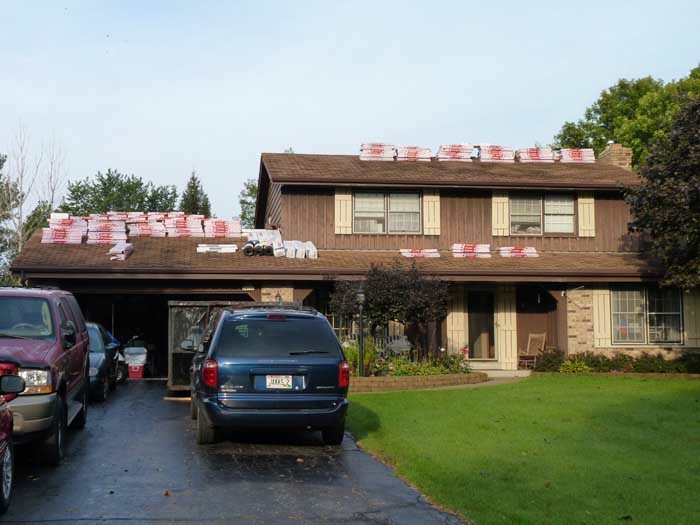 Installation of Owens Corning Durations 30 Year shingles (Color: conianl slate). 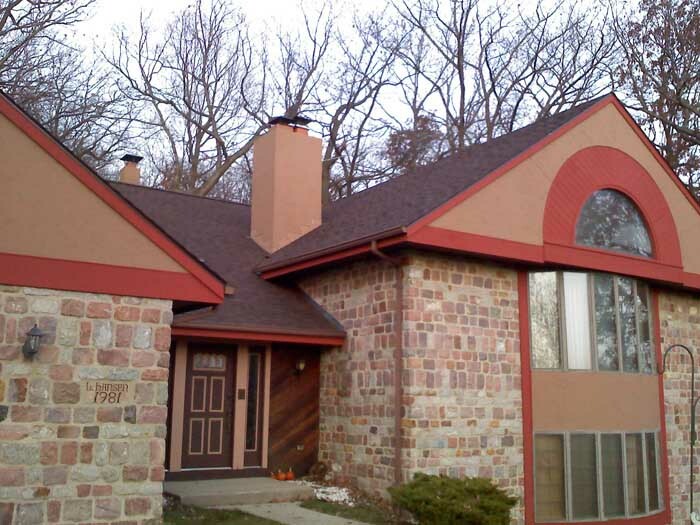 Installation of GAF-ELK Snow & Country Ridge Vent. 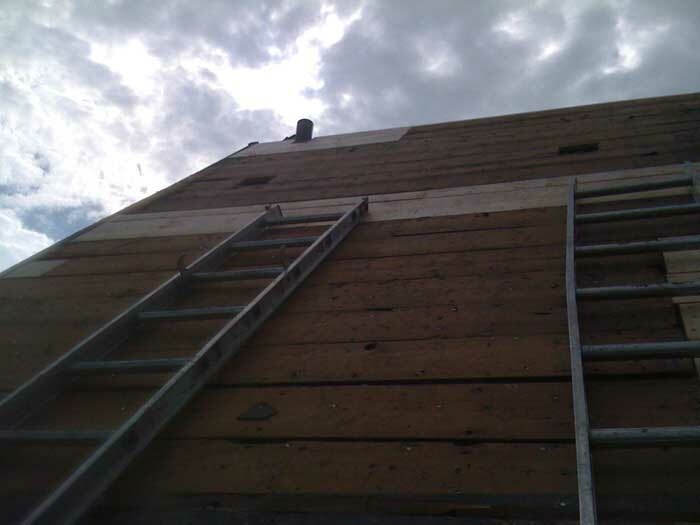 Reinforced attic space with A frames and wall to support roof. 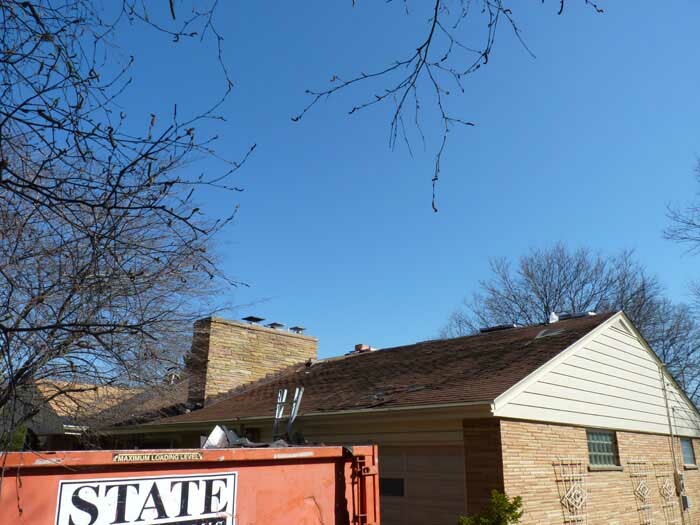 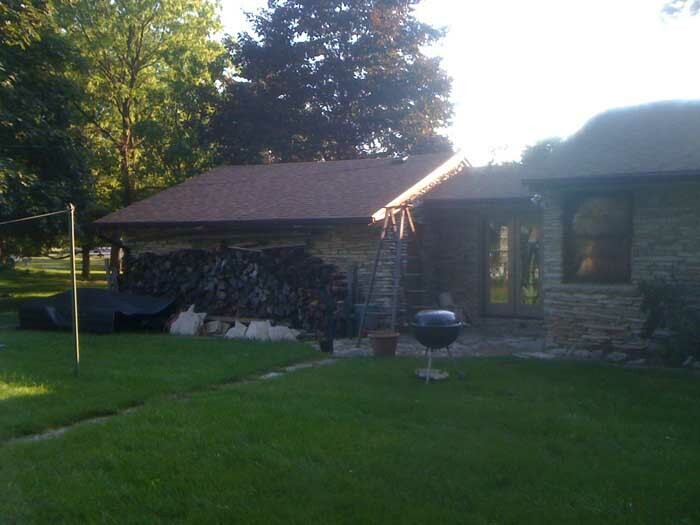 Removal of Chimney in the back of home. 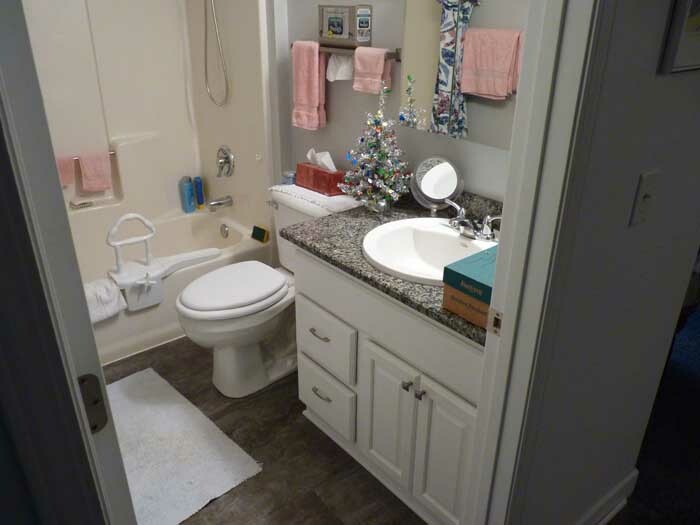 This job has 22 photos. 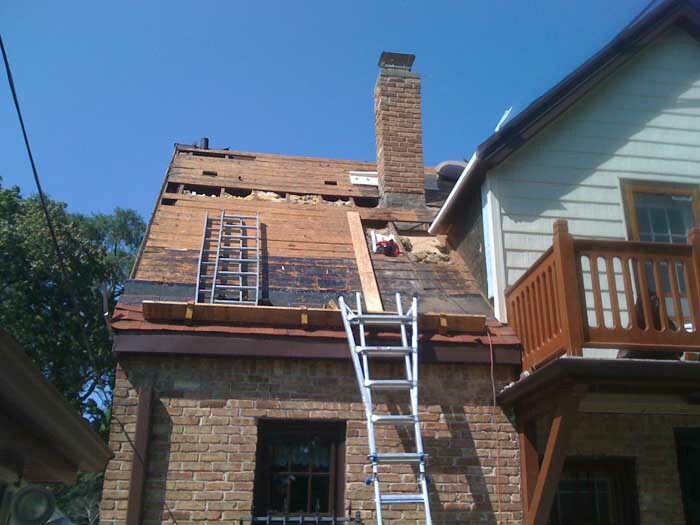 Click on the photo to see this jobs complete photo gallery. 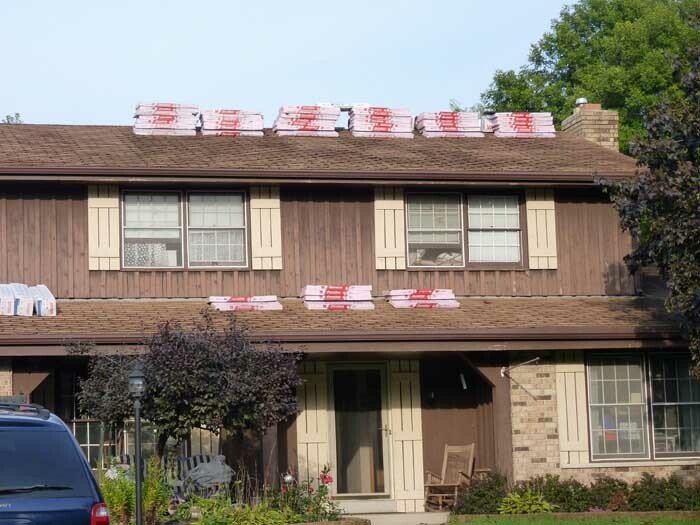 Complete 2 layer tear off and installation of 30 year Owens Corning Durations shingles. 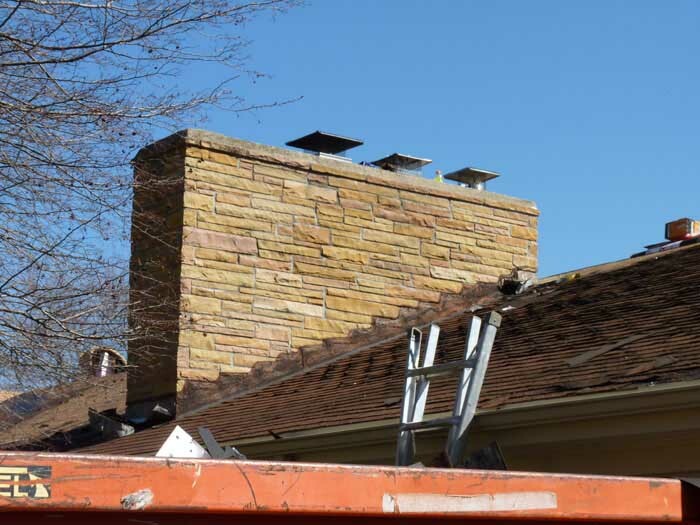 Tuck pointed chimney and installed a tuck point chimney flashing. 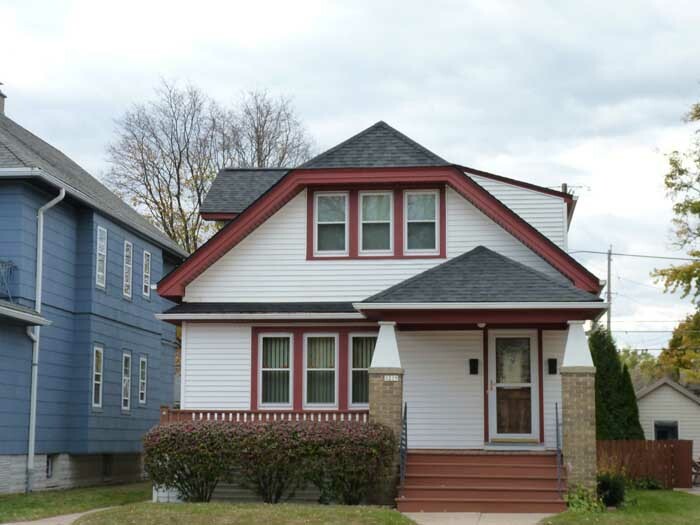 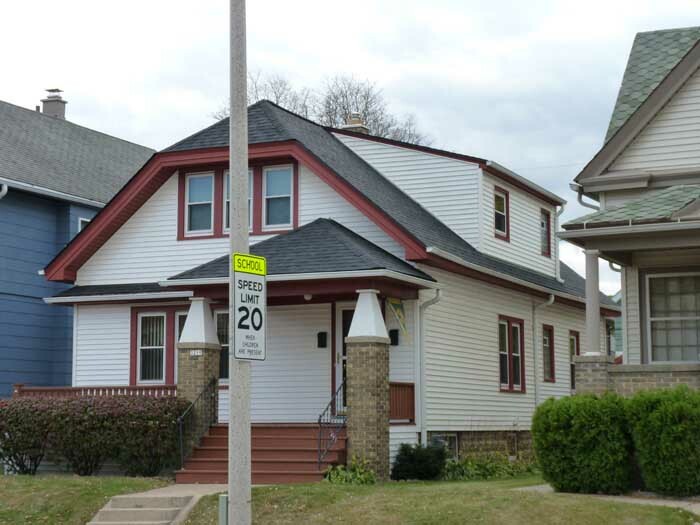 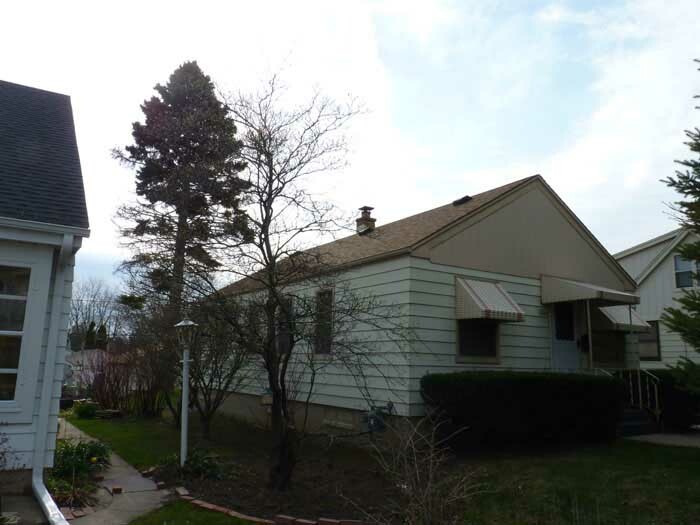 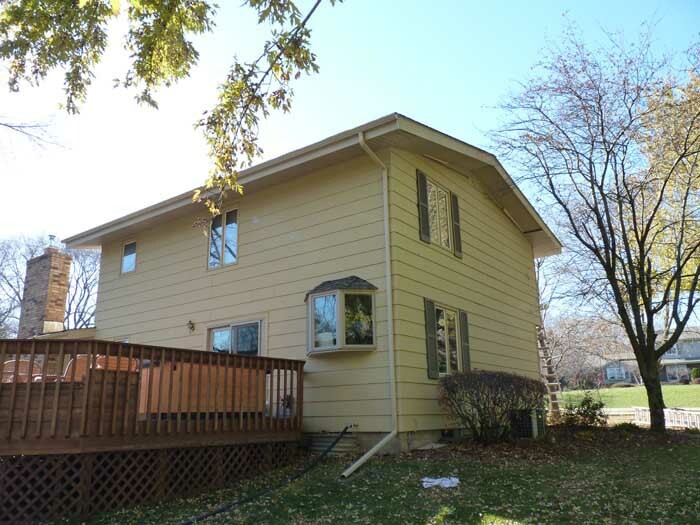 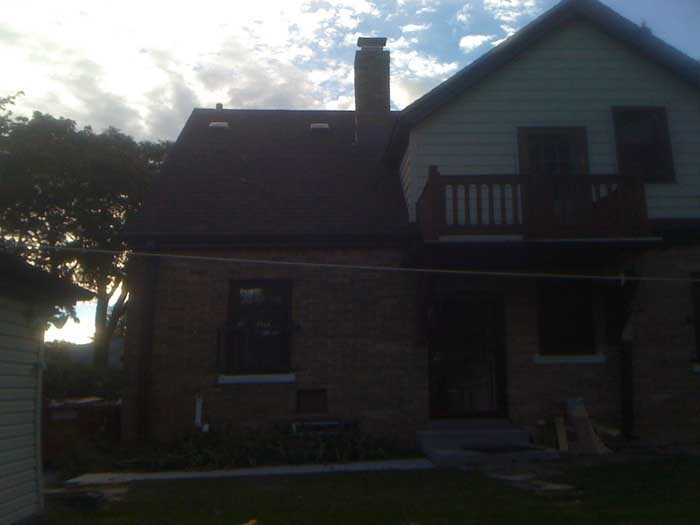 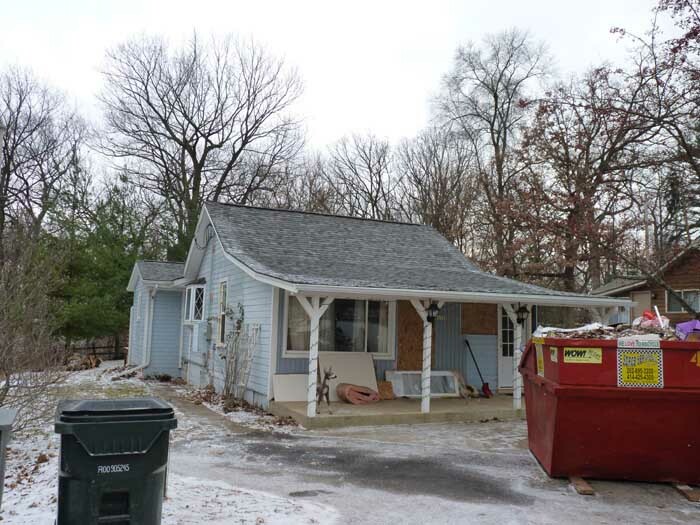 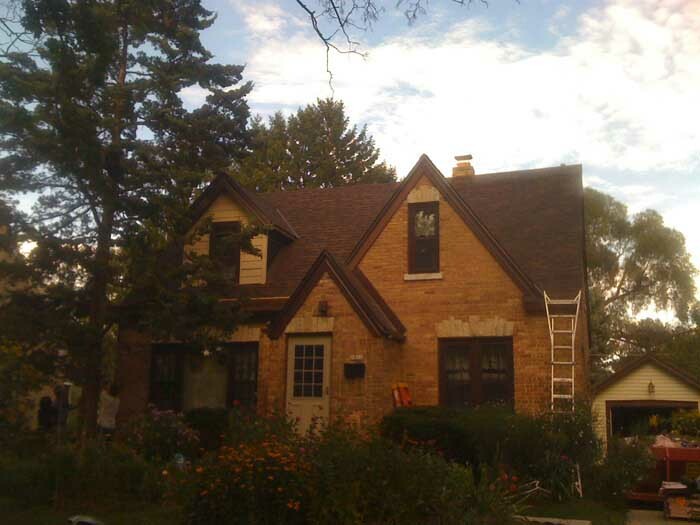 Removal of siding on dormers and front of home. 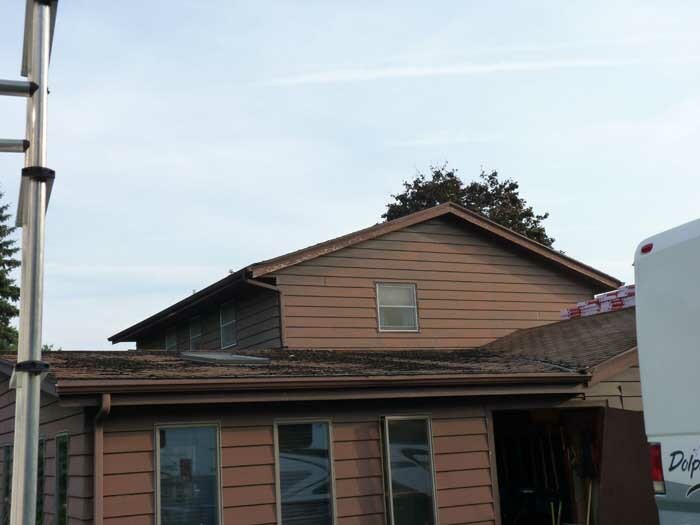 Installed new tin wall flashings and header flashing. 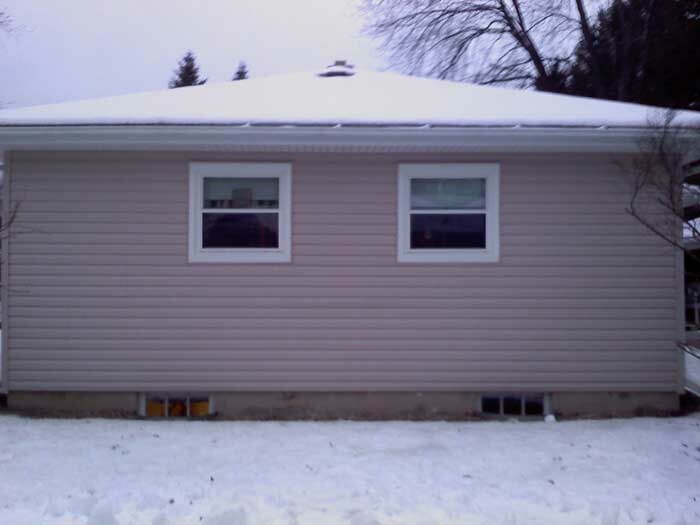 Re-installed siding. 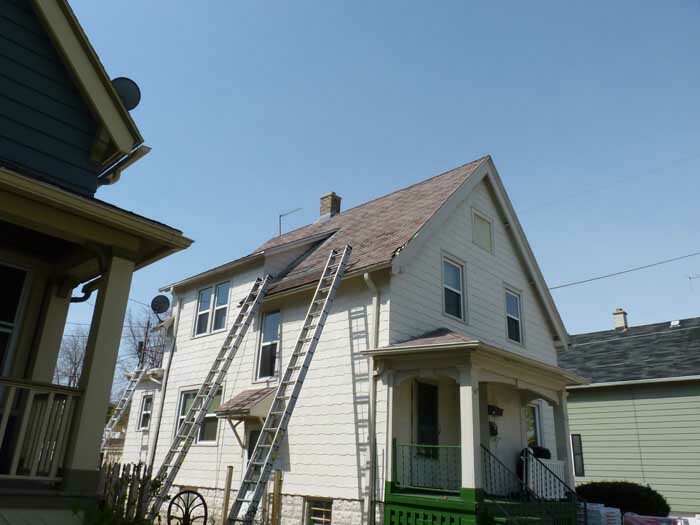 Before/In Progress-Back of home. 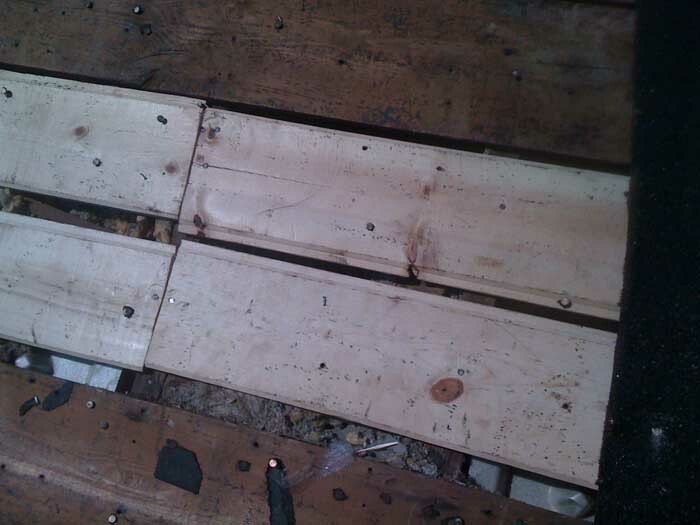 Wood repair left by other company. 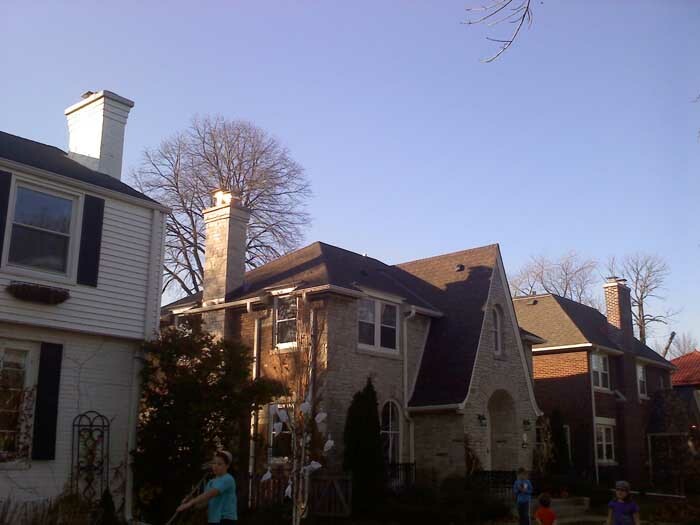 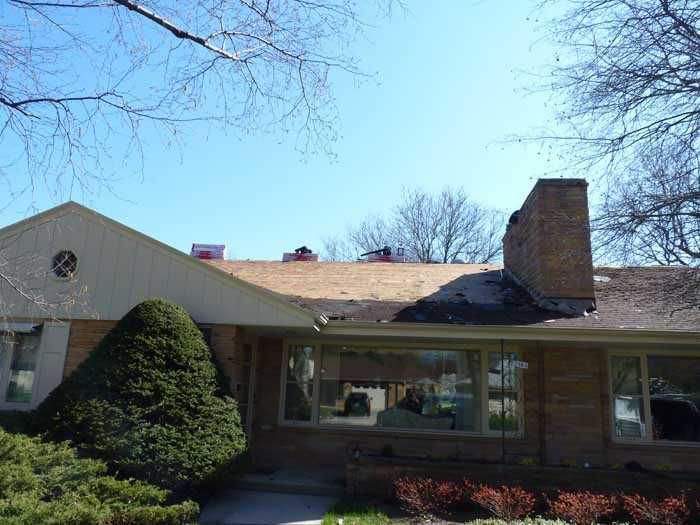 Complete 1 layer tear off and installation of Lifetime Owens Corning Durations shingles (Color: Brownwood). 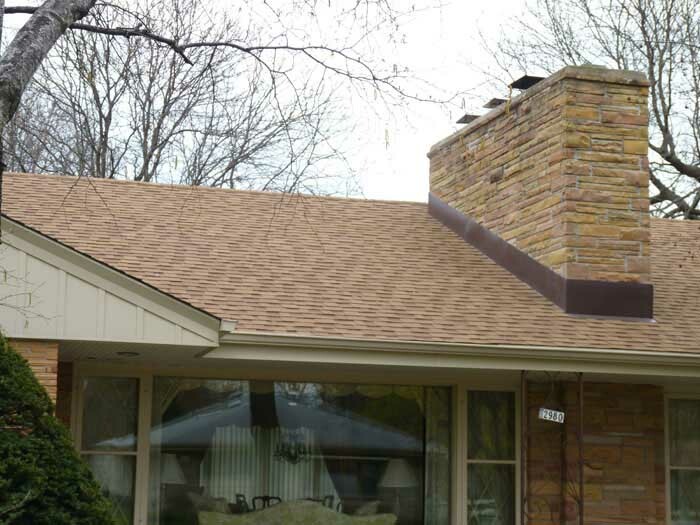 Tuck pointed chimney and installed a tuck point chimney flashing. 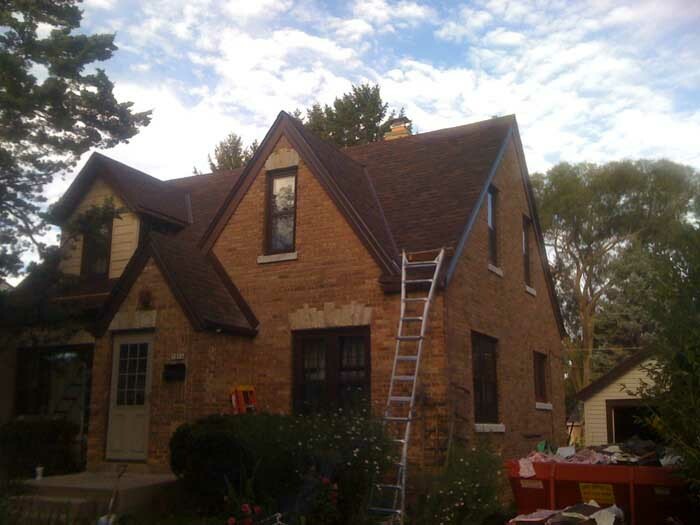 Removal of siding on dormers and front of home. 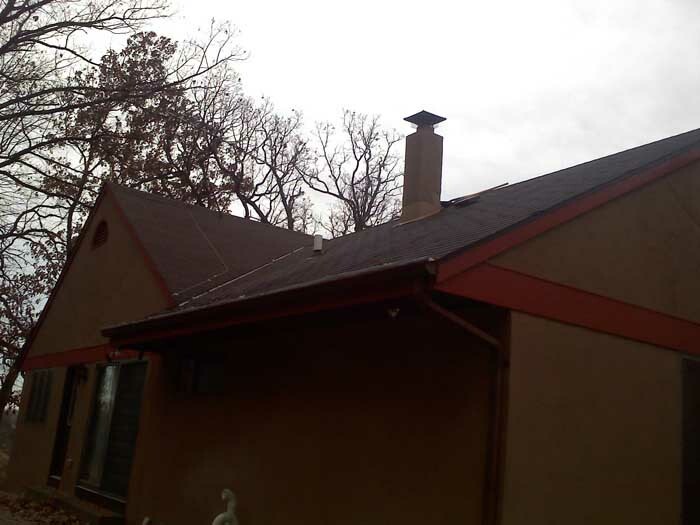 Installed new tin wall flashings and header flashing. 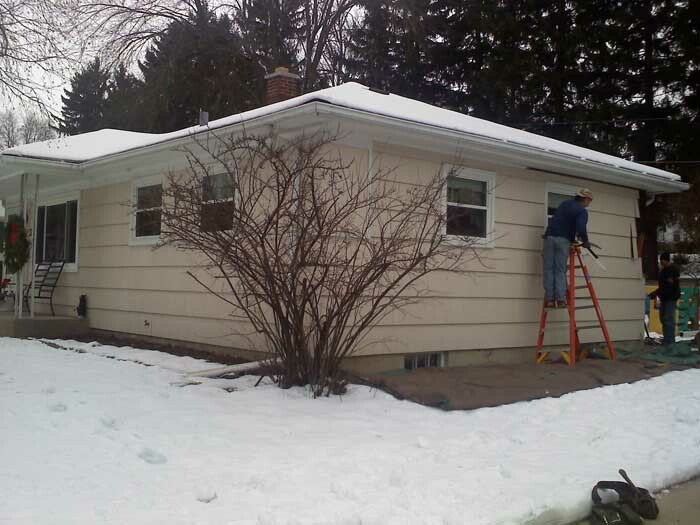 Re-installed siding. 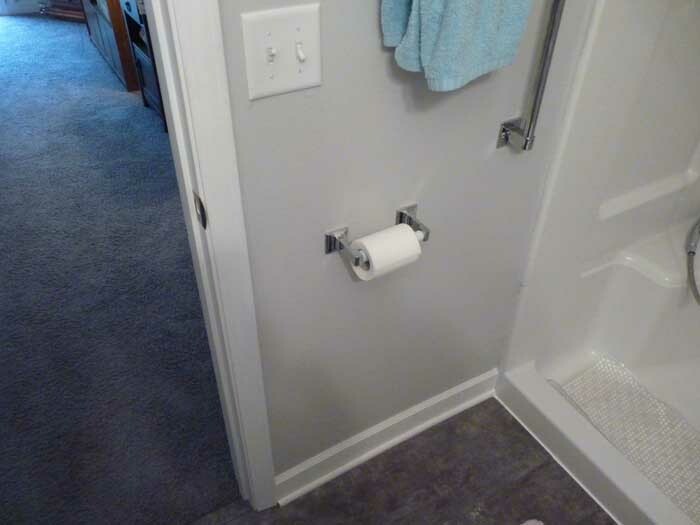 This job is the prefect example of why you should do some research into the company your hiring. 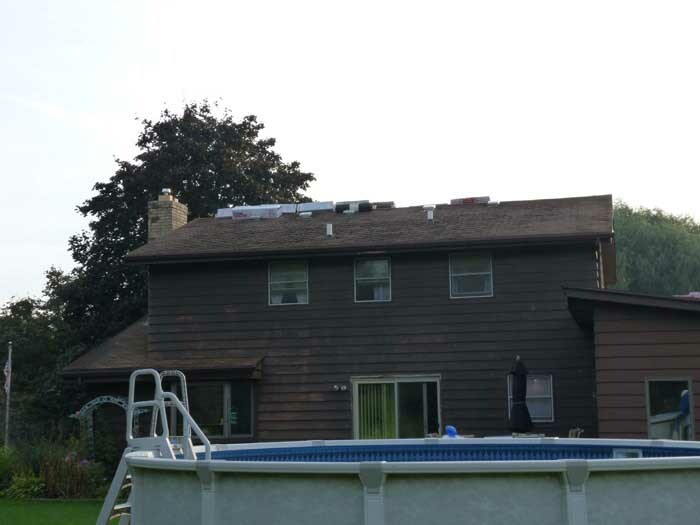 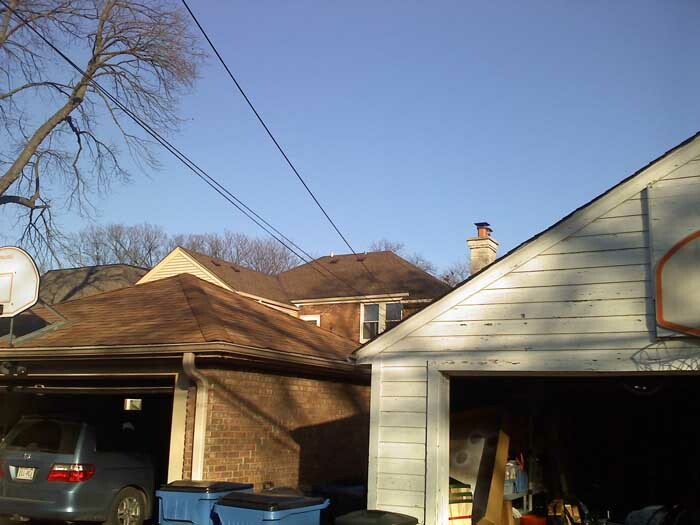 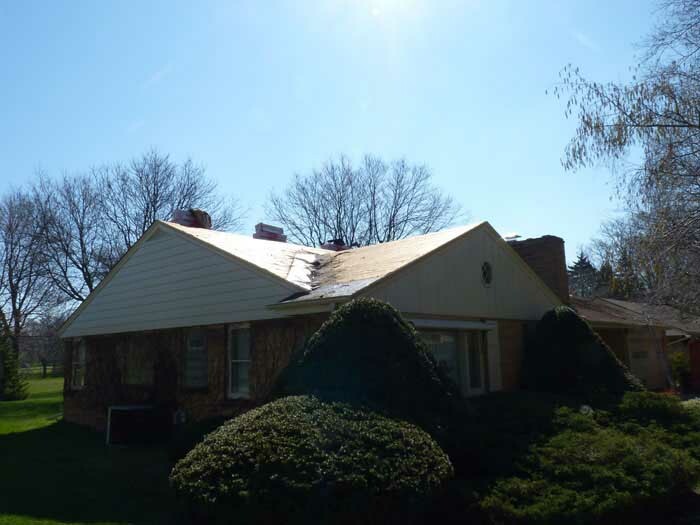 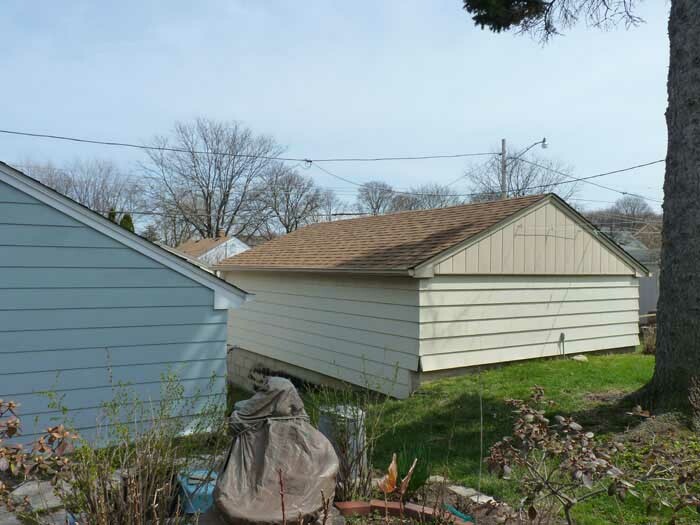 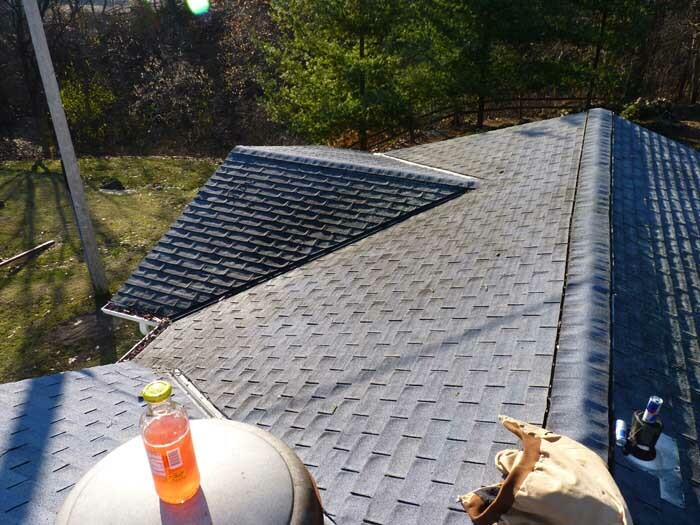 This customer replaced his roof twice in 4 months with lifetime shingles. 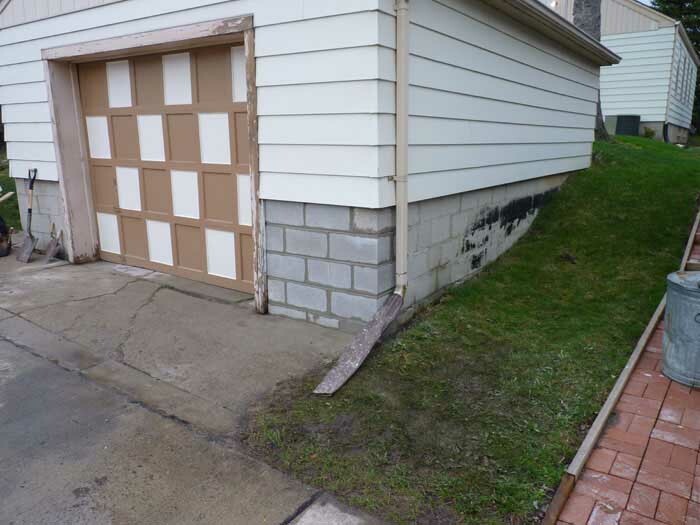 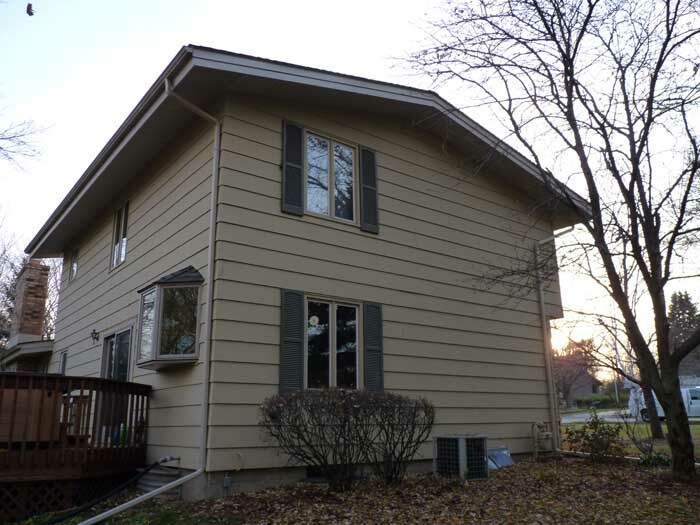 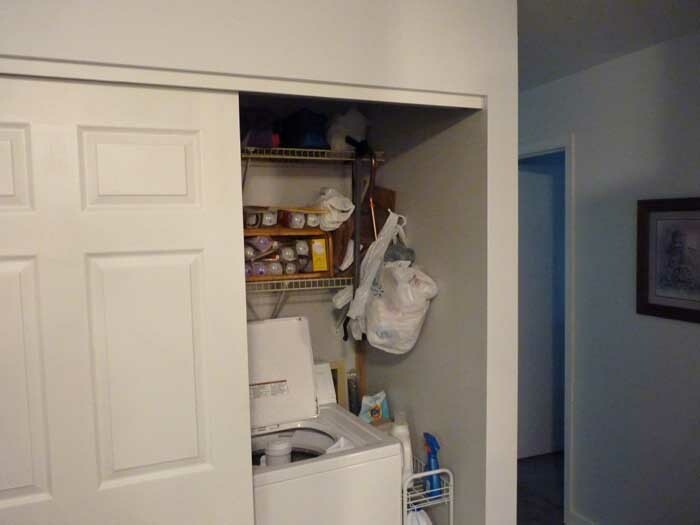 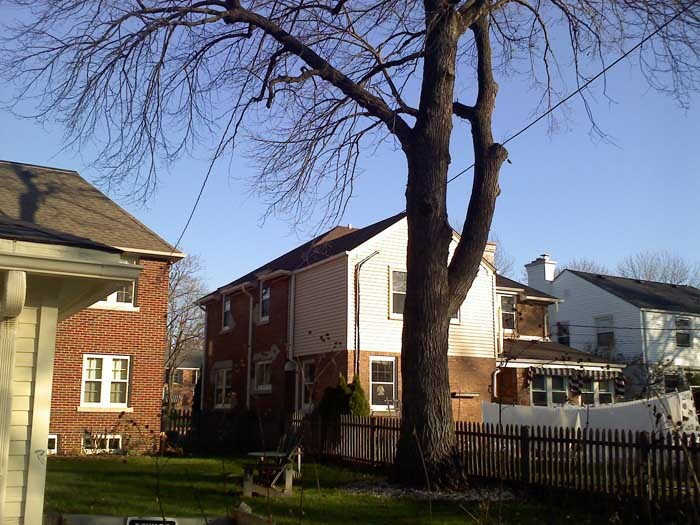 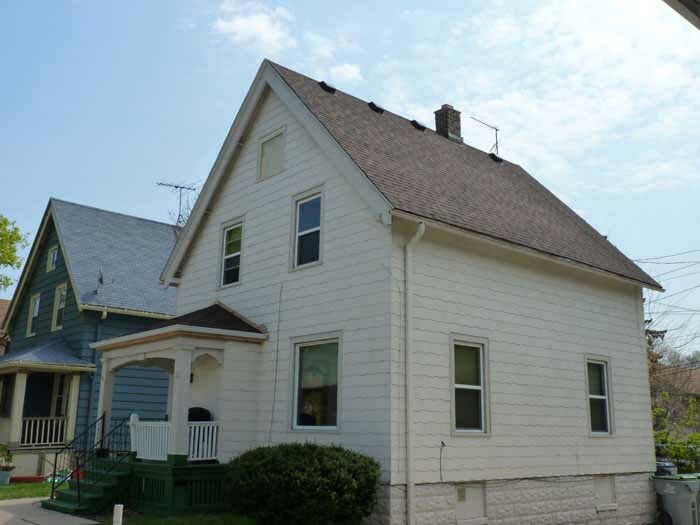 The home owner was trying to save money and went with the company that was $3000.00 less than the competition. 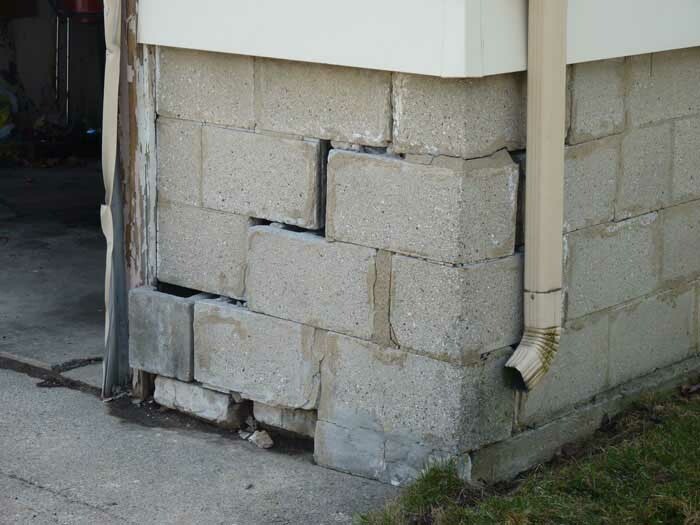 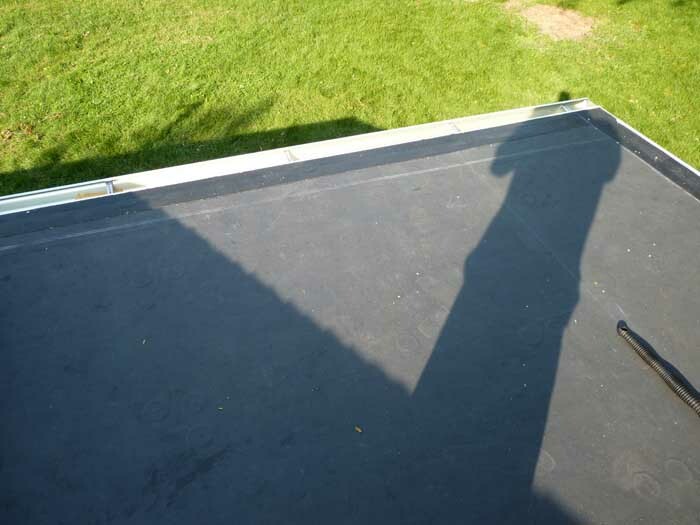 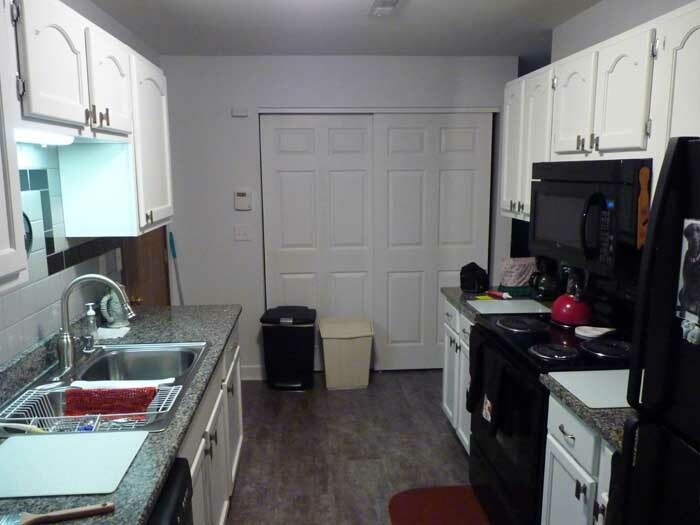 The home owner initially had us come out there to take a look at the quality of the job another company did after he had them come back five times and was still having problems. 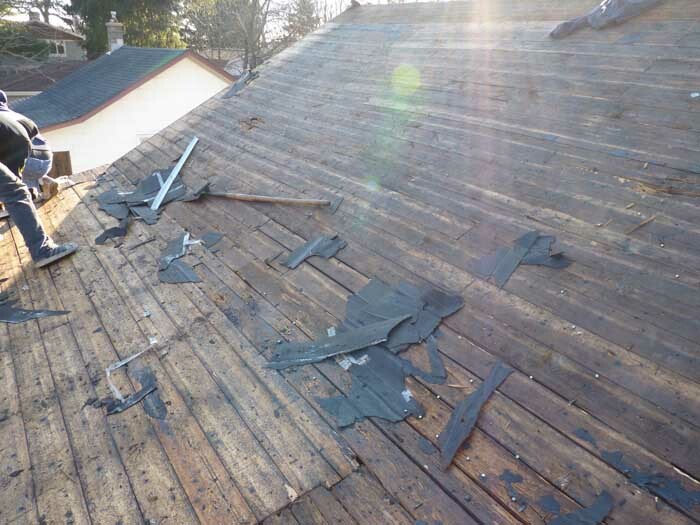 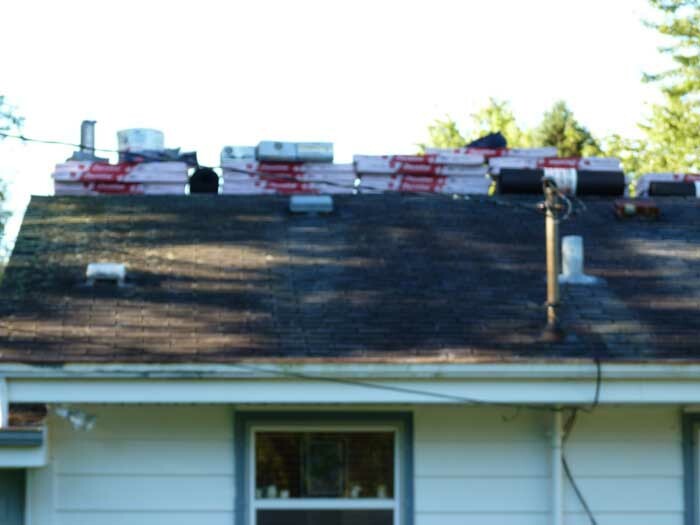 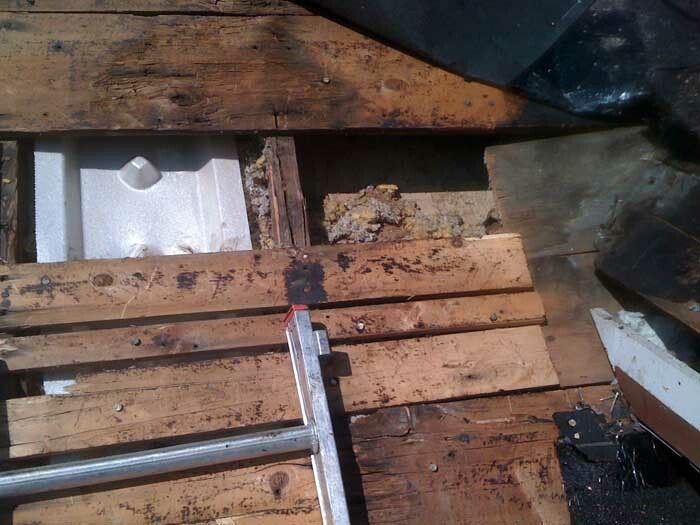 Upon our arrival we inspected the roof and from the ground we found numerous problems. 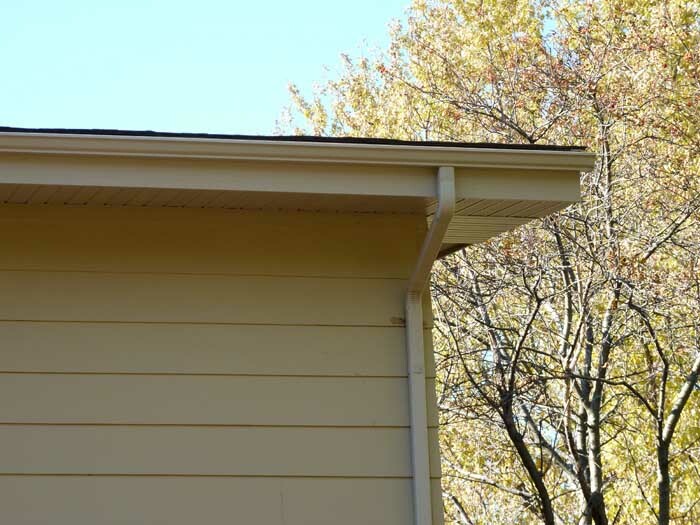 Gutters were improperly pitched. 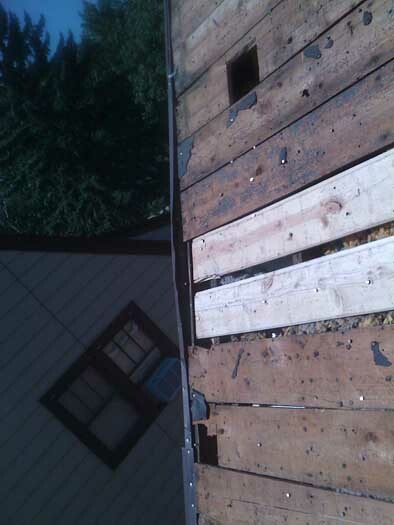 Header flashing with nails in them that where not nail down properly. 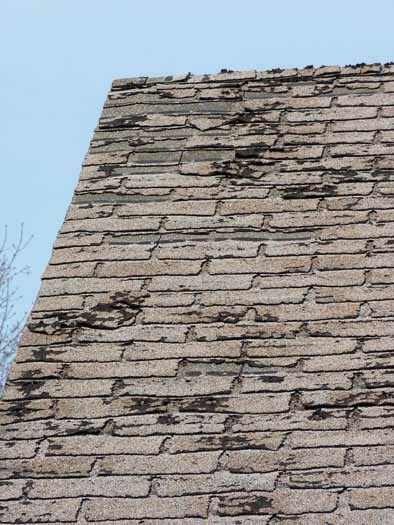 Shingles popping up and looking wavy again improper nailing. 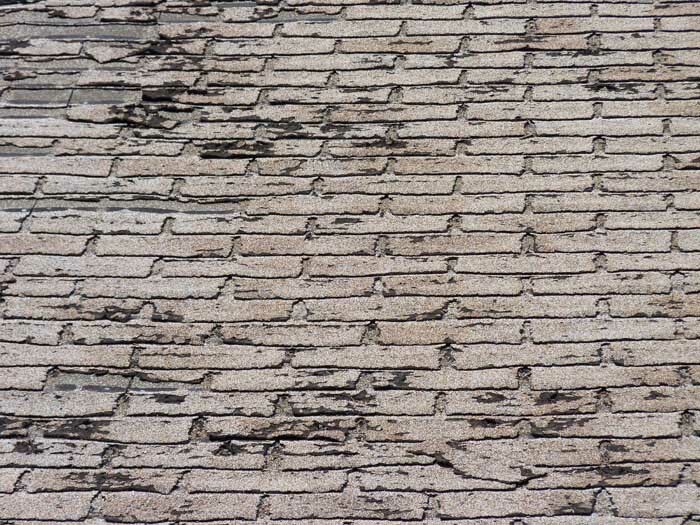 Very poor cutting job of the shingles in the valleys and rake edges. 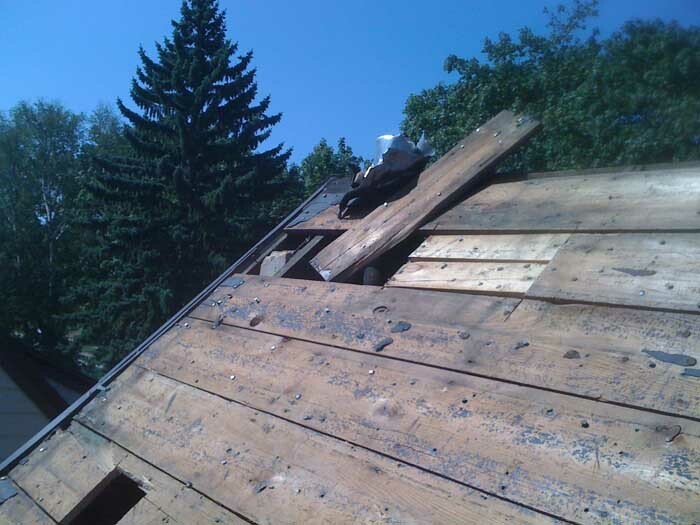 Upon us getting on the roof we check the tin walls and realized wall tins where not nailed down properly and even worst they where not installed in the right order guarantying leaking. 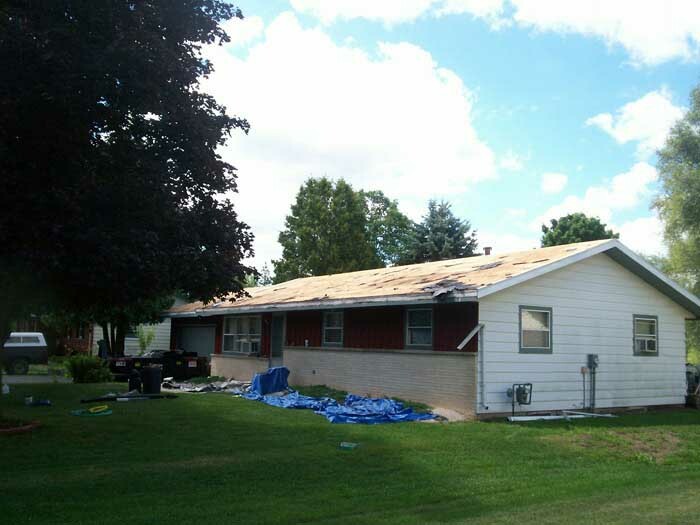 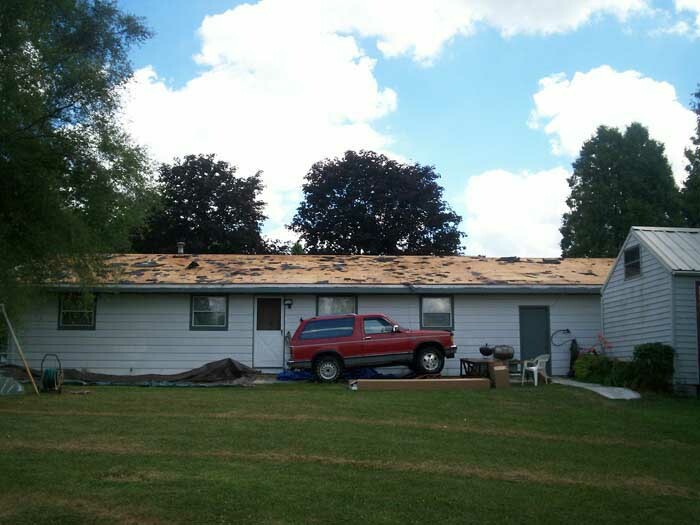 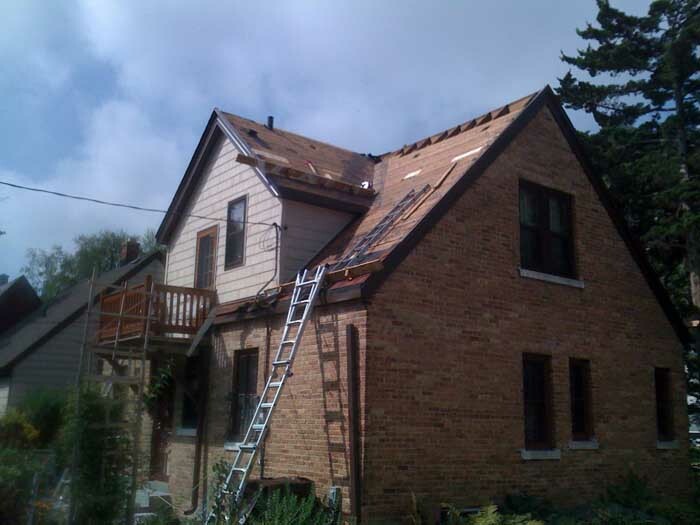 At this point the time it would take for us to fix all the issue we would have had half the roof tore off the customer decided to have the whole roof tore off and replaced again. 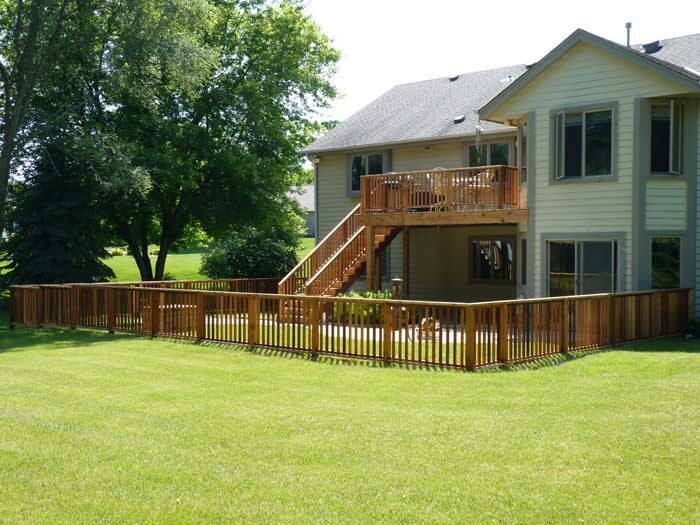 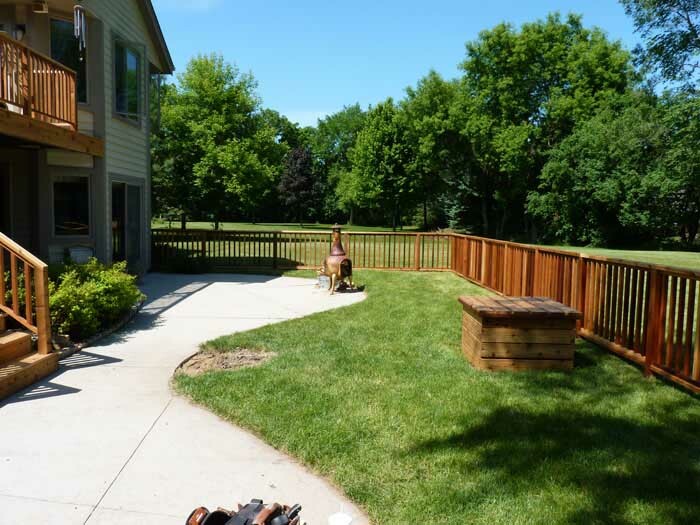 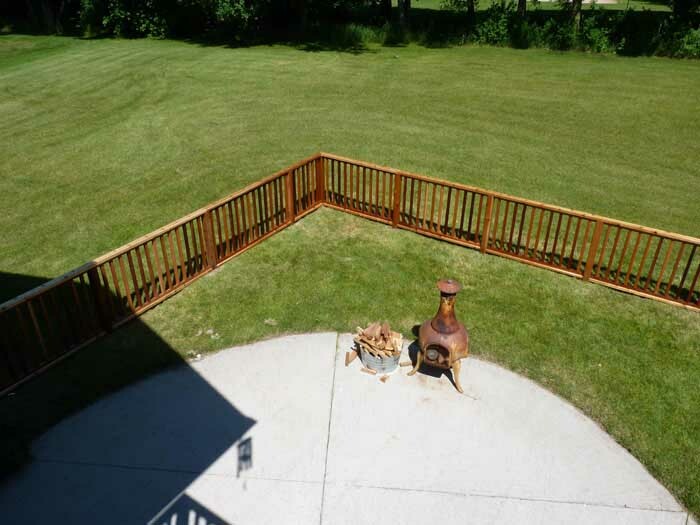 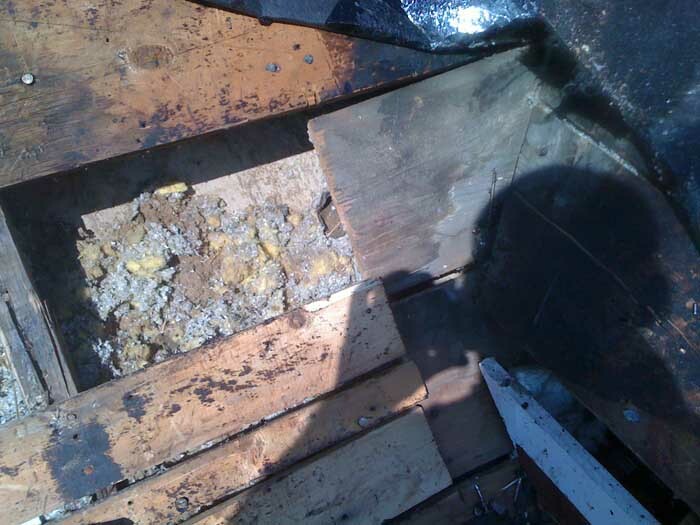 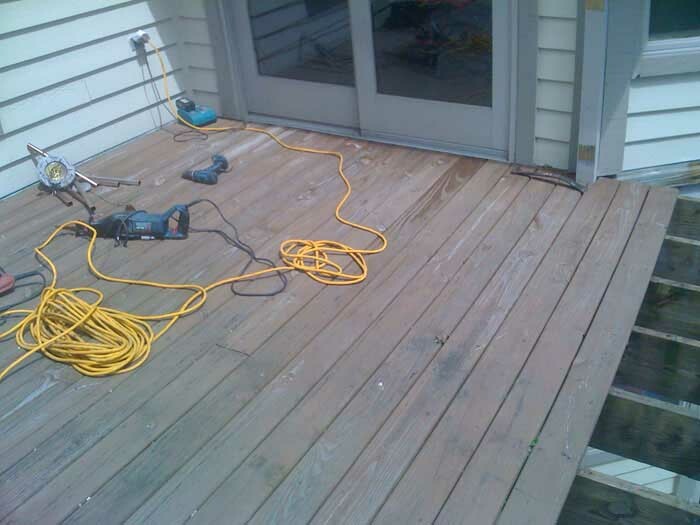 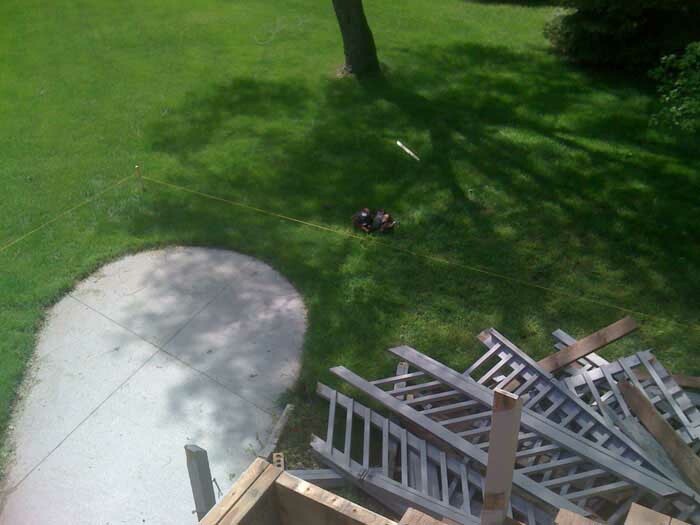 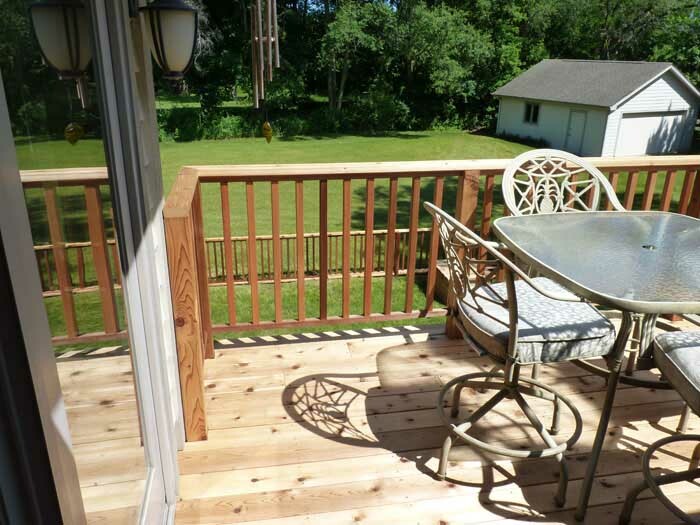 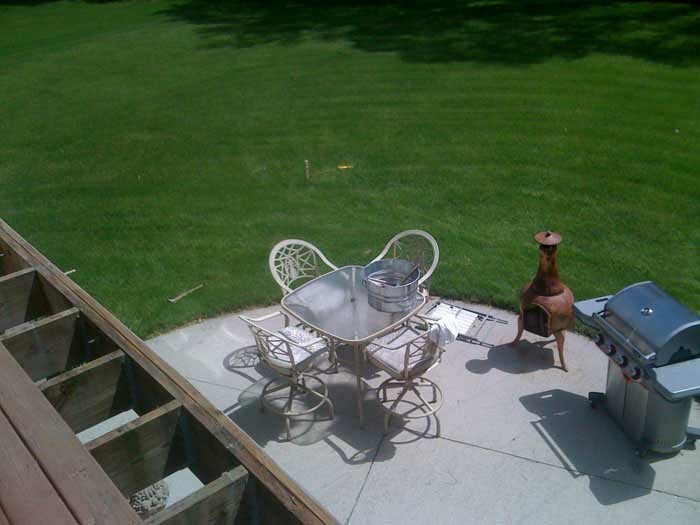 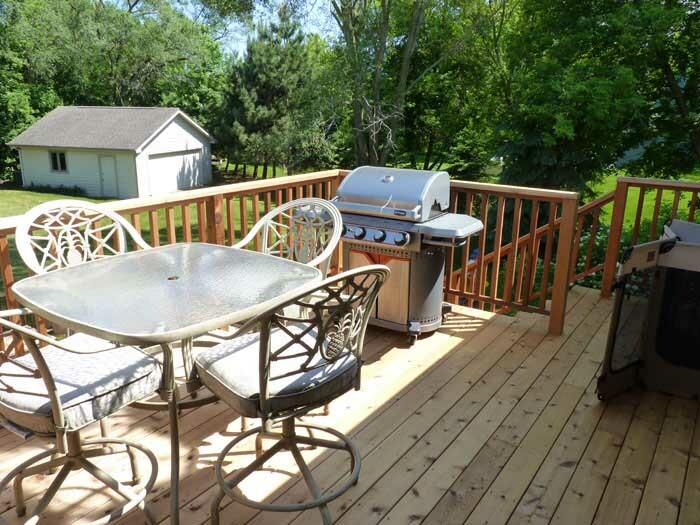 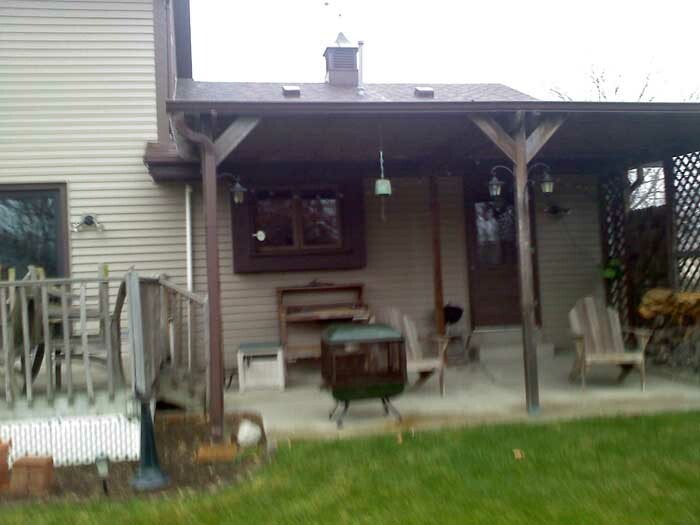 After tearing it off we seen the areas where they did there wood repair to the deck and yet realized they had done more things wrong as seen in this jobs photo gallery. 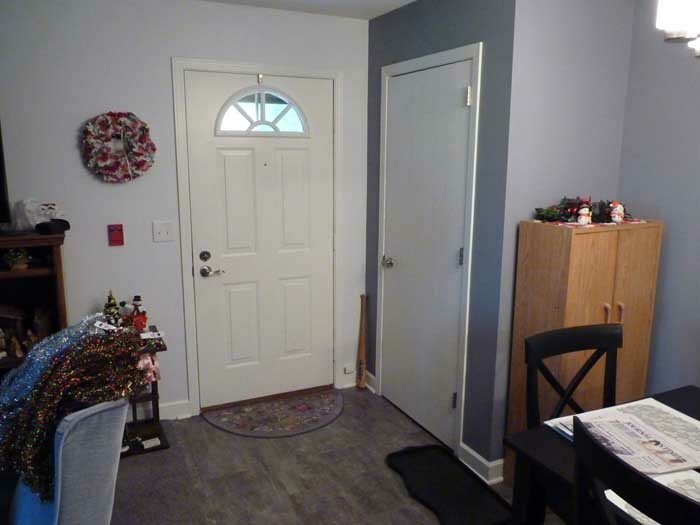 This job had 32 photos. 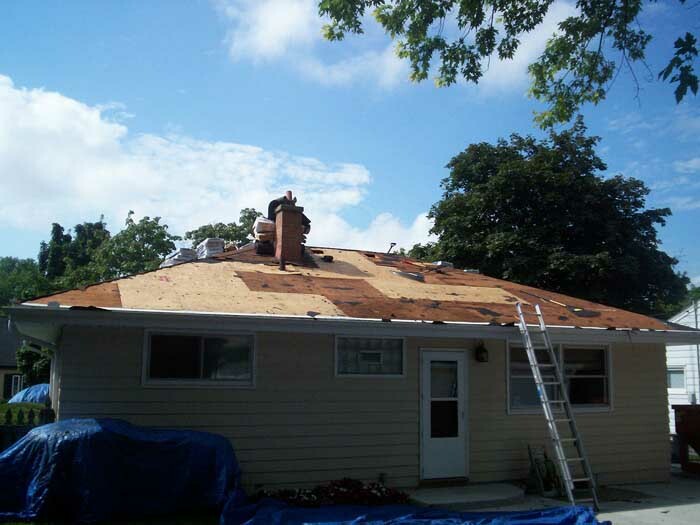 Click on the photo to see this jobs complete photo gallery. 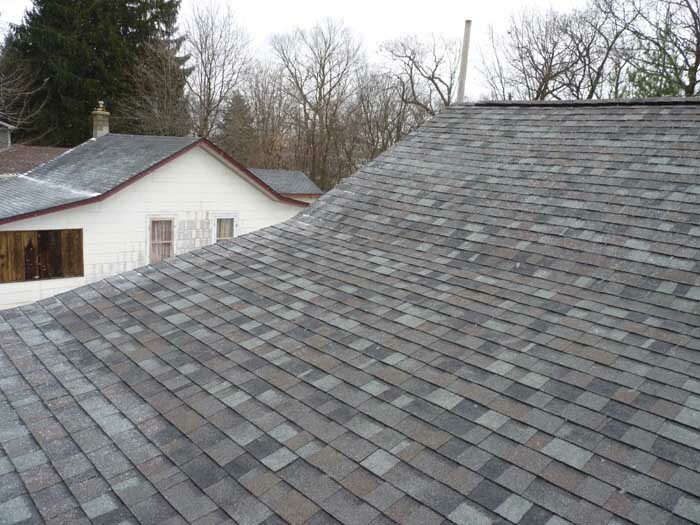 Complete 2 layer asphalt shingle tear-off. 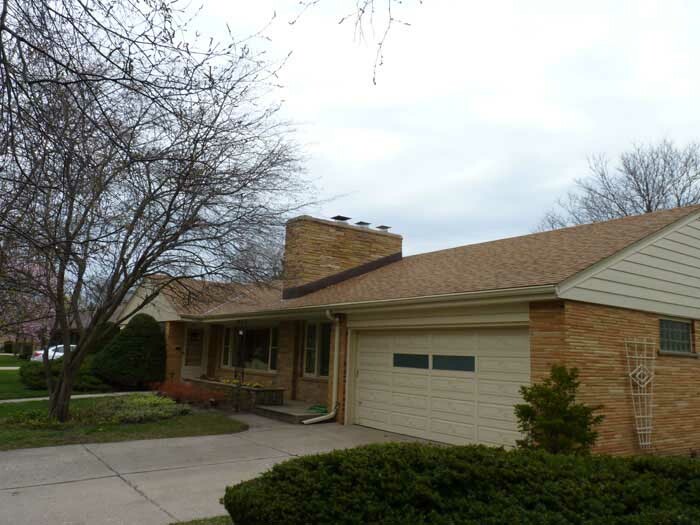 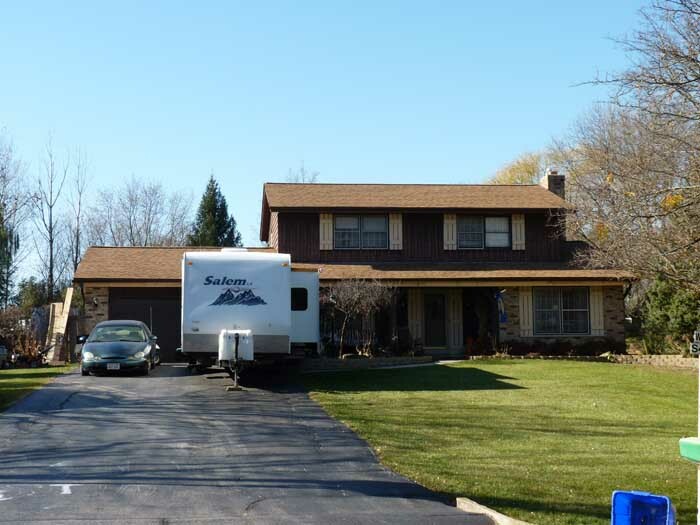 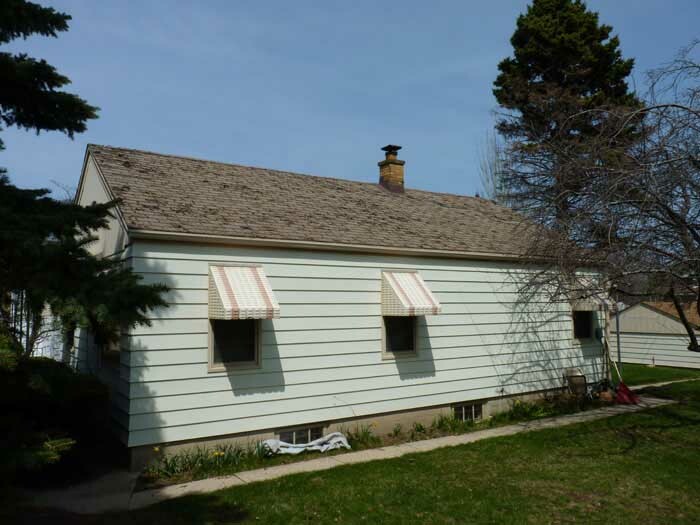 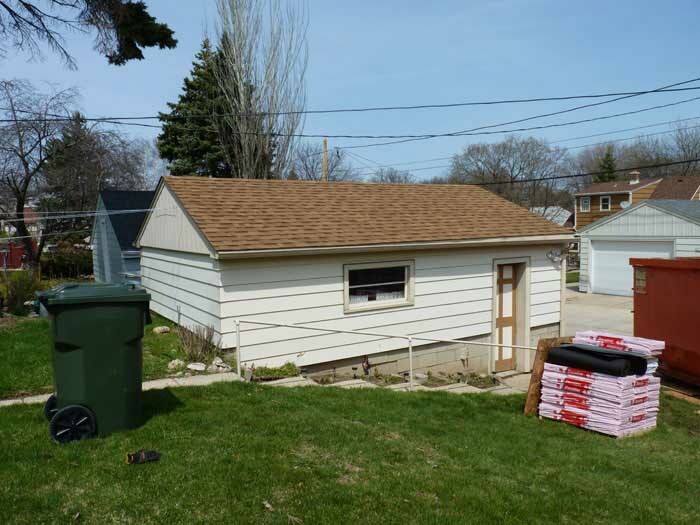 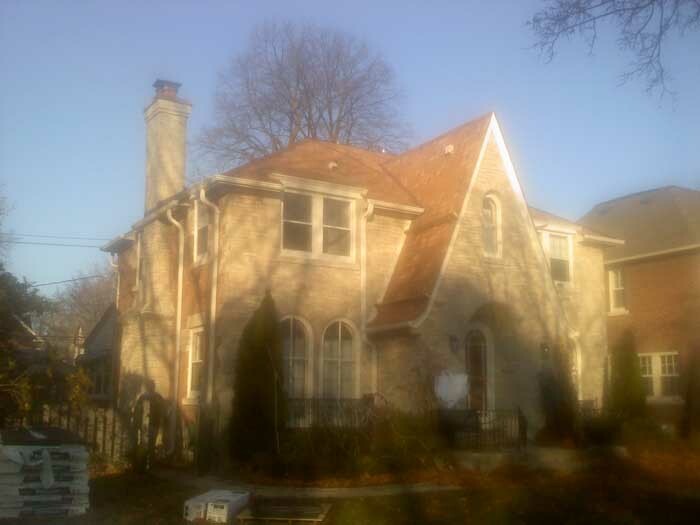 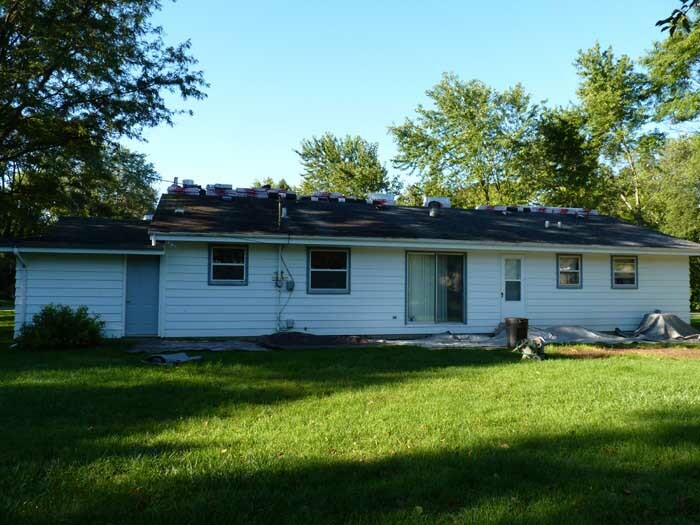 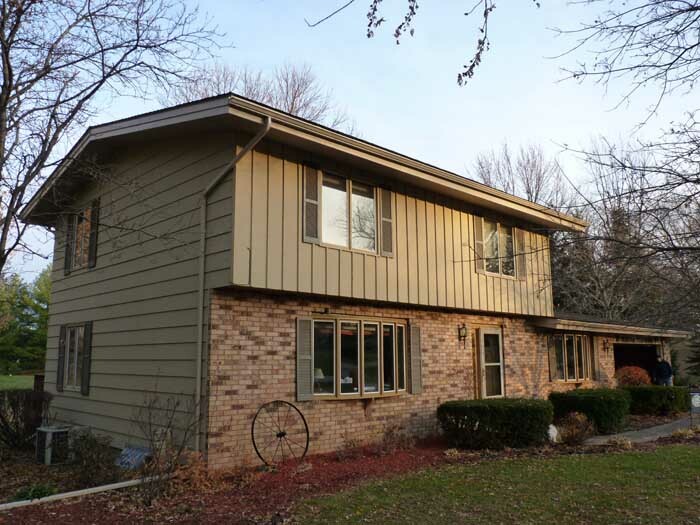 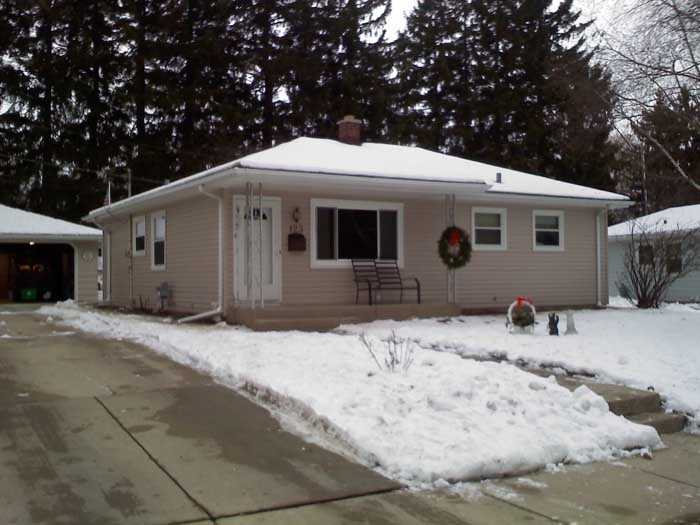 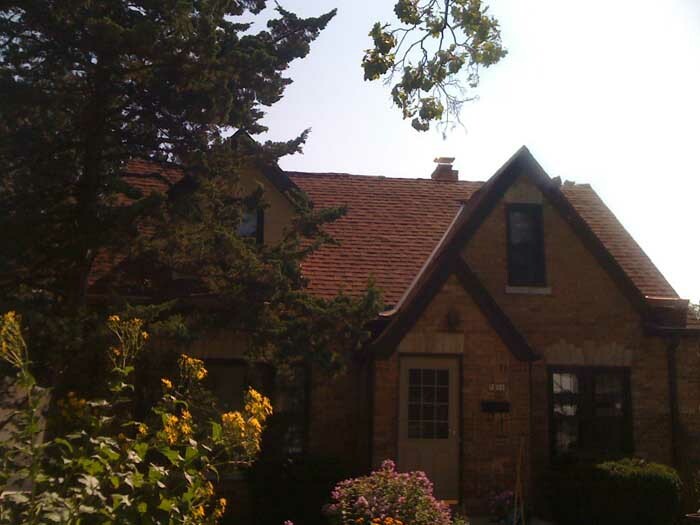 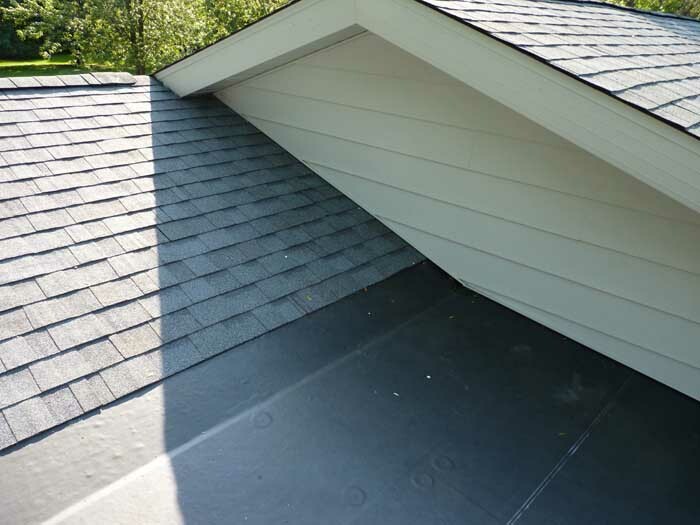 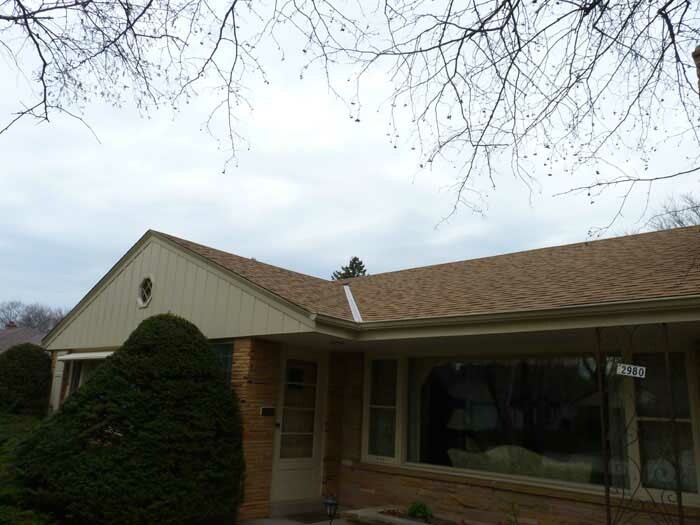 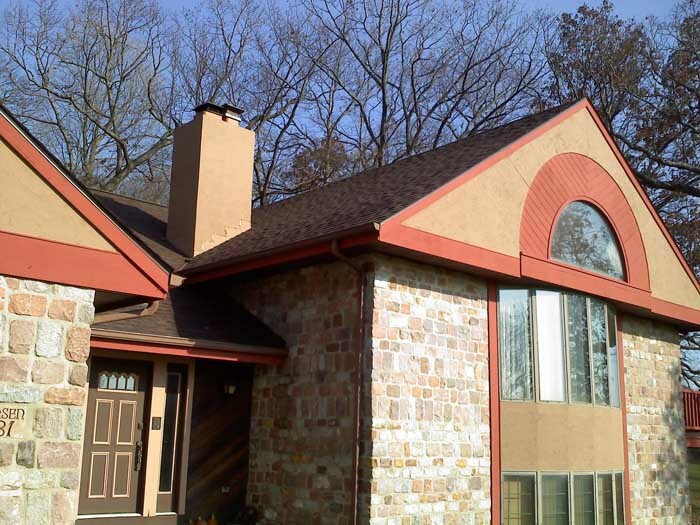 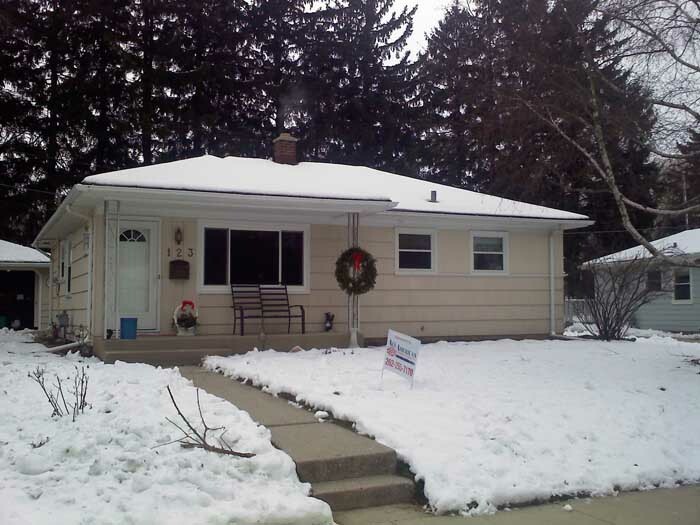 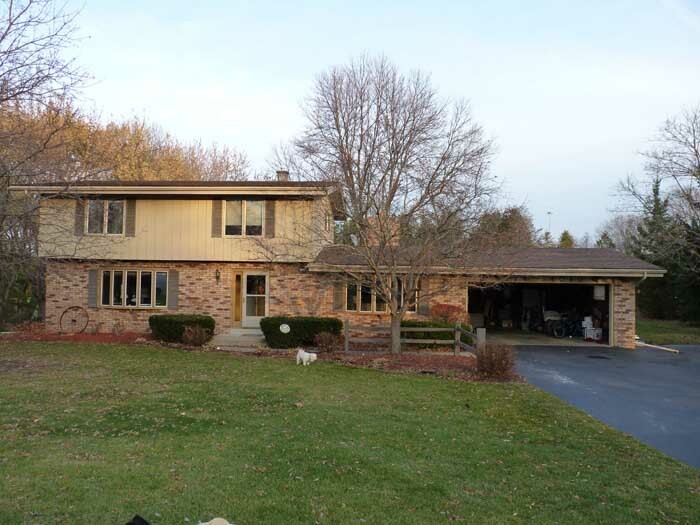 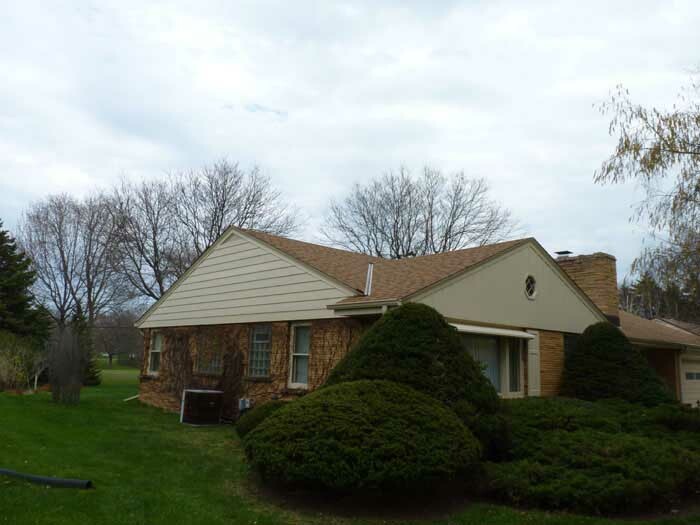 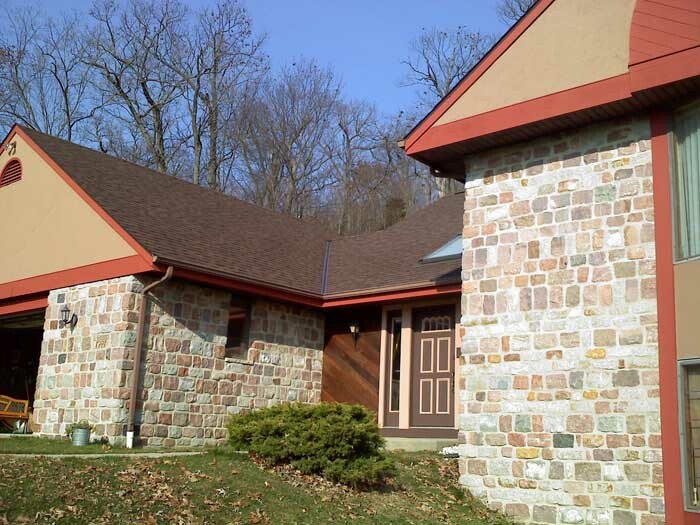 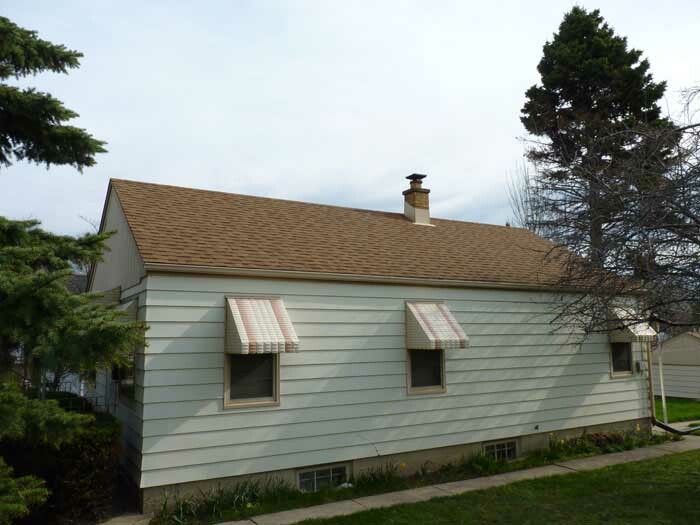 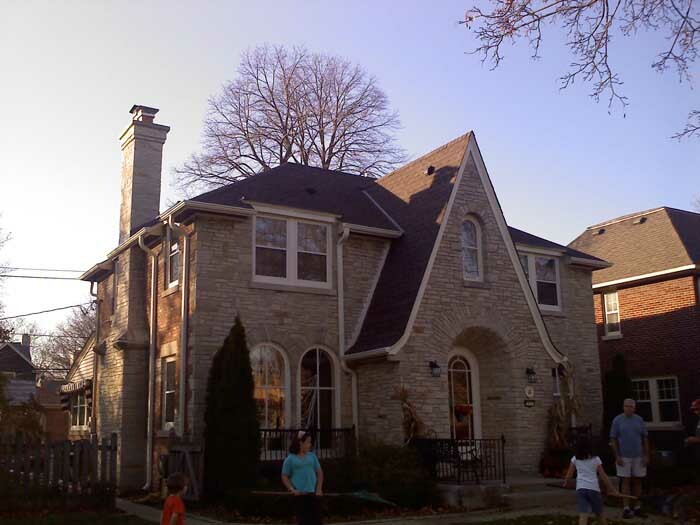 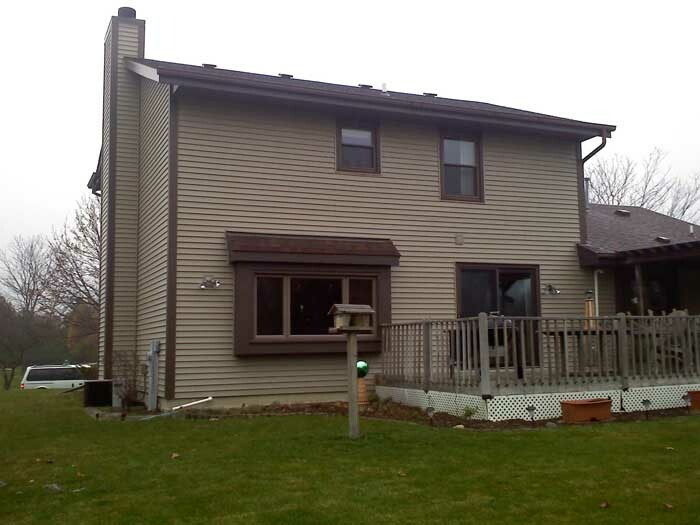 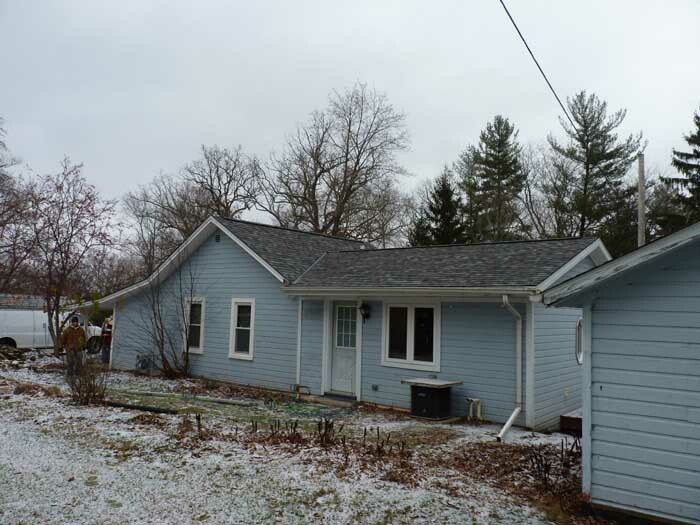 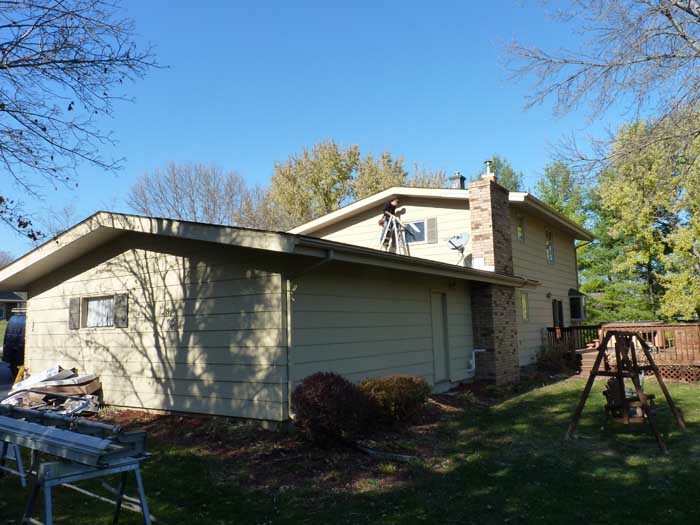 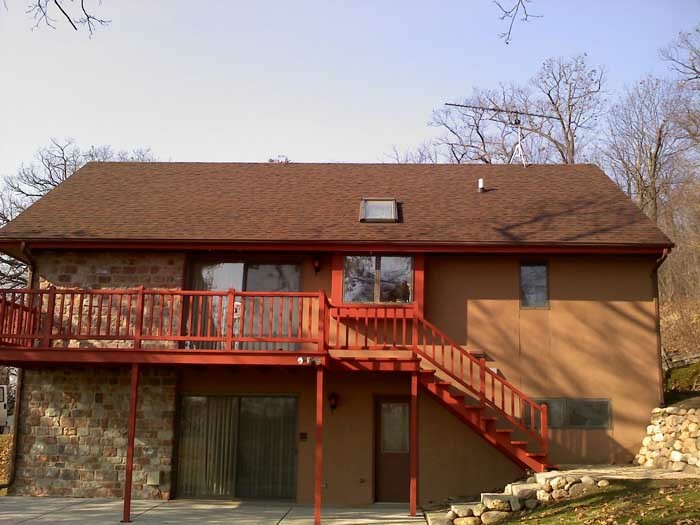 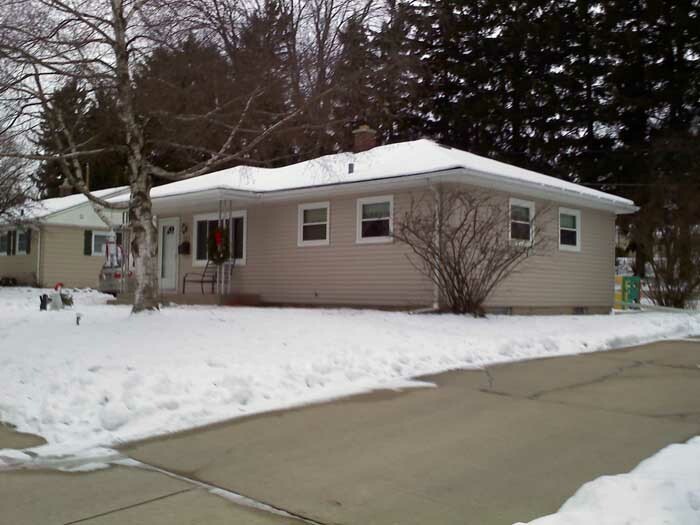 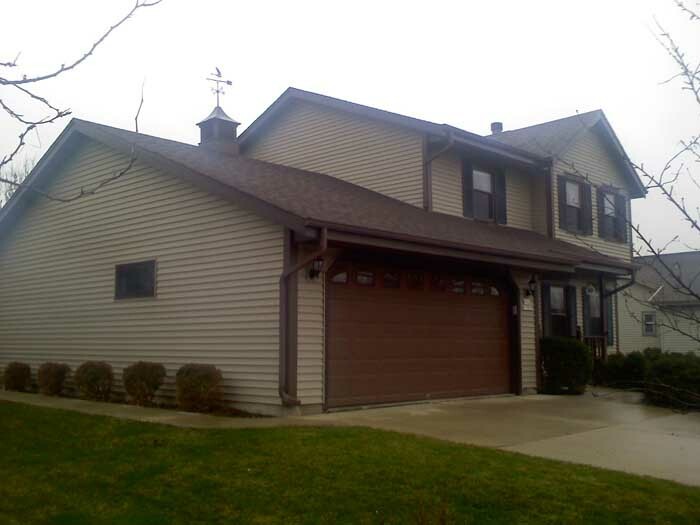 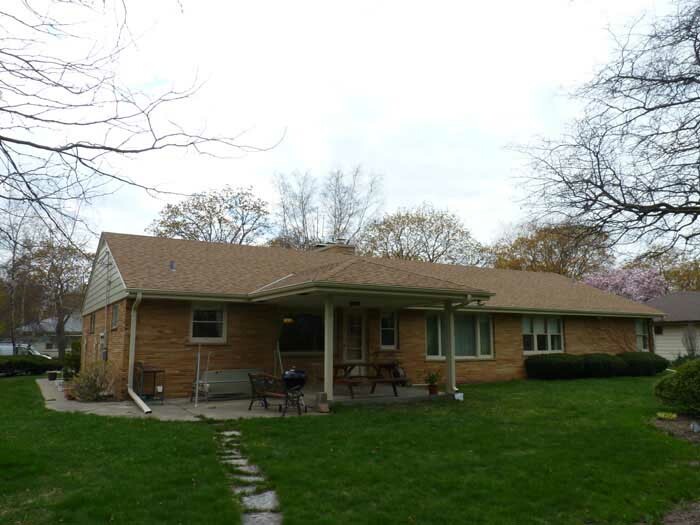 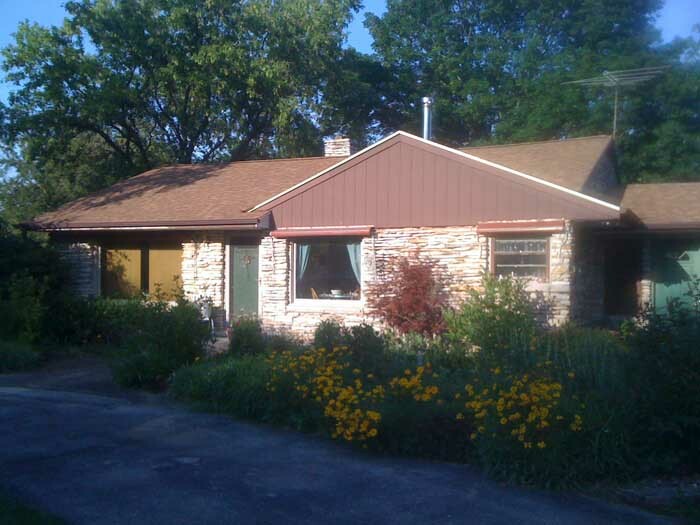 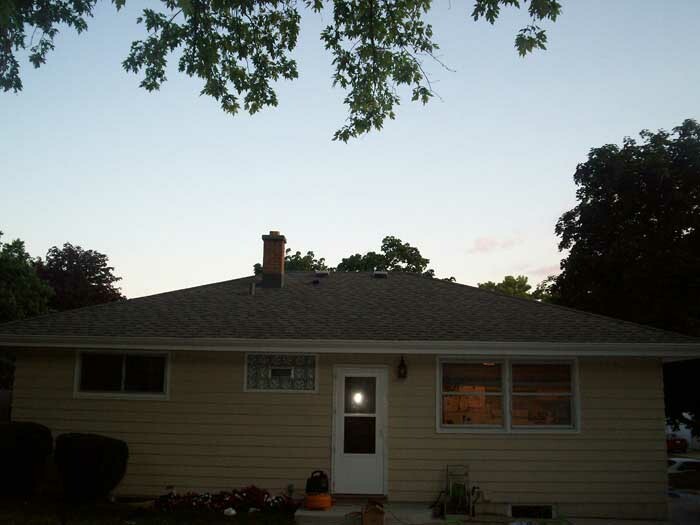 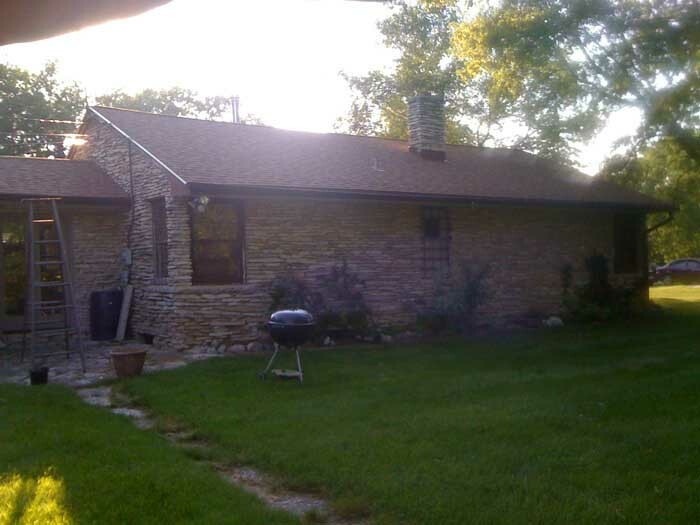 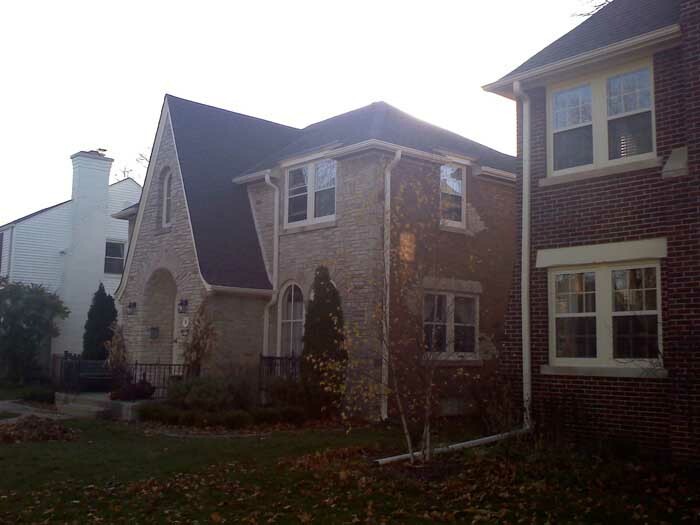 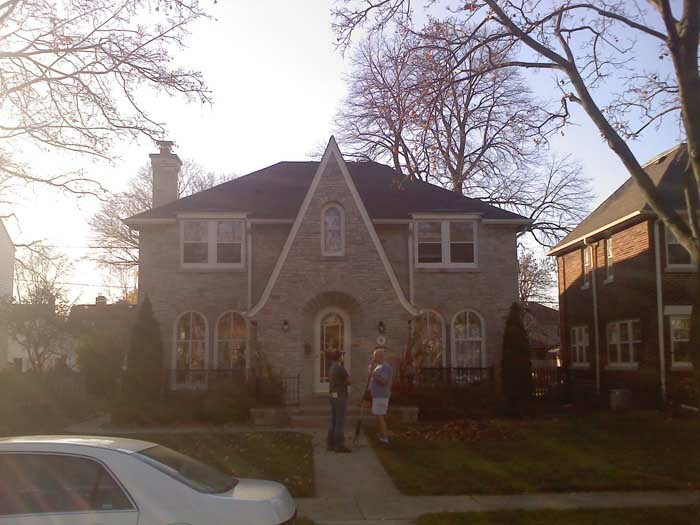 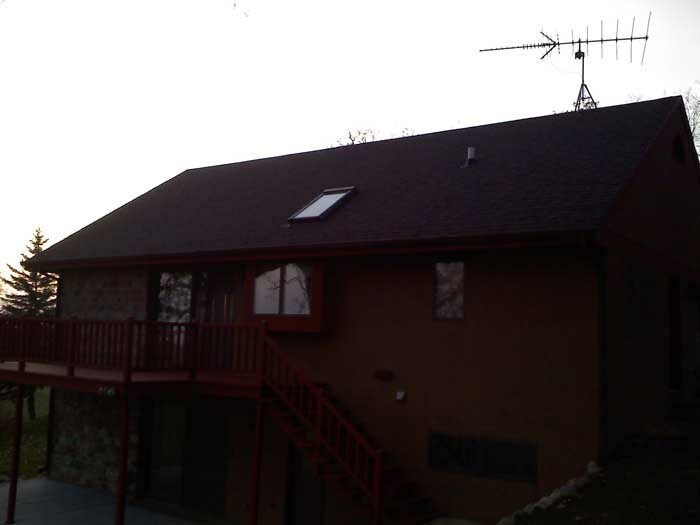 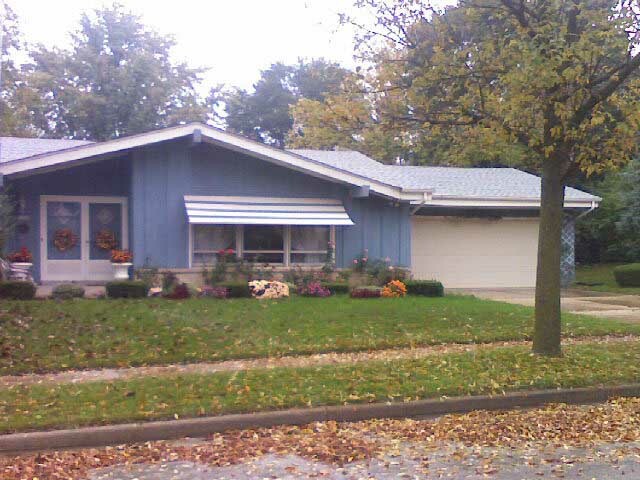 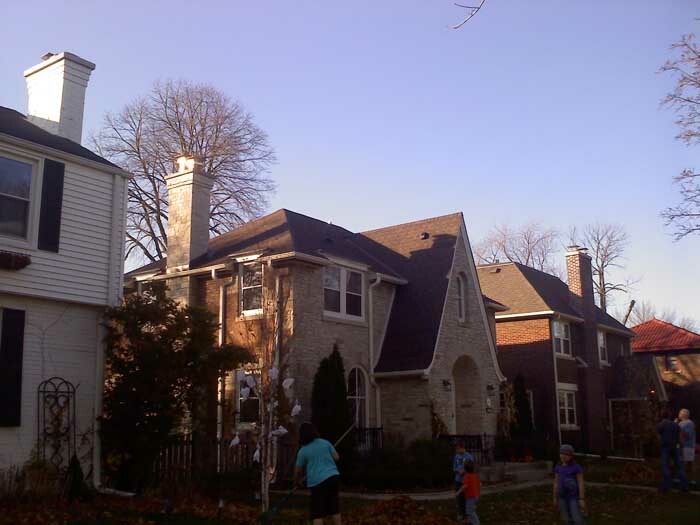 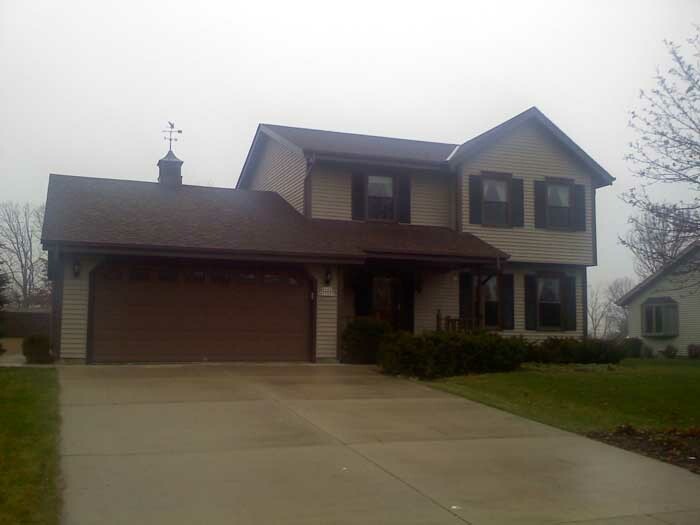 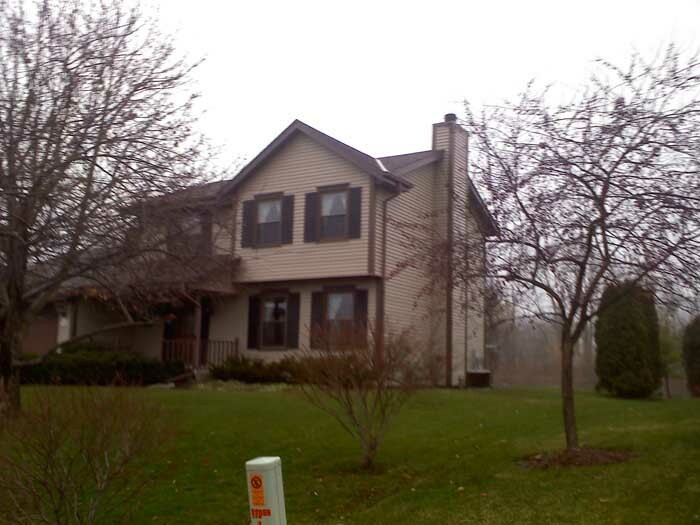 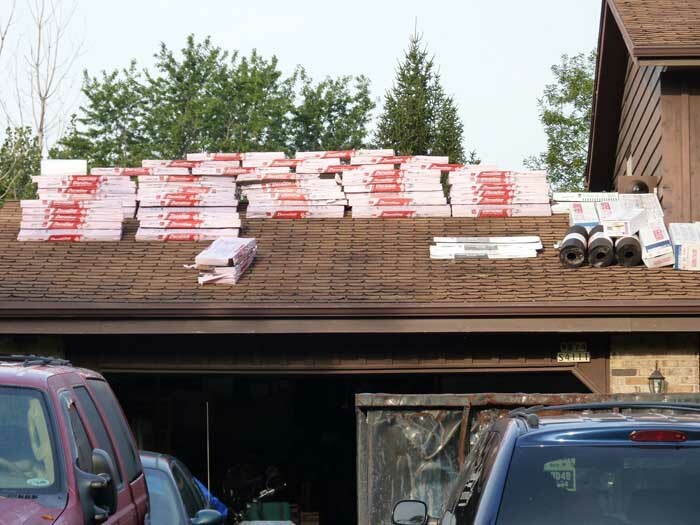 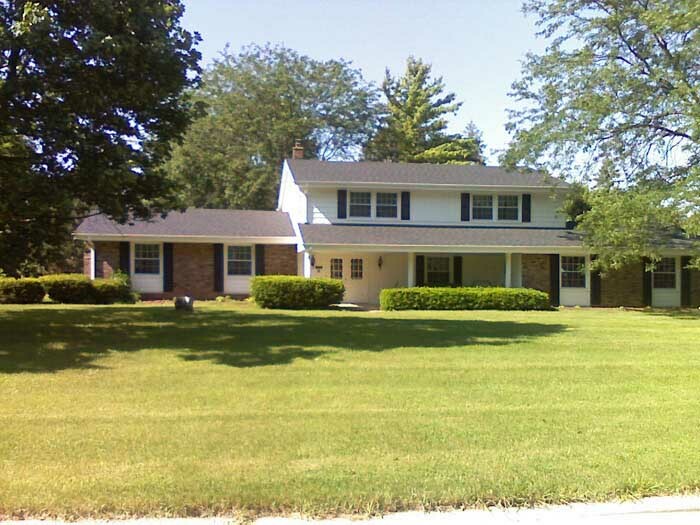 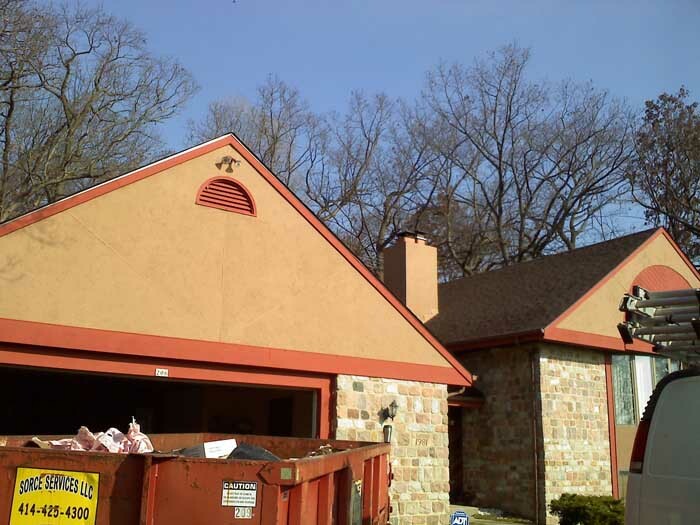 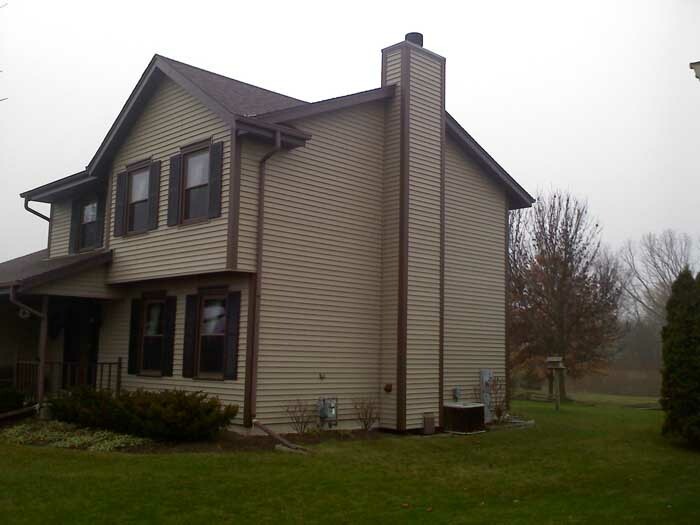 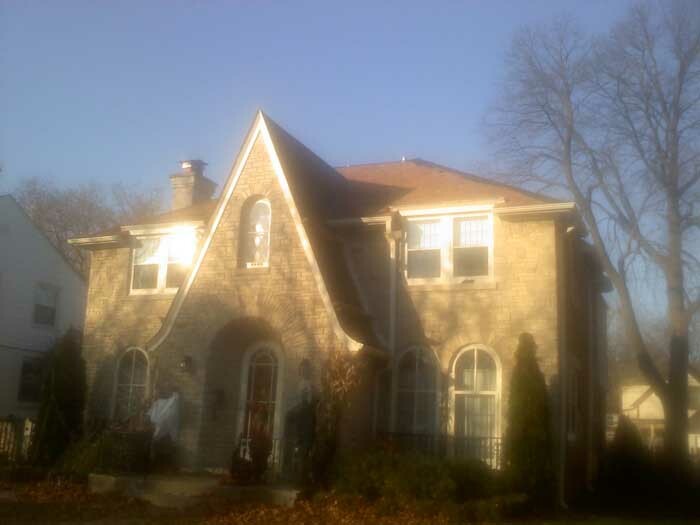 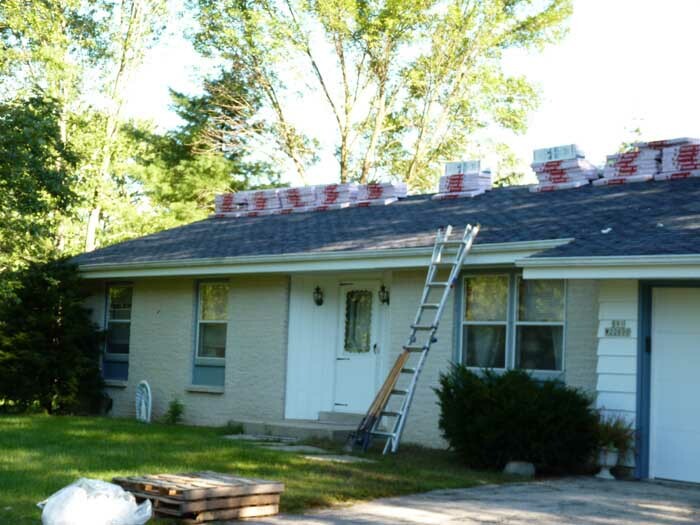 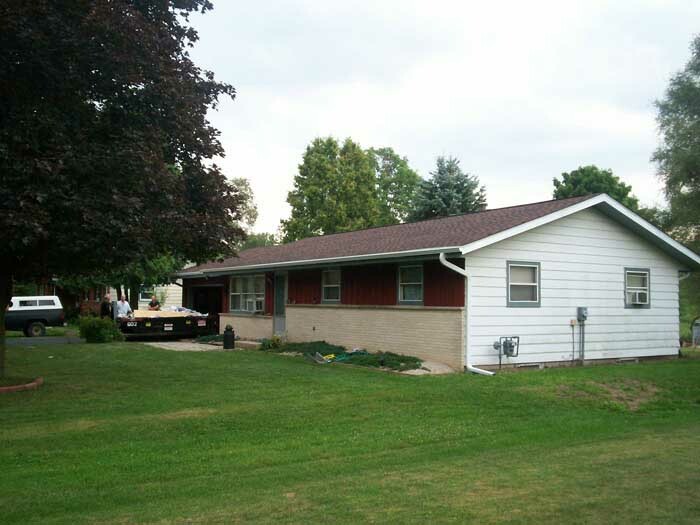 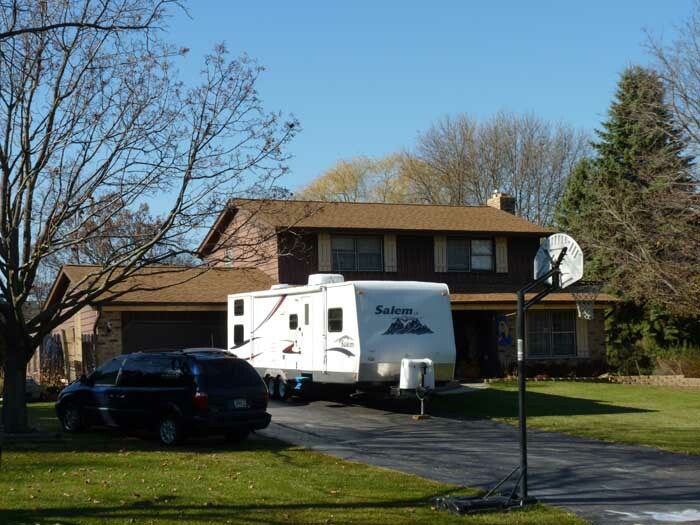 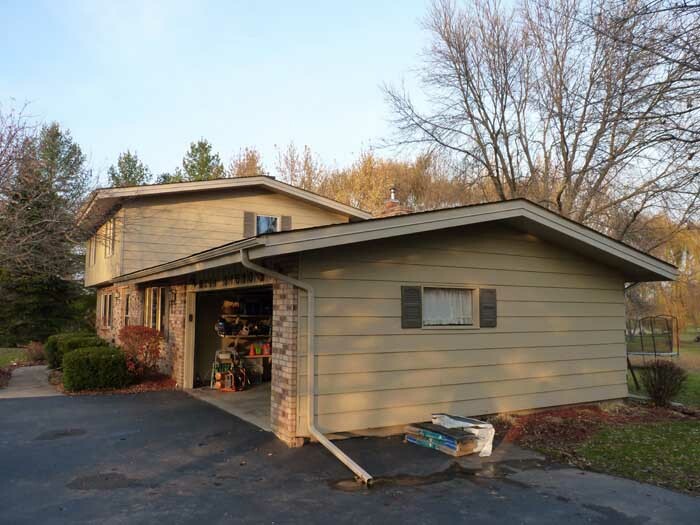 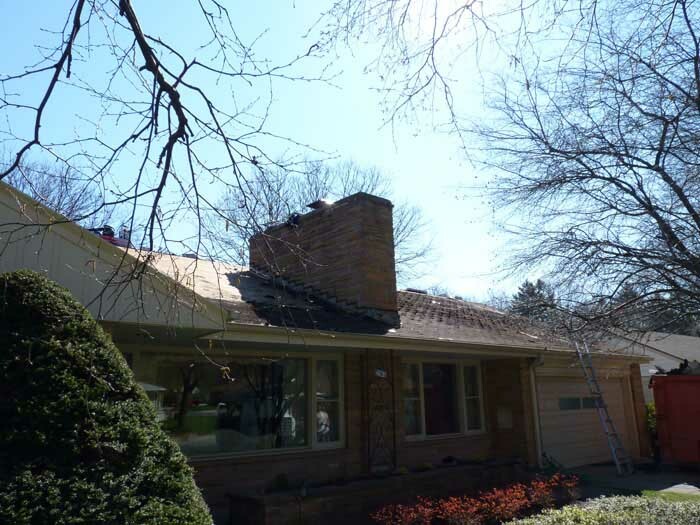 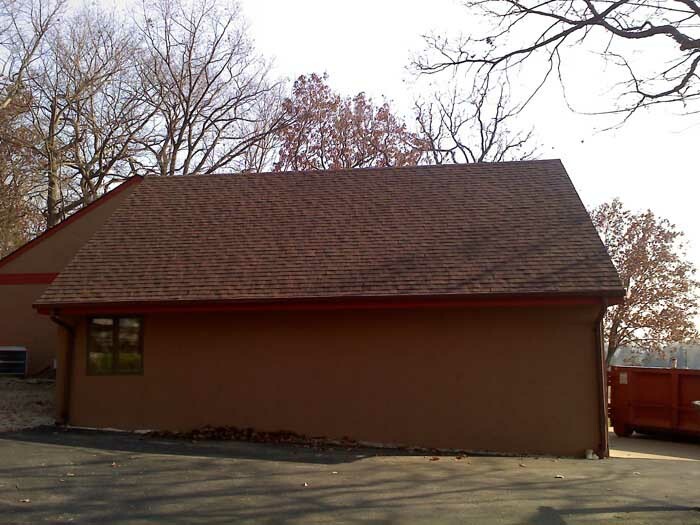 Installation of Owens Corning Durations 30 Year shingles (Color: Quarry Gray). 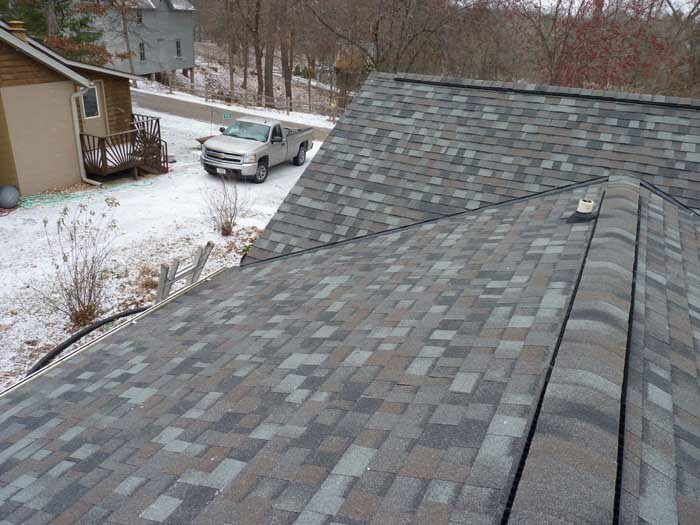 Installation of GAF-ELK Snow & Country Ridge Vent. 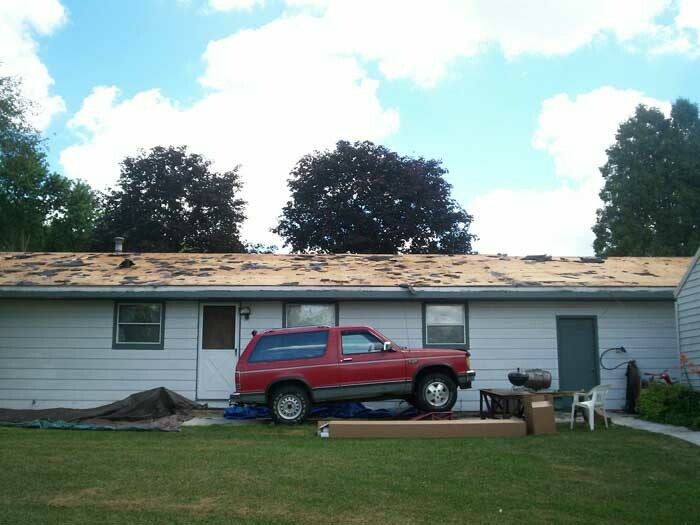 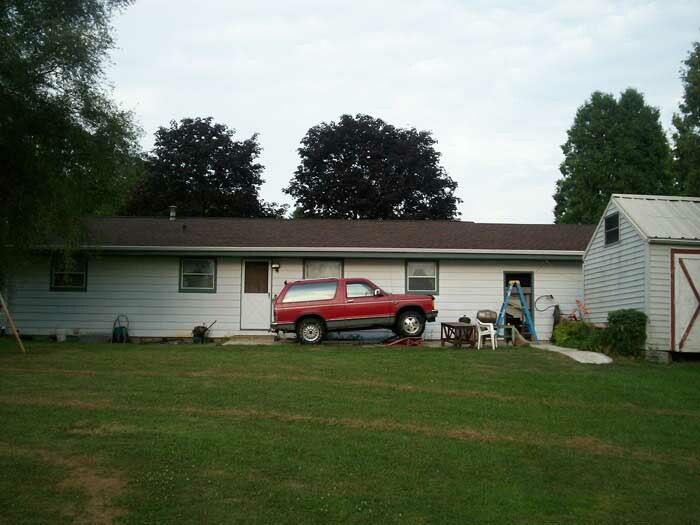 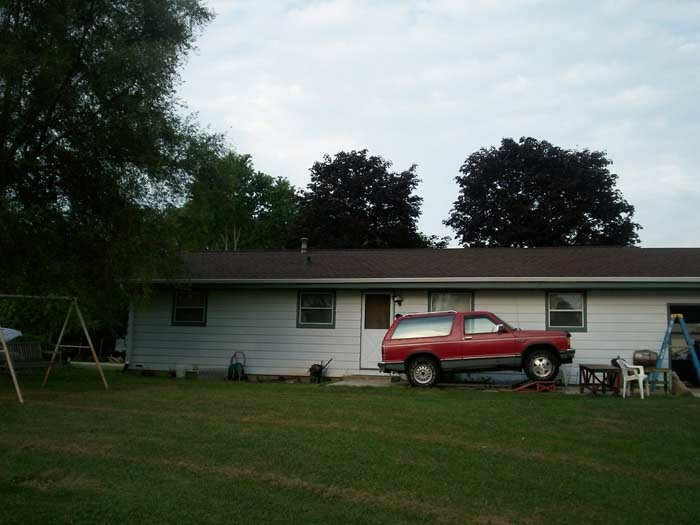 Removed siding by the rubber roof. 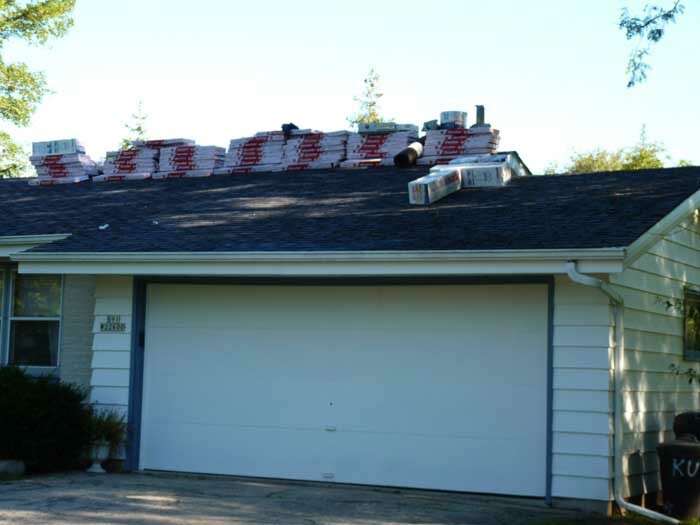 Installed .60 mil black rubber on back of home. 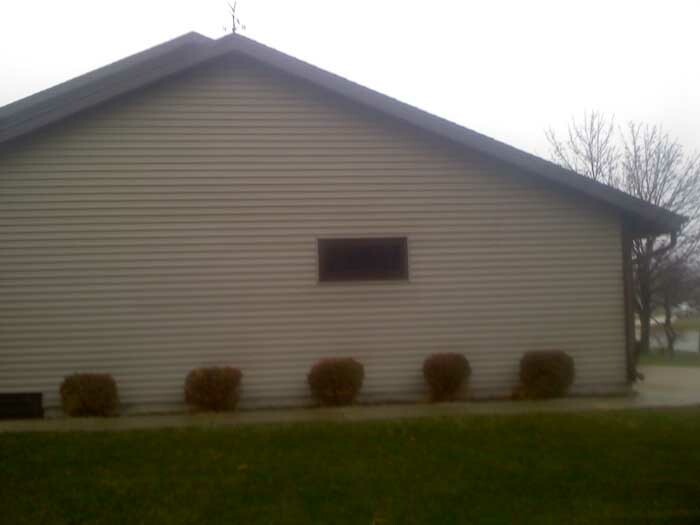 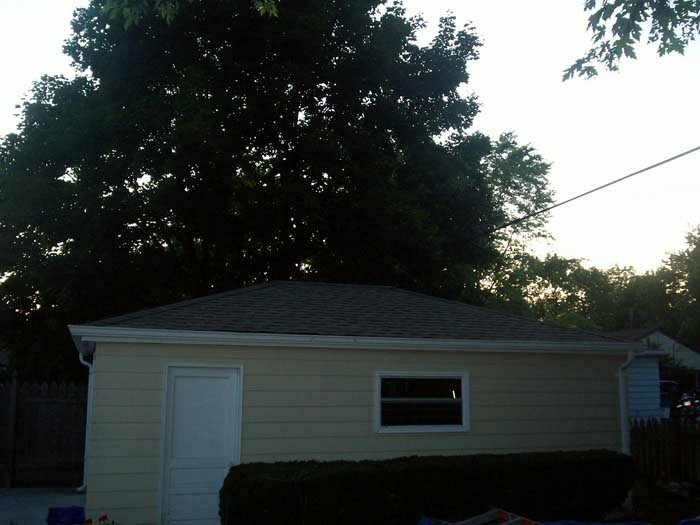 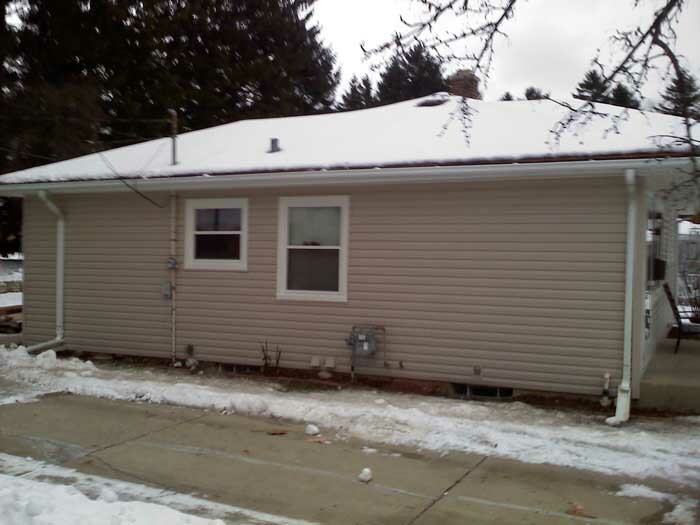 Installed new aluminum siding on back of home. 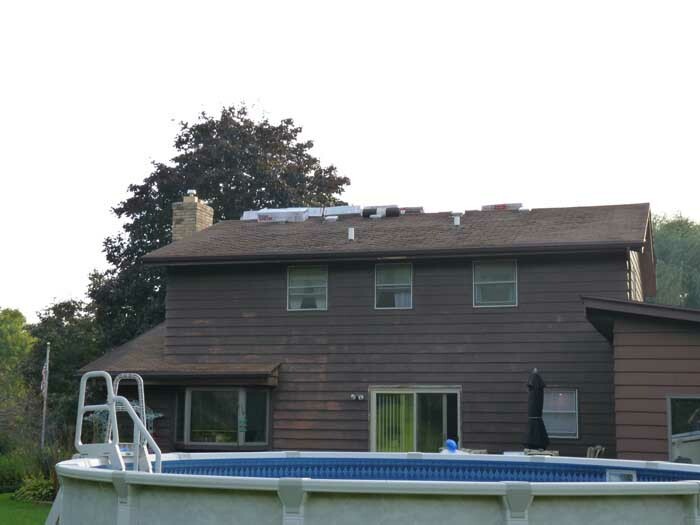 Installation of 5k Seamless Aluminum Gutters with 4" downspouts and heavy duty gutter hangers. 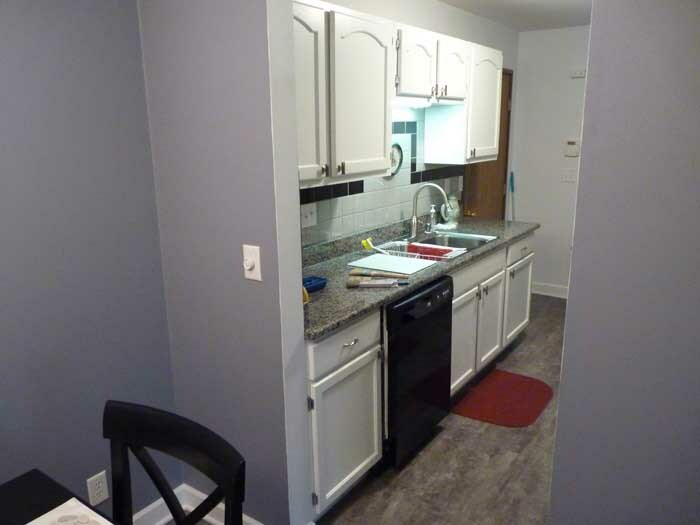 This job has 23 photos. 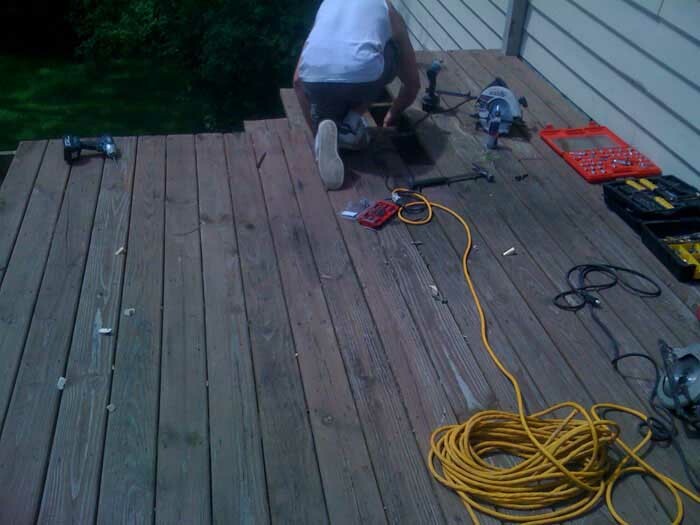 Click on the photo to see this jobs complete photo gallery. 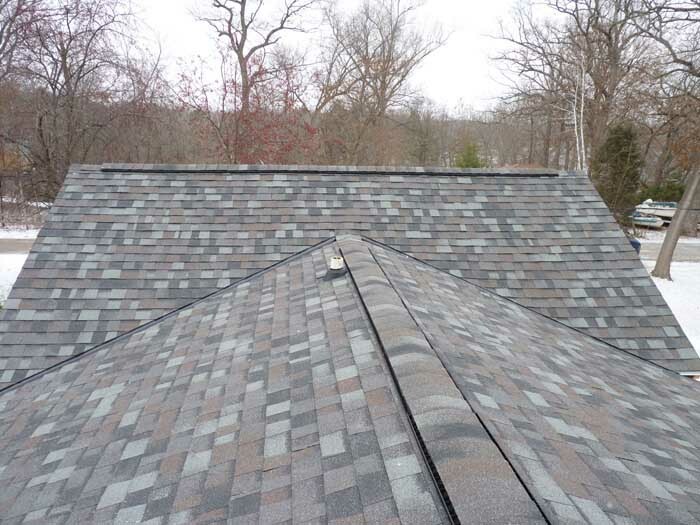 Complete 2 layer asphalt shingle tear-off. 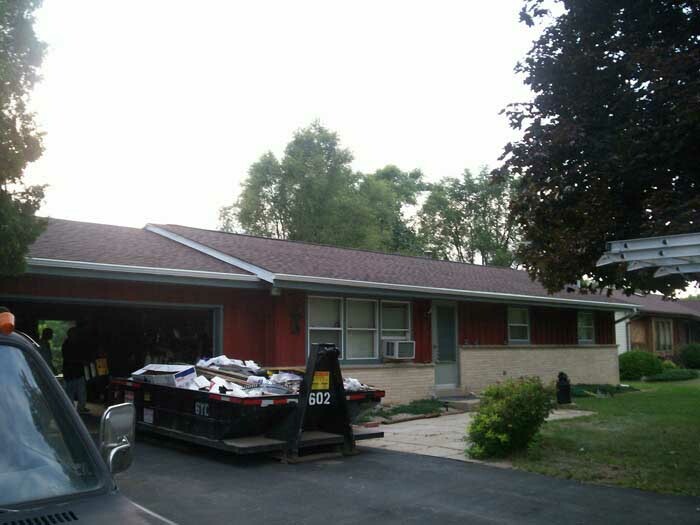 Installation of Owens Corning Durations 30 Year shingles (Color: Desert Tan). 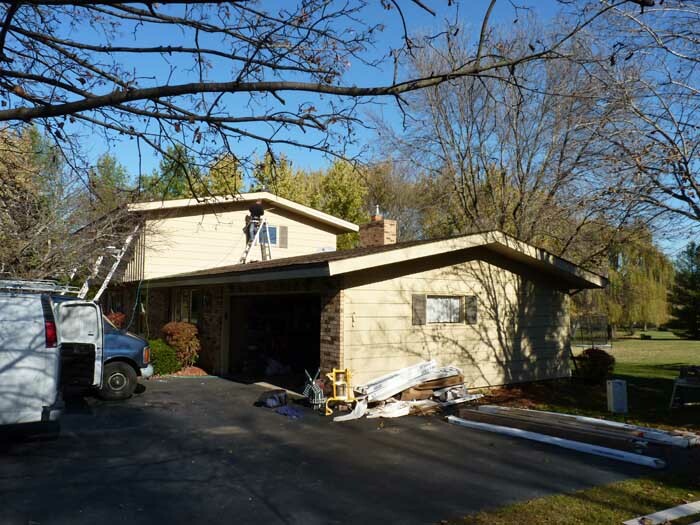 Installation of GAF-ELK Snow & Country Ridge Vent. 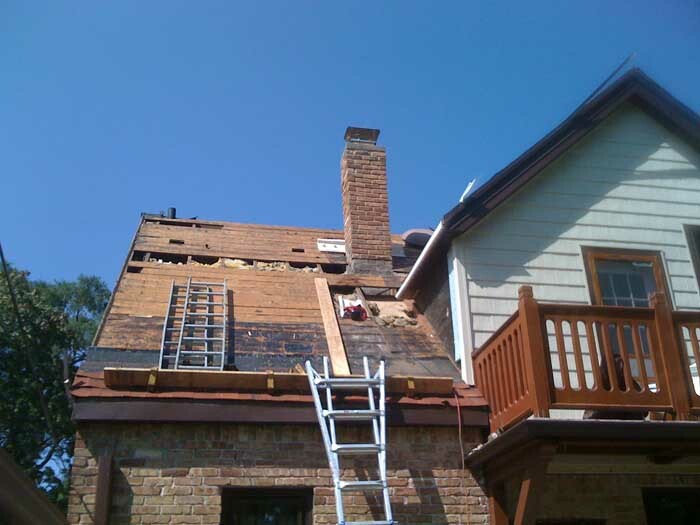 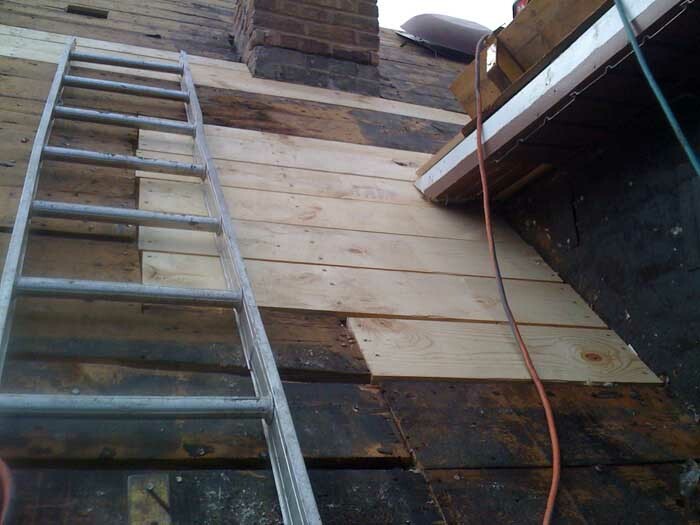 Installation of a tuck point chimney flashing. 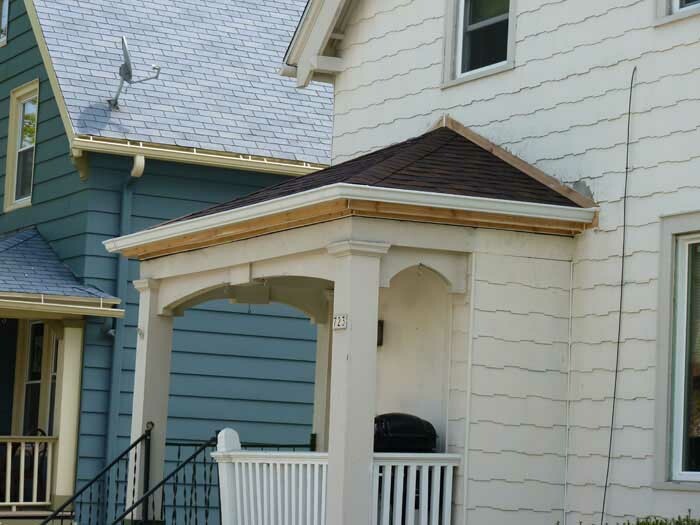 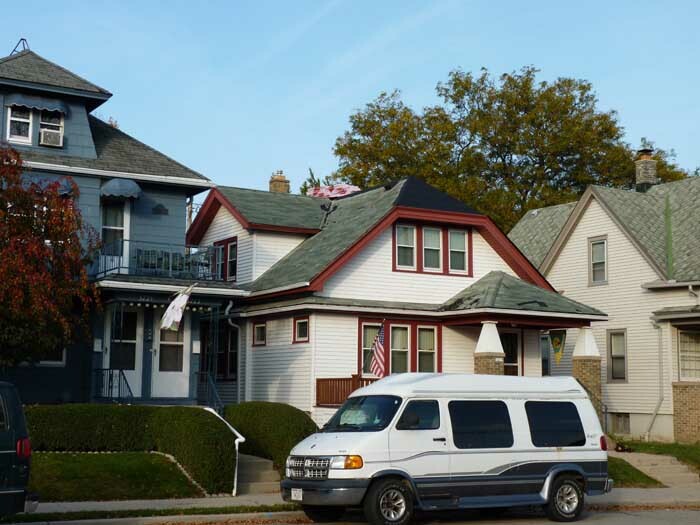 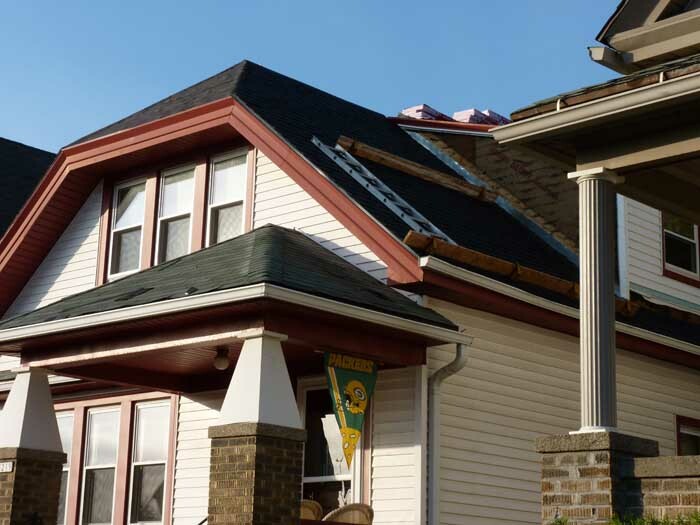 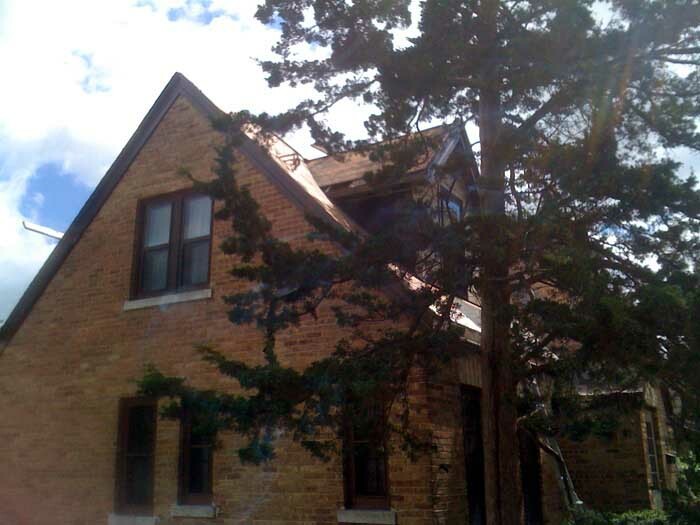 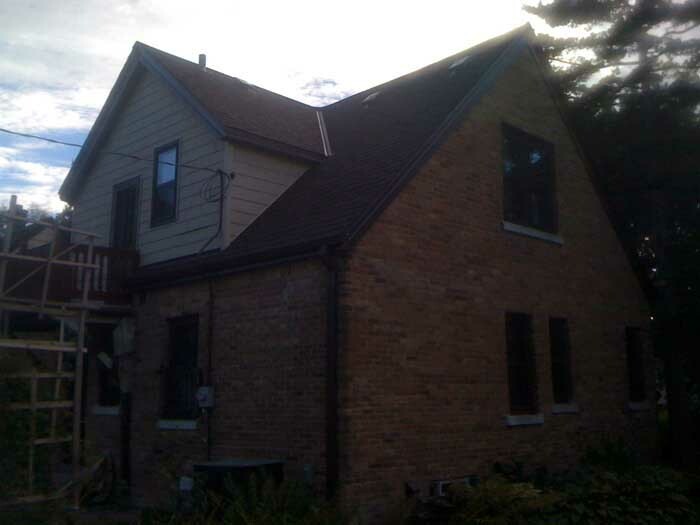 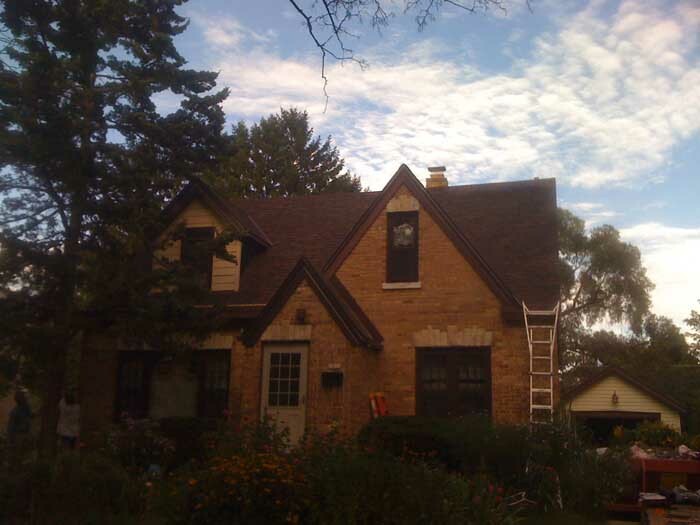 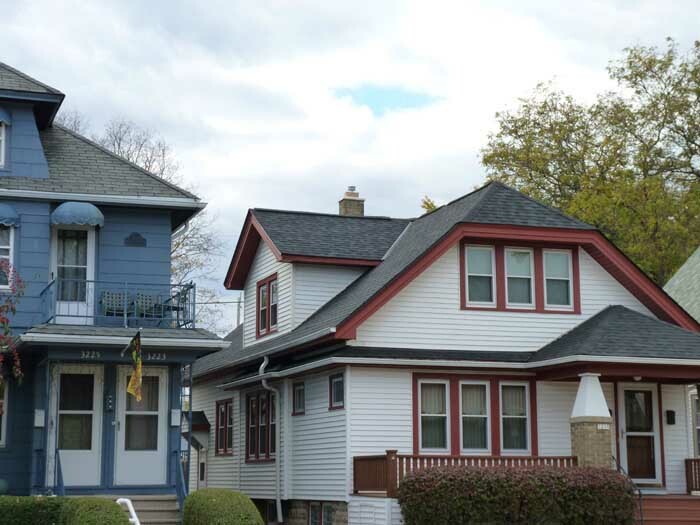 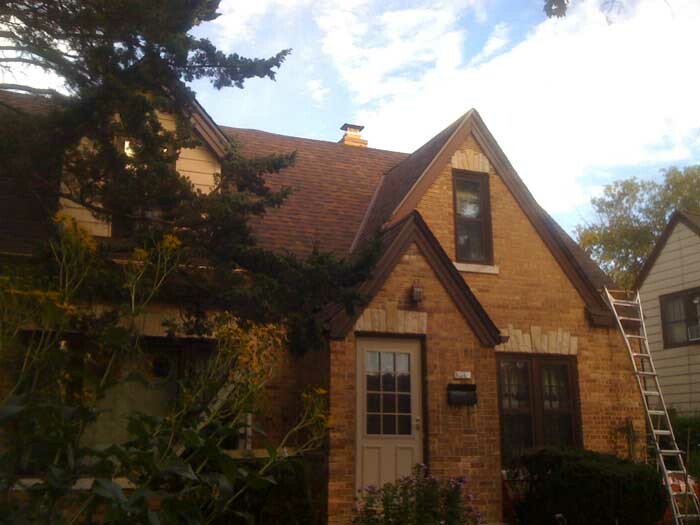 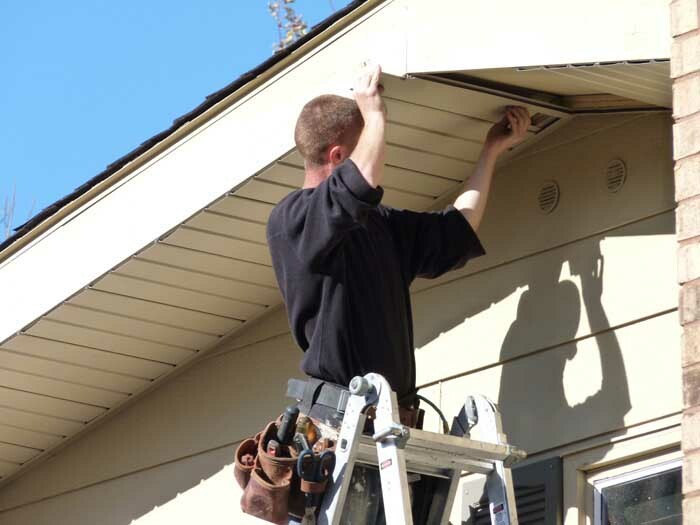 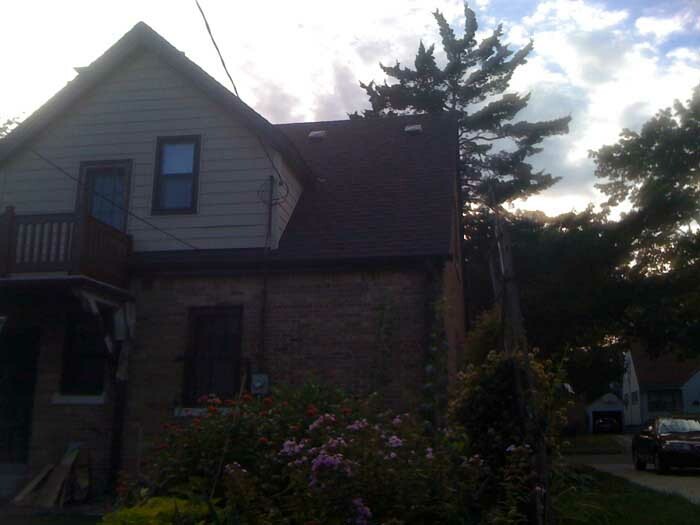 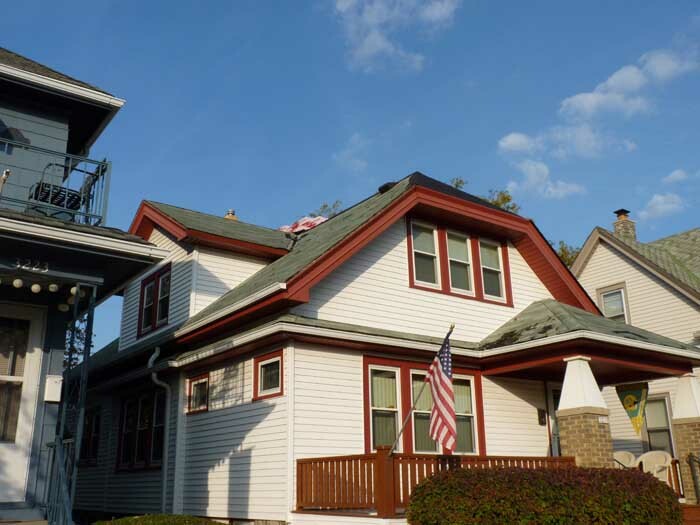 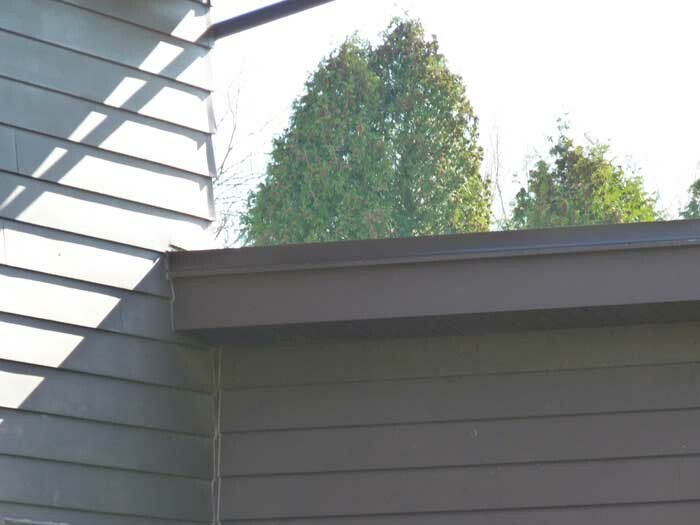 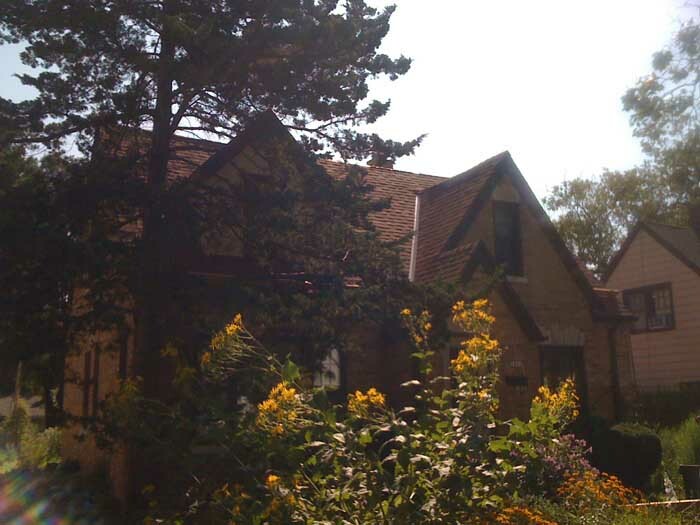 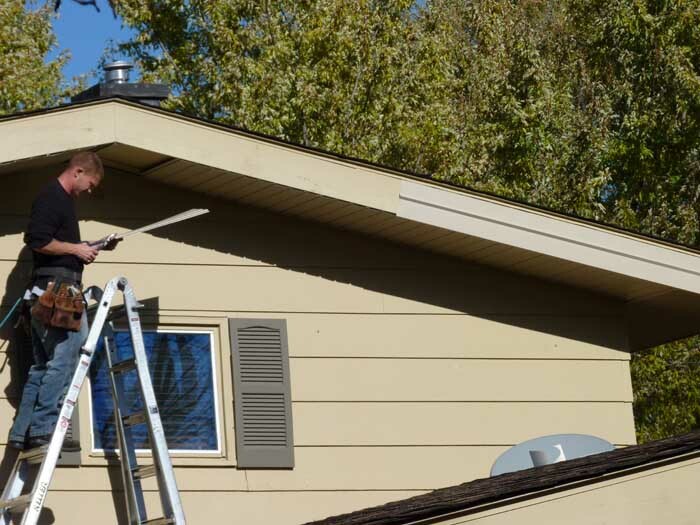 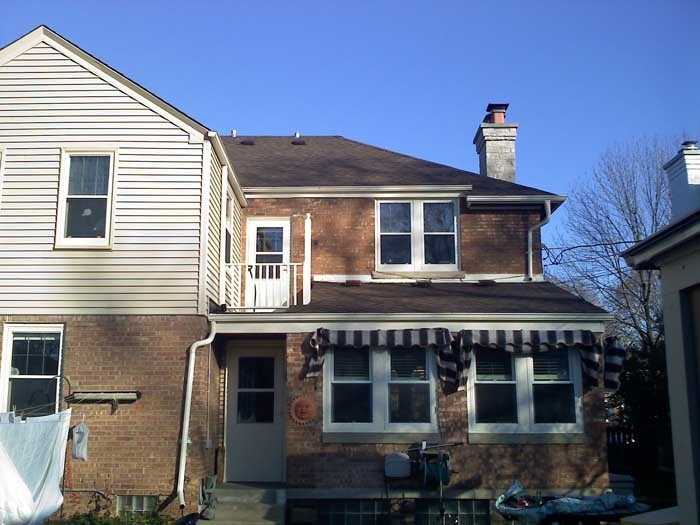 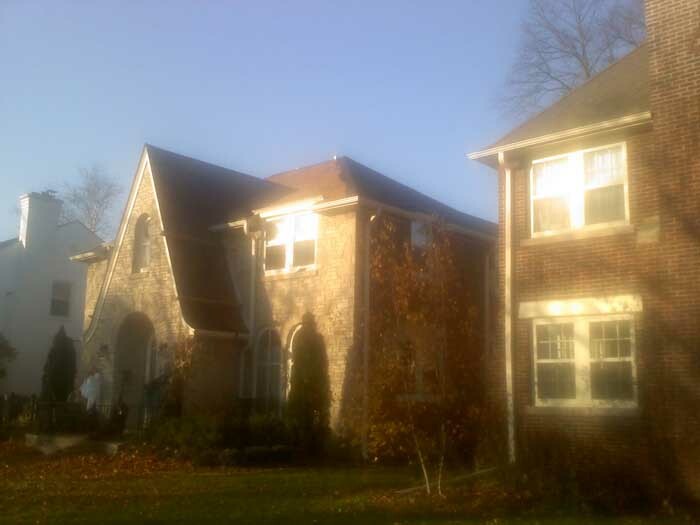 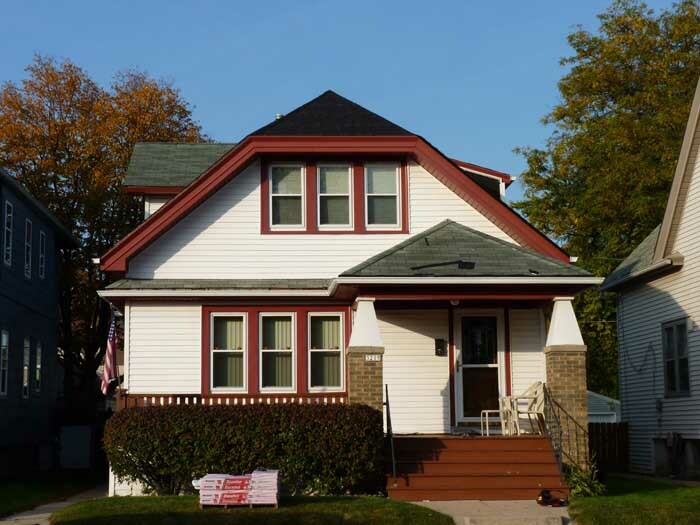 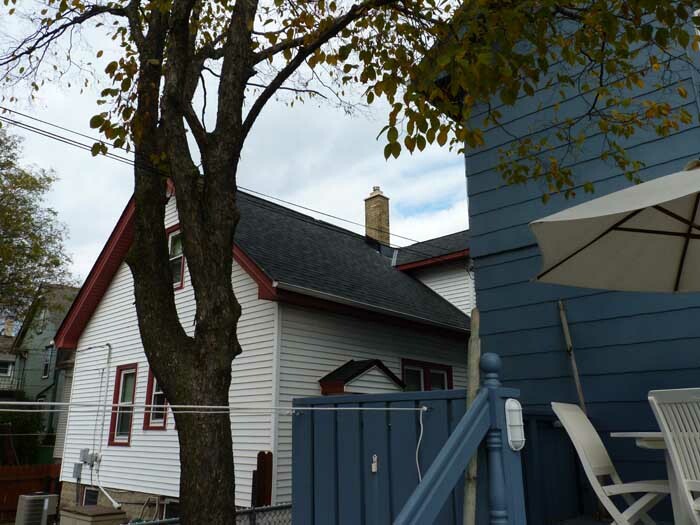 Replace fascia boards on all gables and the front lower eve. 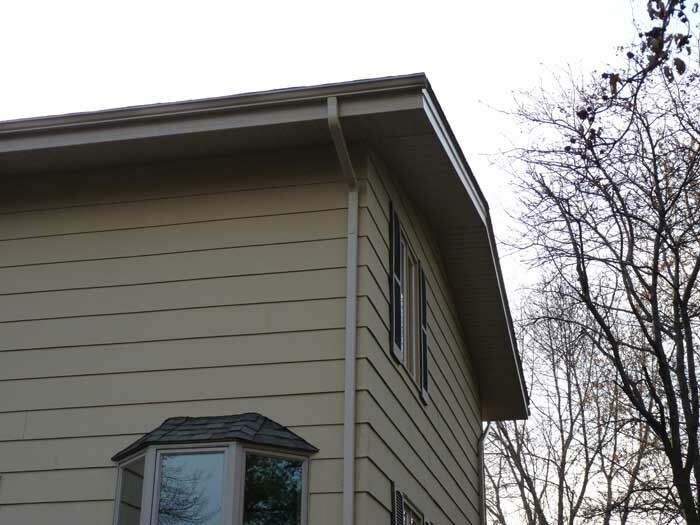 Replaced gutter on front of home on the lower eve. 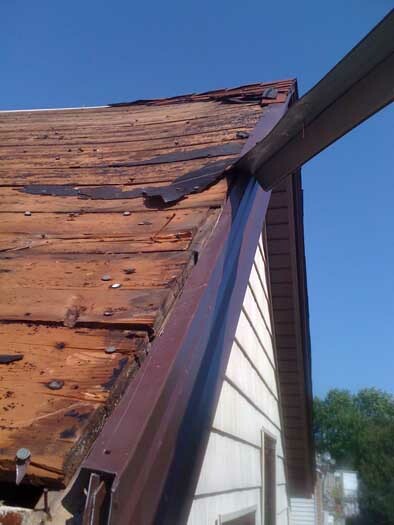 Repair section of the overhangs from sagging. 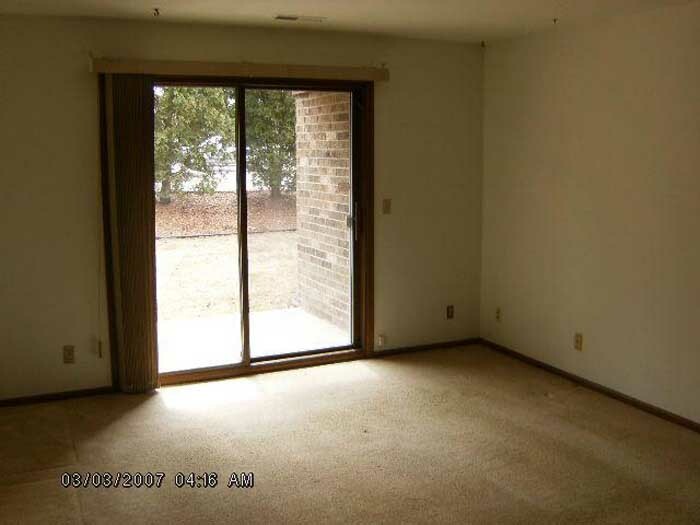 This job has 17 photos. 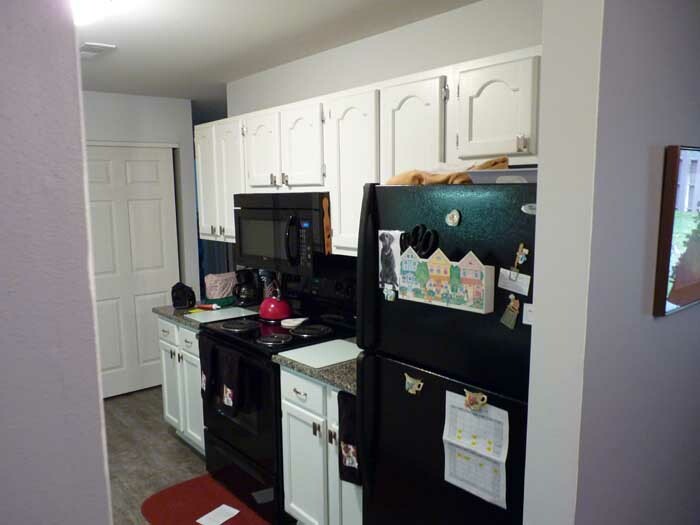 Click on the photo to see this jobs complete photo gallery. 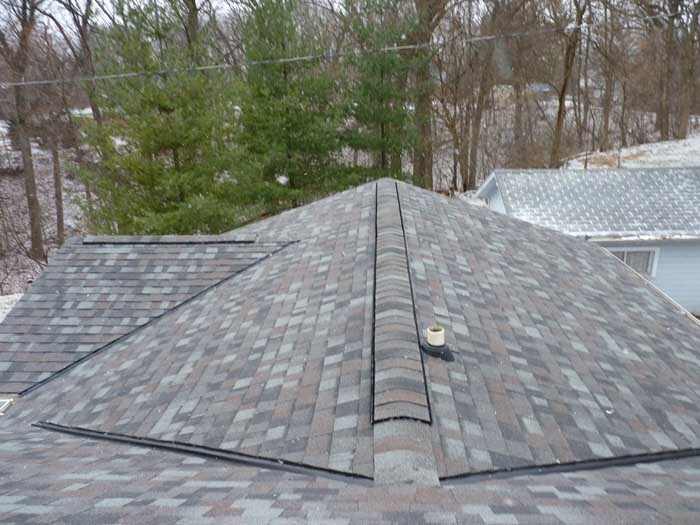 Complete 2 layer asphalt shingle tear-off. 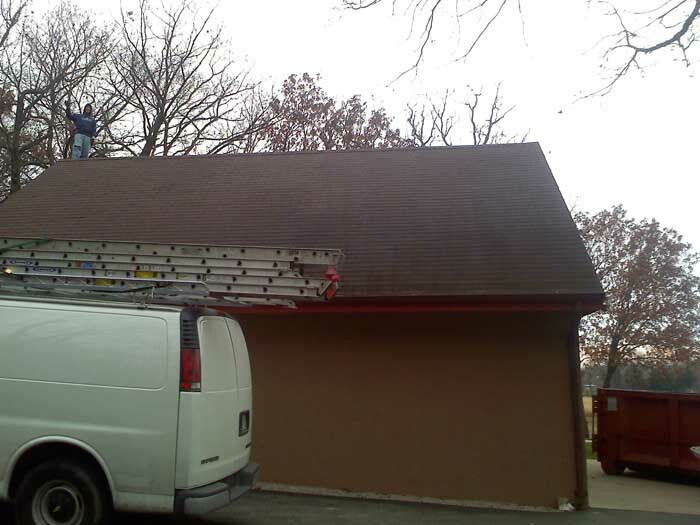 Installation of Owens Corning Durations 30 Year shingles (Color: Desert Tan). 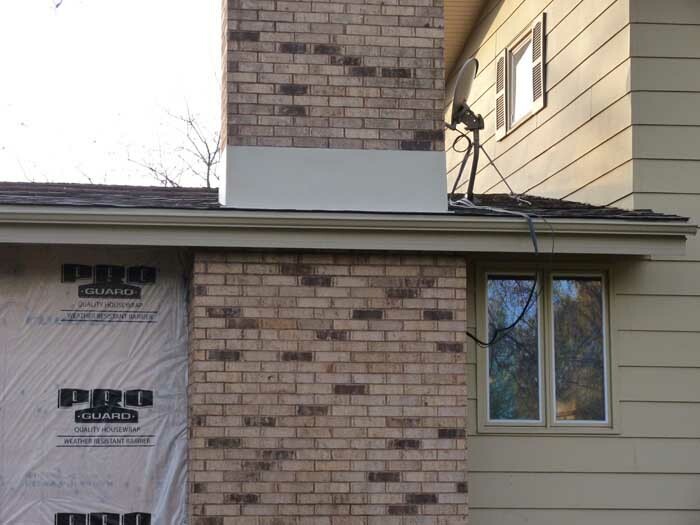 Installation of GAF-ELK Snow & Country Ridge Vent. 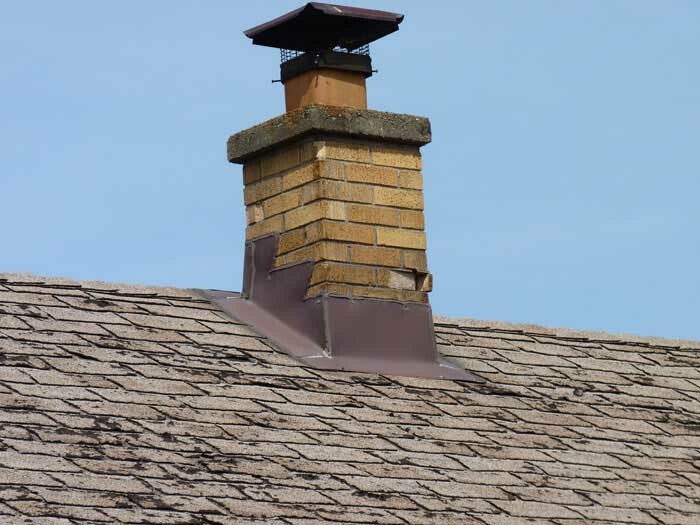 Installation of a tuck point chimney flashing. 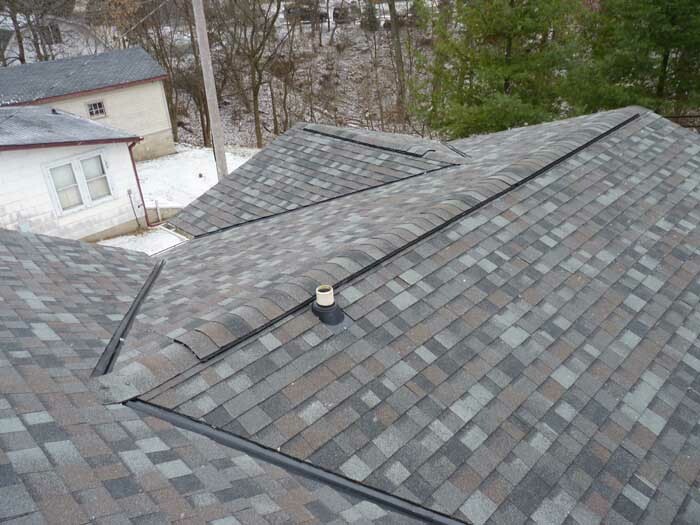 Complete 2 layer asphalt shingle tear-off. 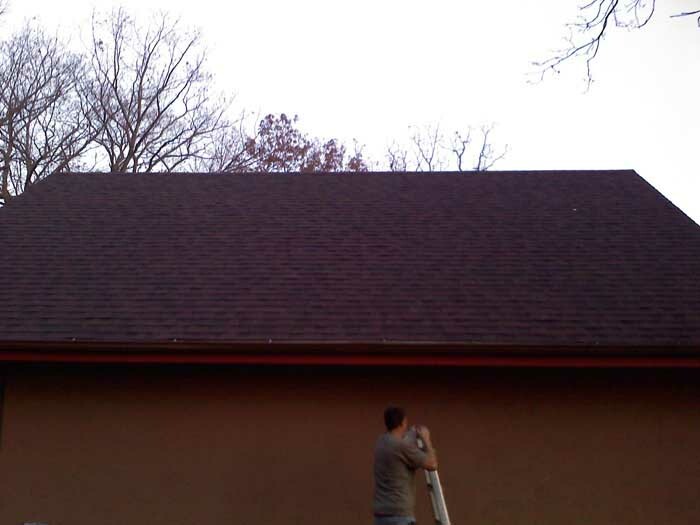 Installation of Owens Corning Durations 30 Year shingles (Color: Brownwood). 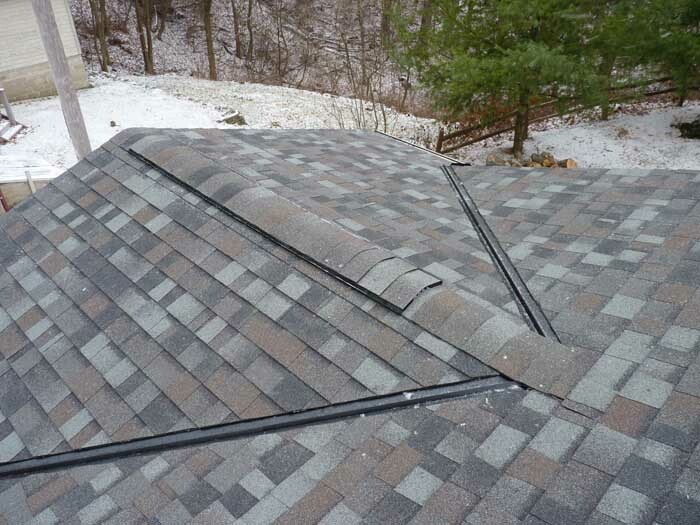 Installation of GAF-ELK Snow & Country Ridge Vent. 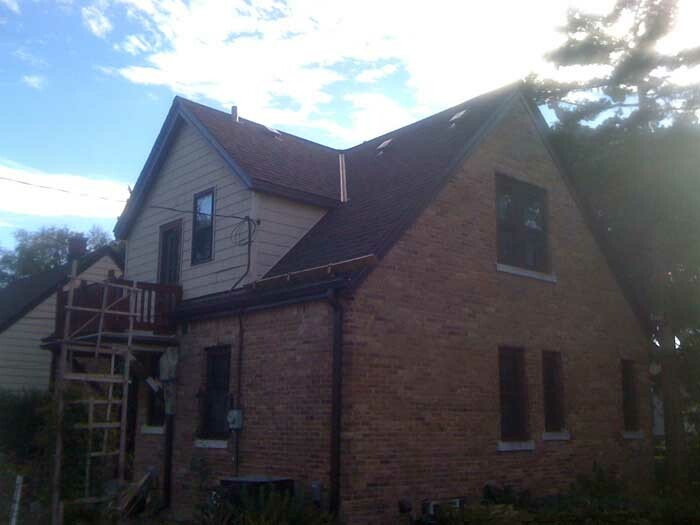 Removed front 3 skylights, centered, re-framed and re-installed 1 skylight. 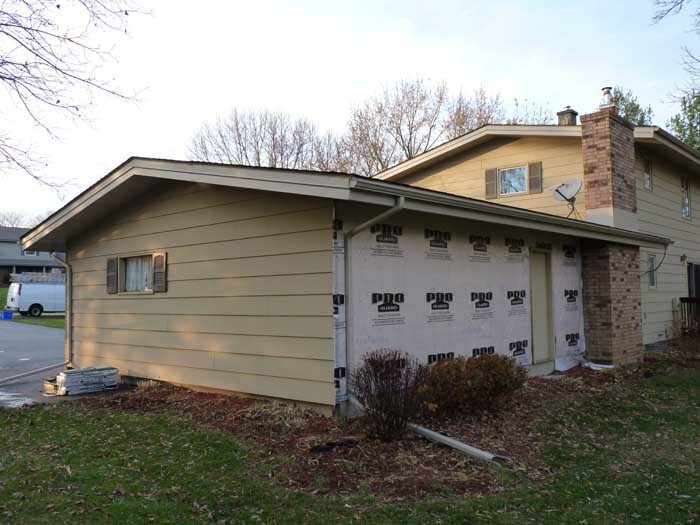 Installed insulation, drywall, texture, and paint. 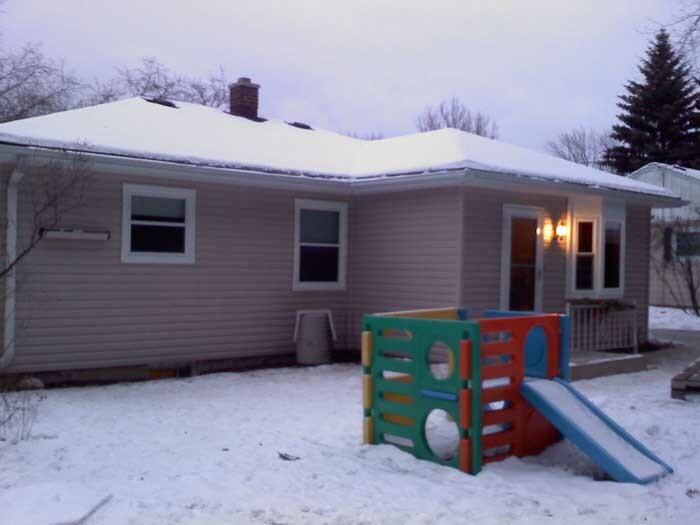 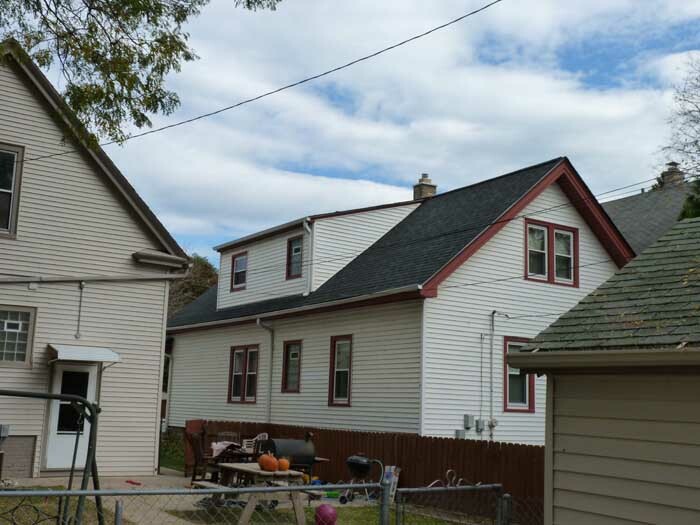 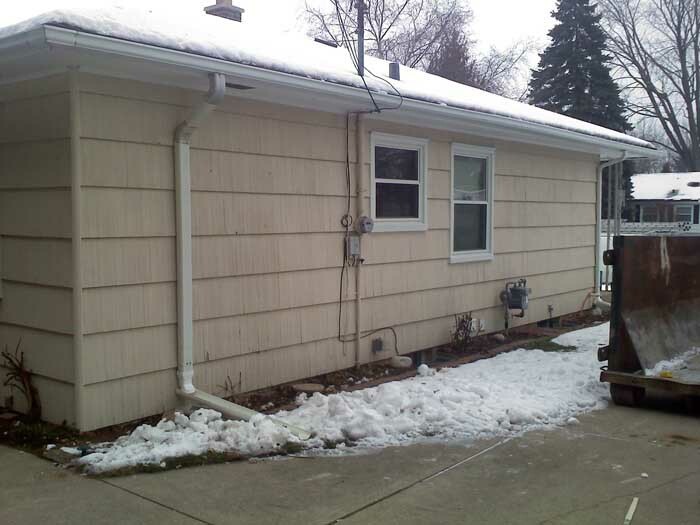 Installed gutter heating cables on back of home. 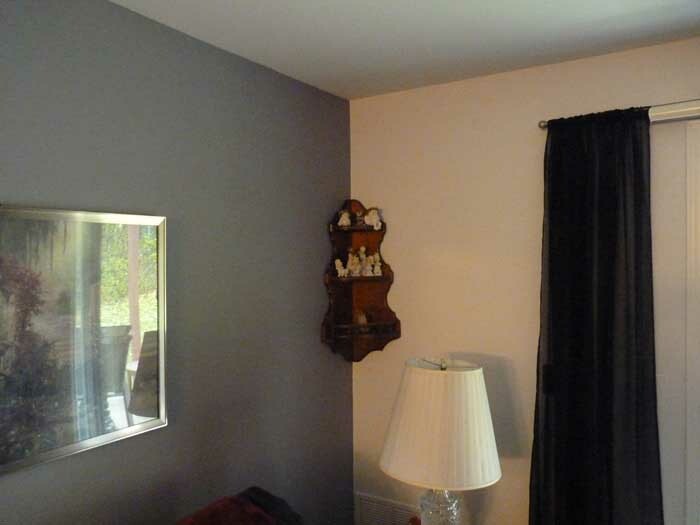 This job has 21 photos. 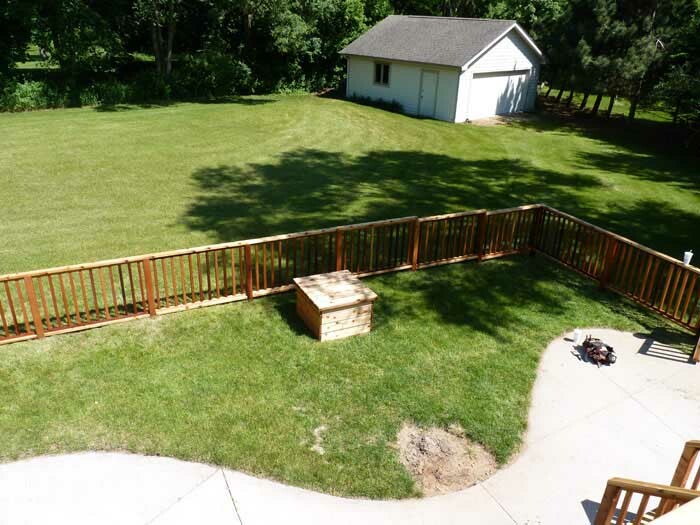 Click on the photo to see this jobs complete photo gallery. 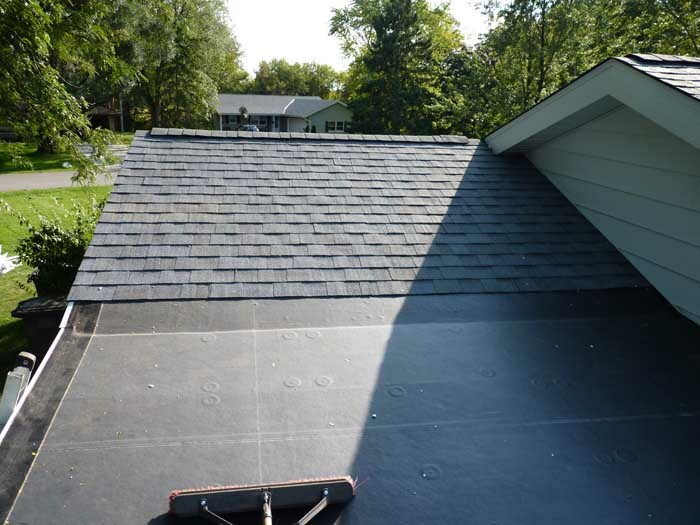 Complete 3 layer asphalt shingle tear-off. 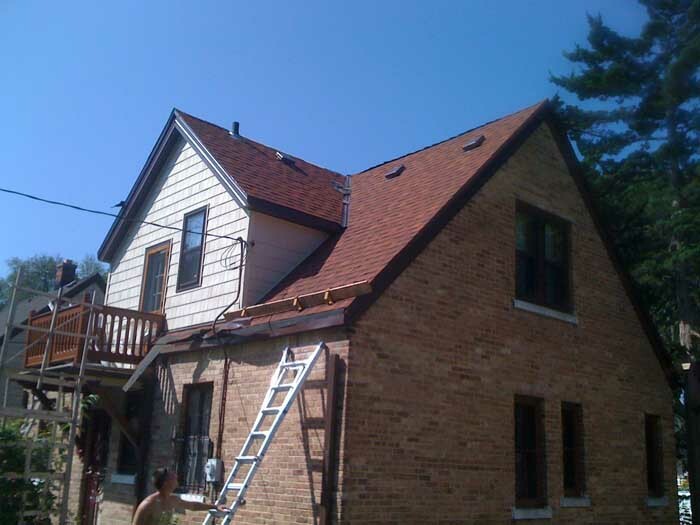 Installation GAF-ELK 30 Year High Definition Shingles (Color: Hickory). 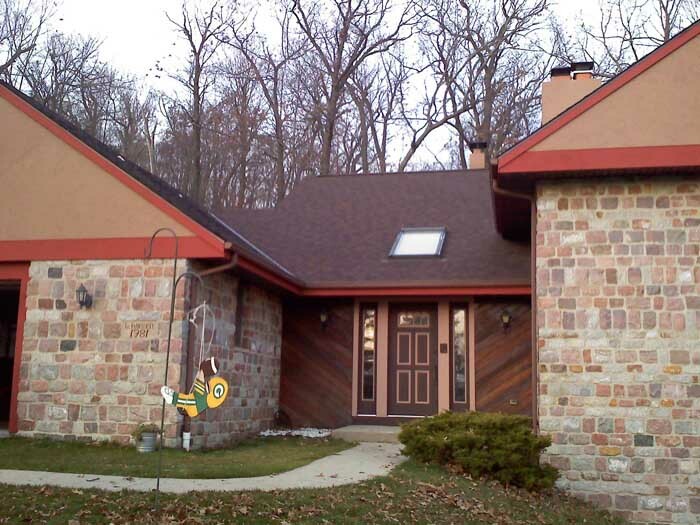 Installation of GAF-ELK Snow & Country Ridge Vent. 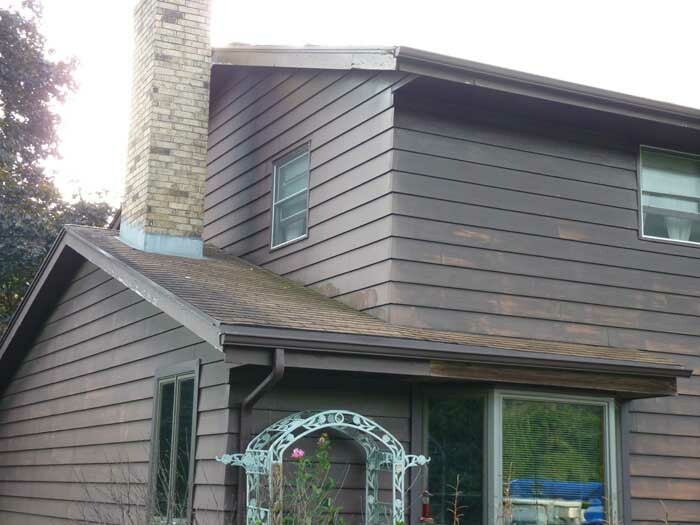 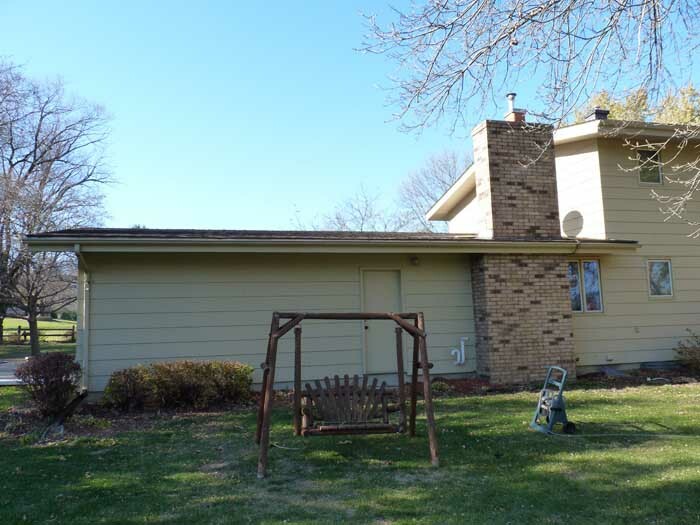 Replace rotten fascia boards. 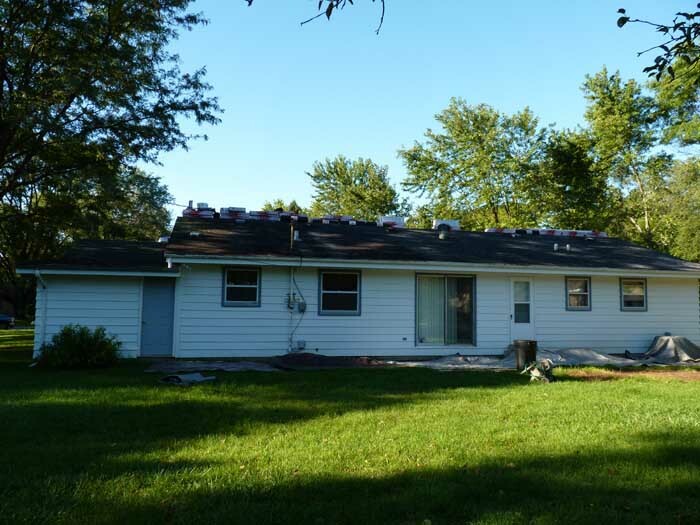 Installed 6 rubber roof sections above the windows on the second floor. 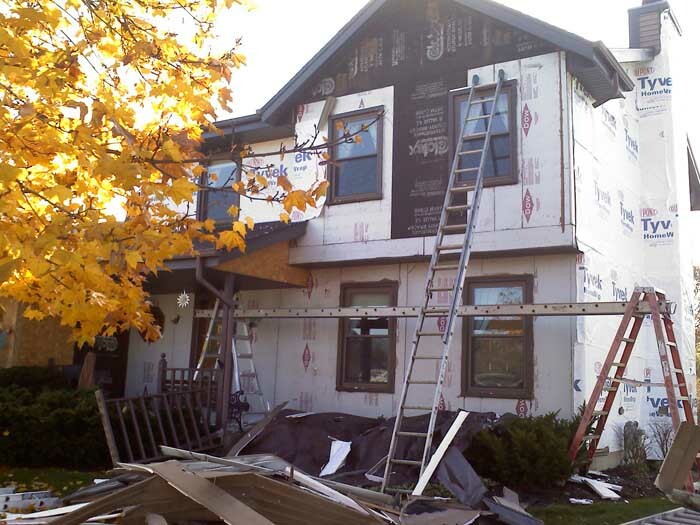 Complete tear off of aluminum siding. 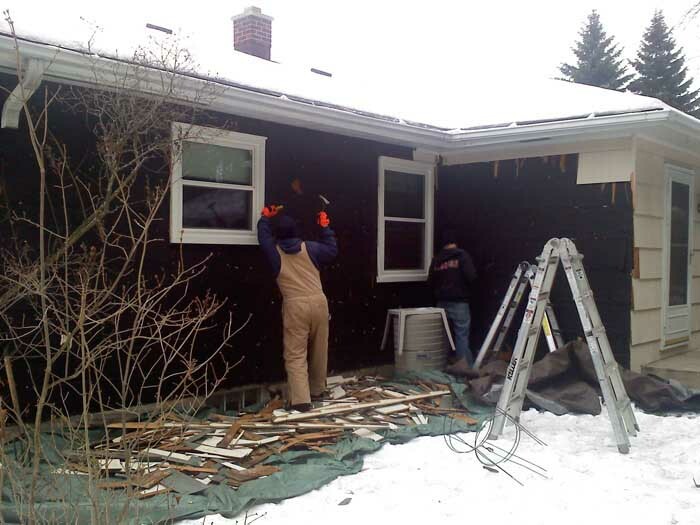 Removal of trim on windows and doors. 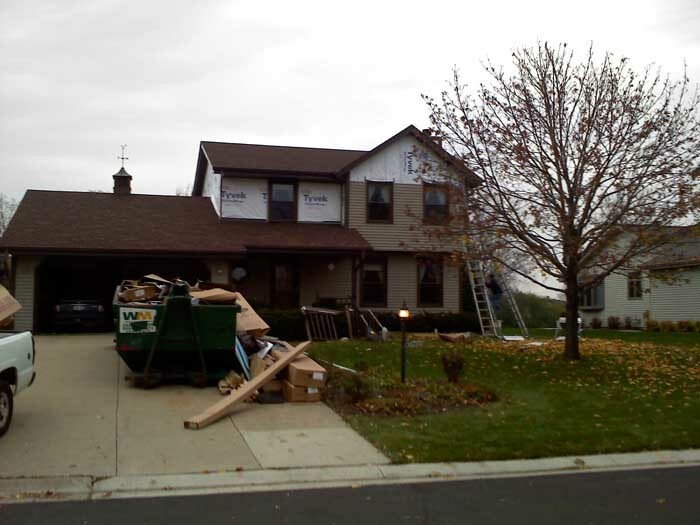 Installation of aluminum trim on windows & doors. 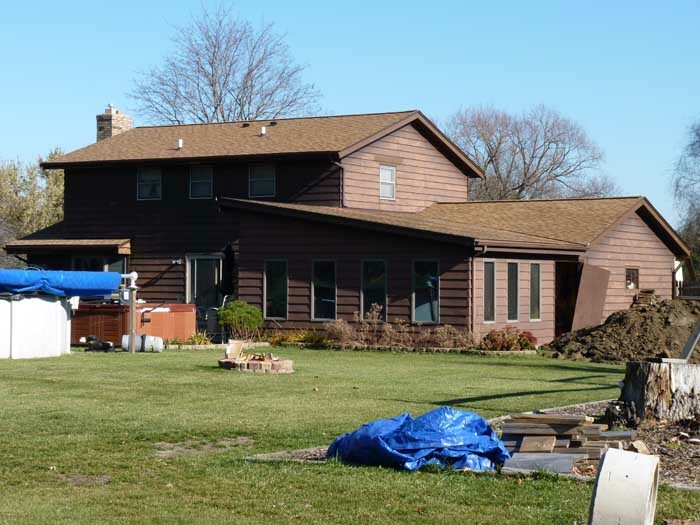 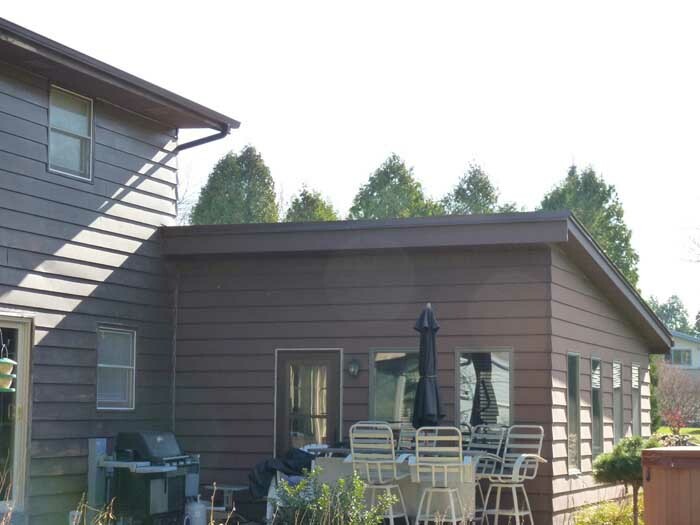 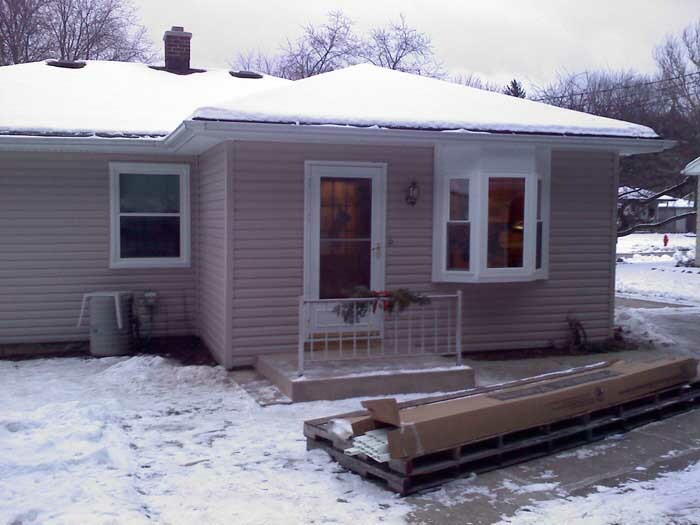 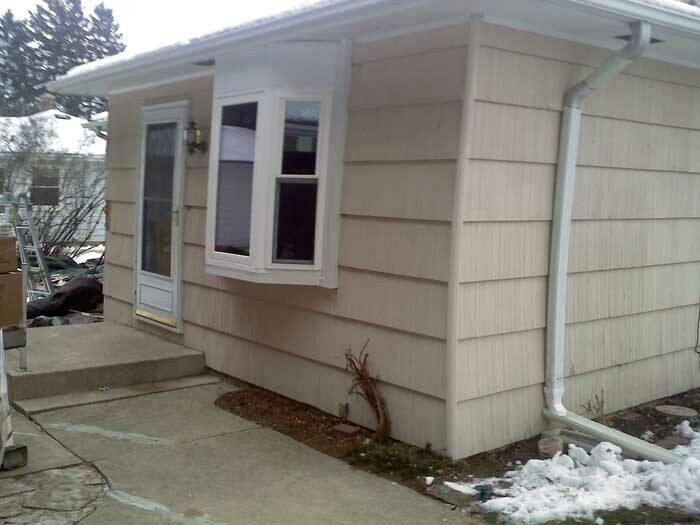 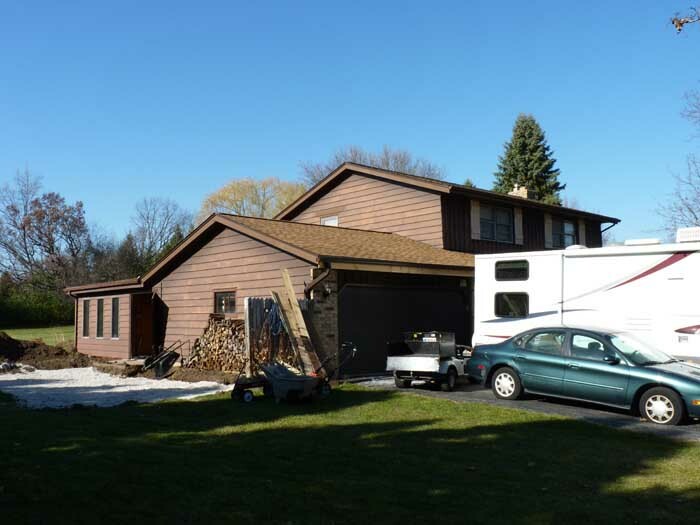 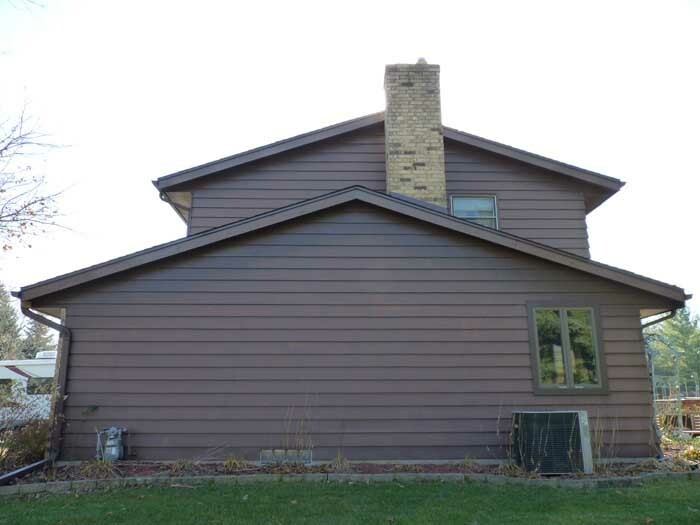 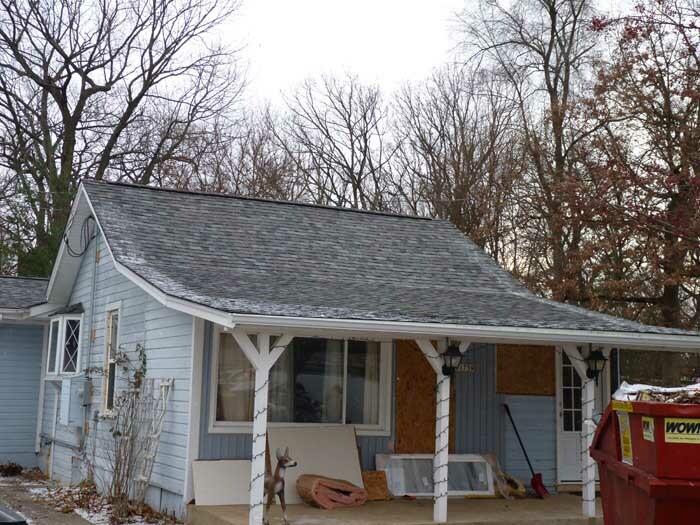 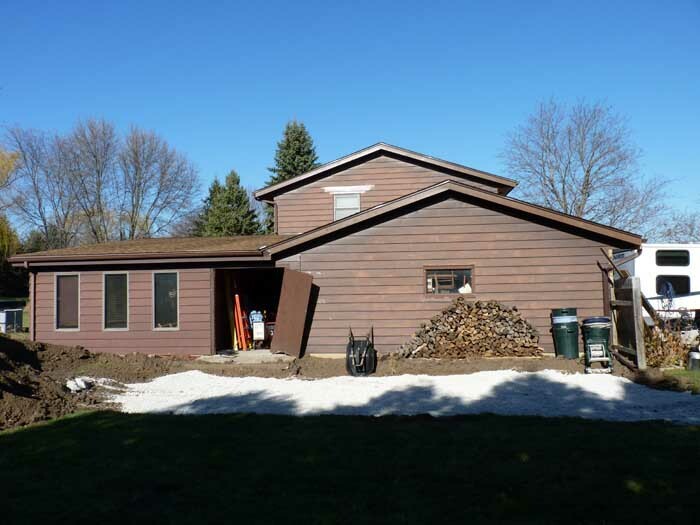 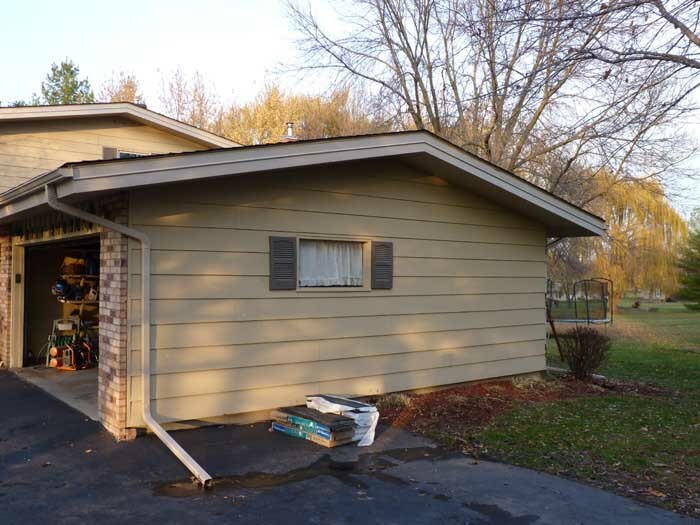 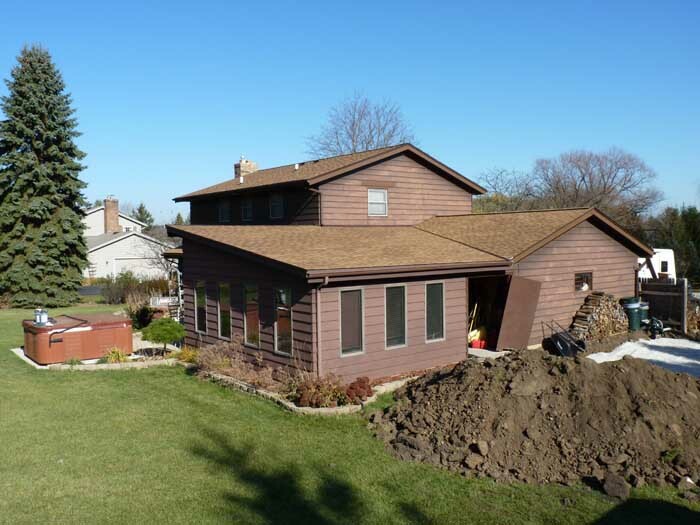 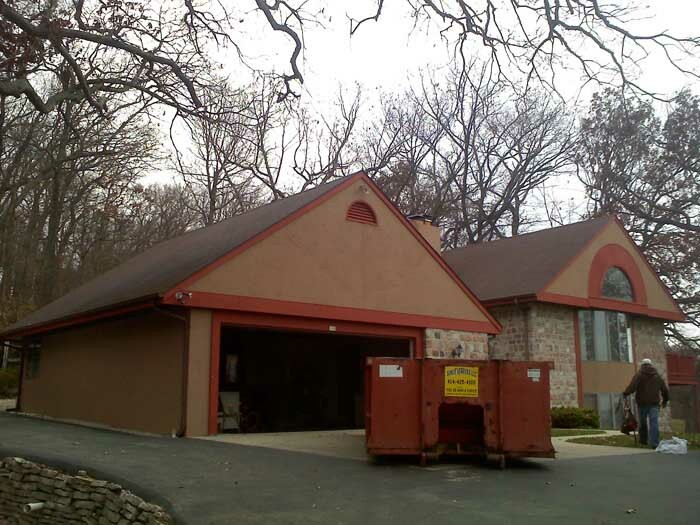 installation of CraneBoard (Color: Clay) insulated siding with accent corner post (Color: Cabin). 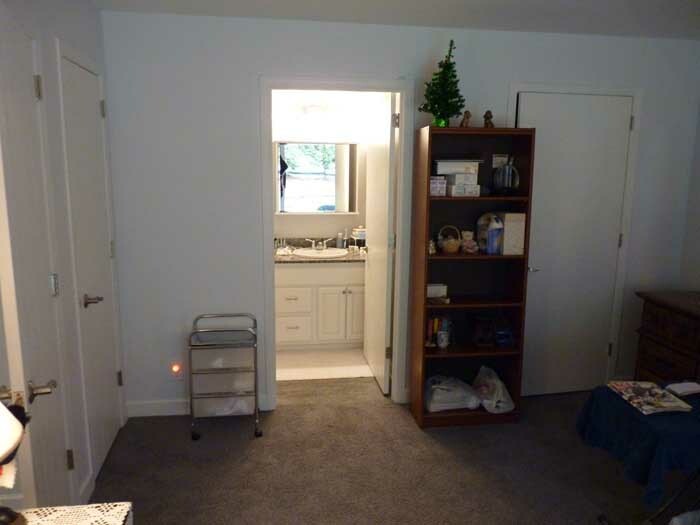 This job has 13 photos. 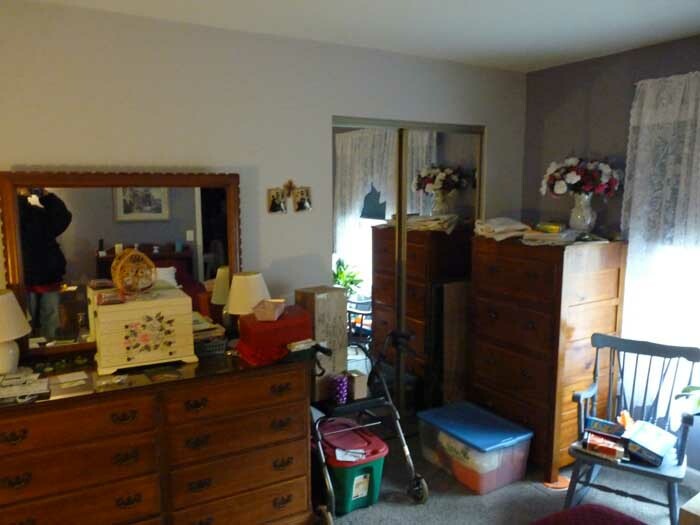 Click on the photo to see this jobs complete photo gallery. 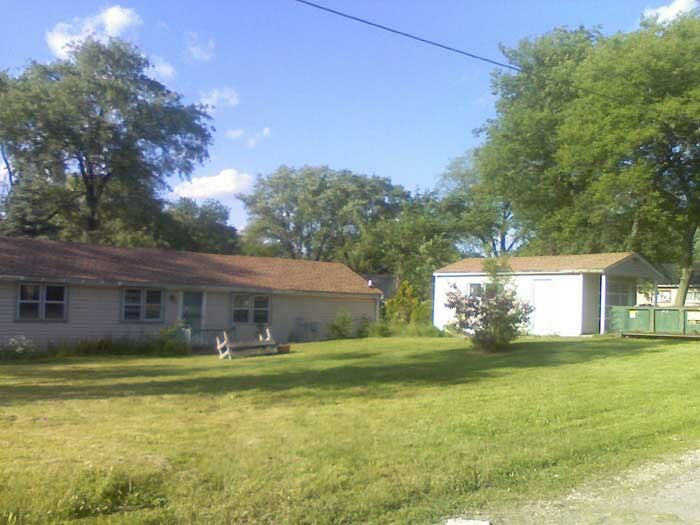 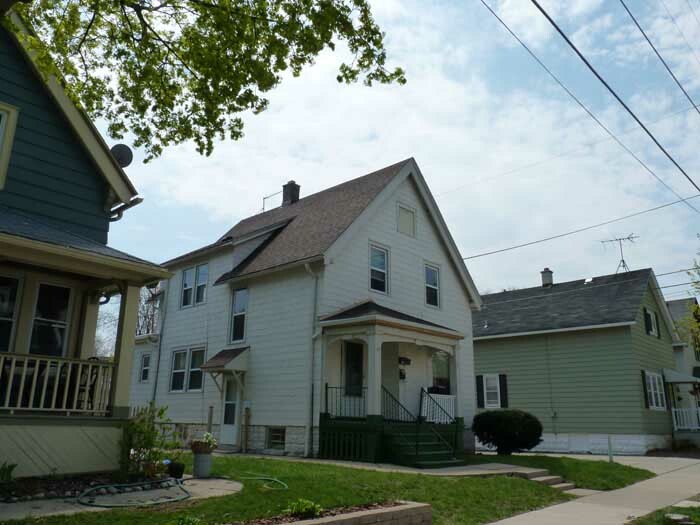 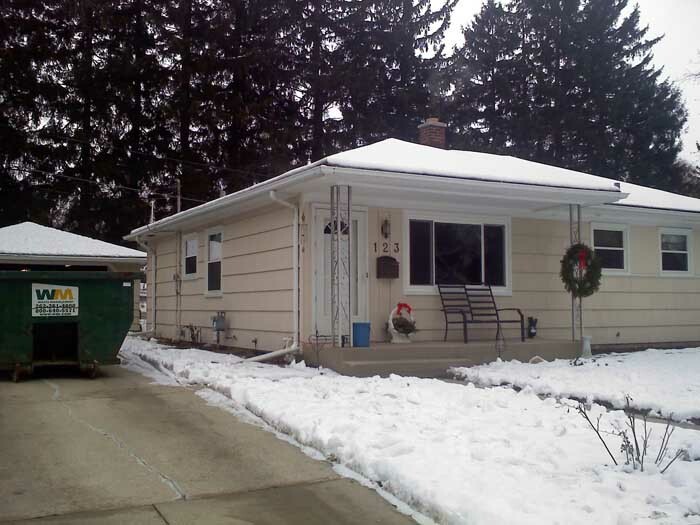 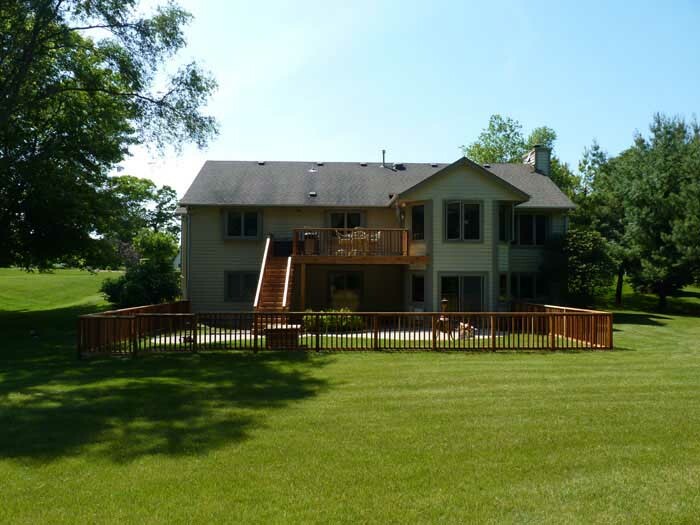 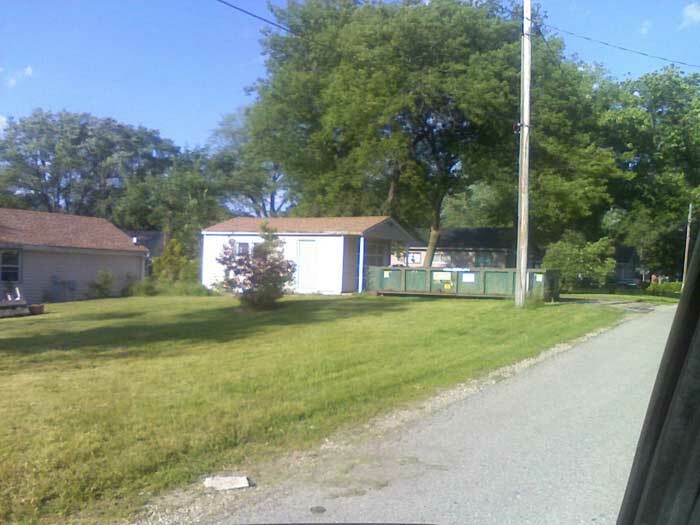 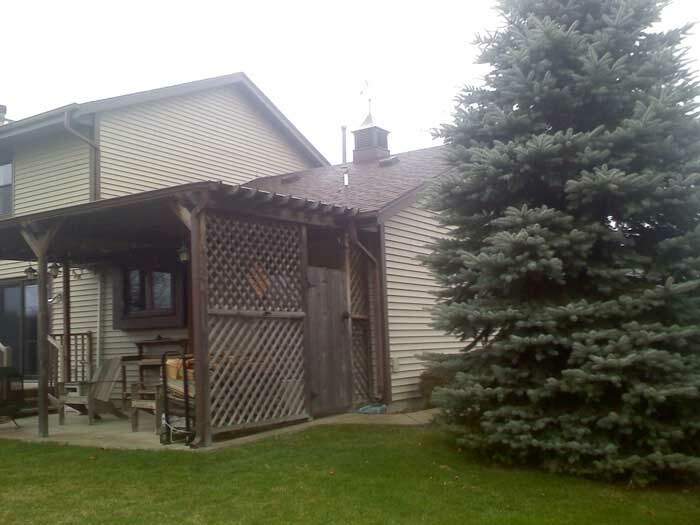 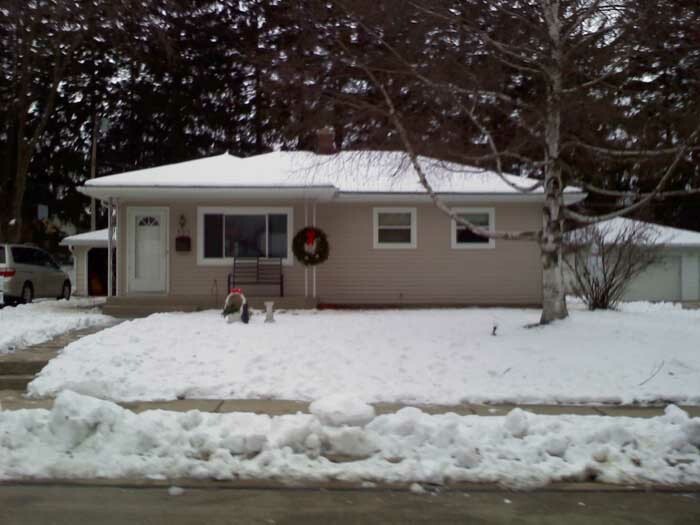 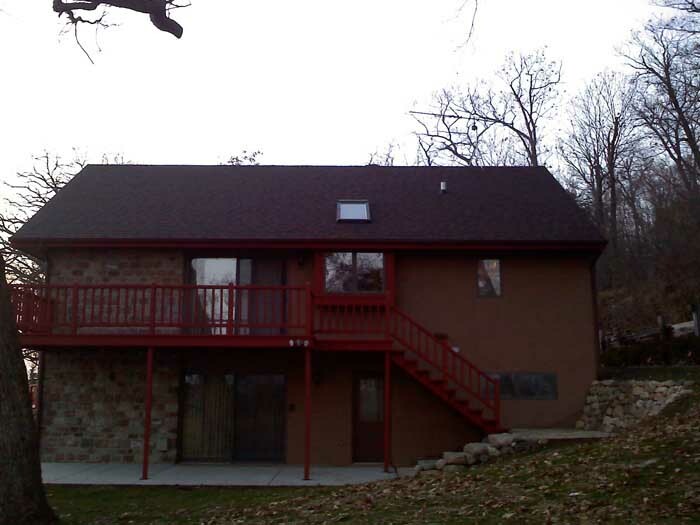 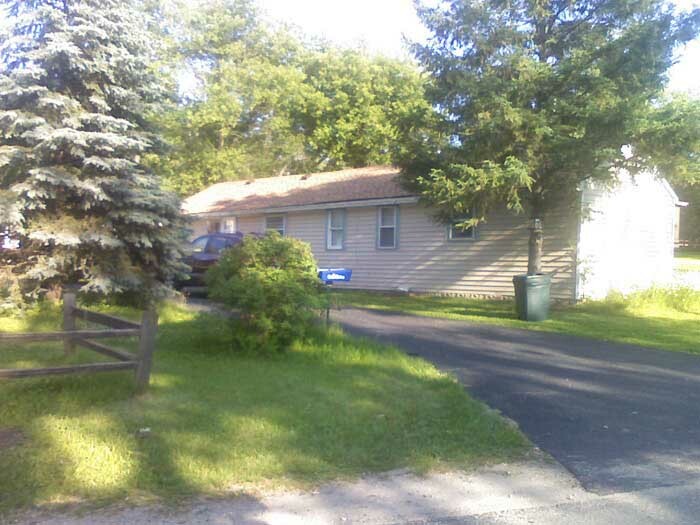 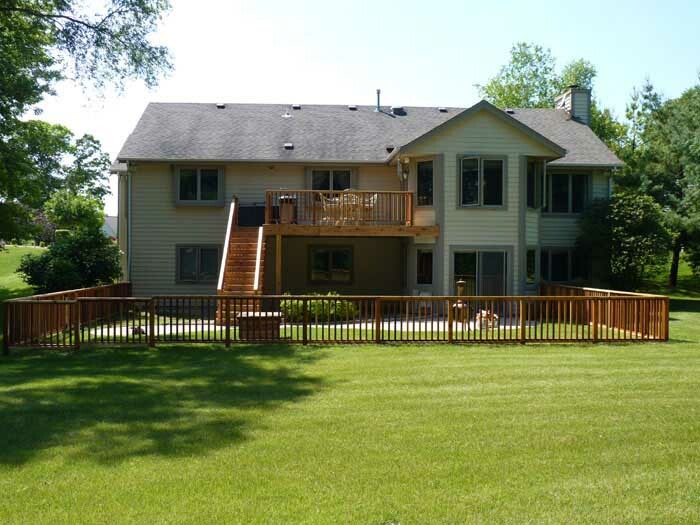 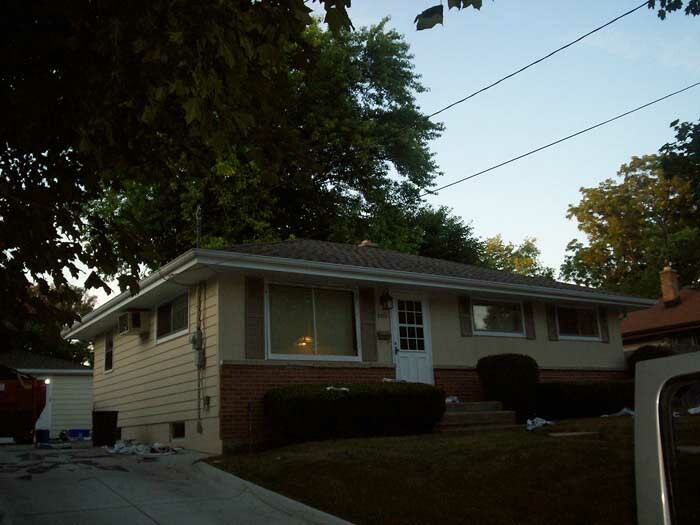 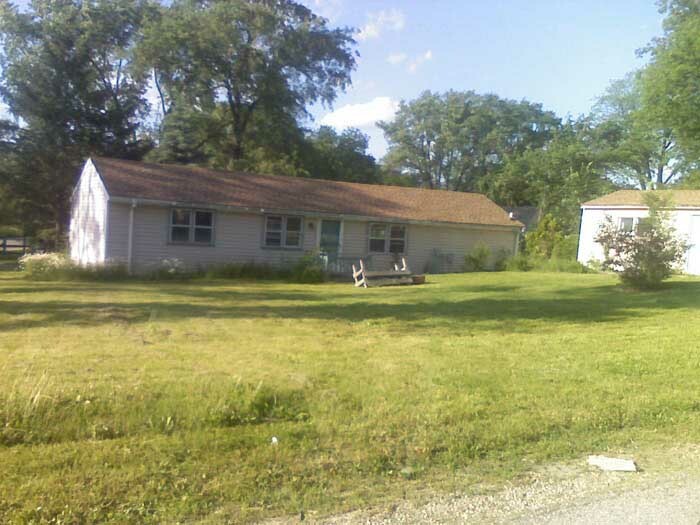 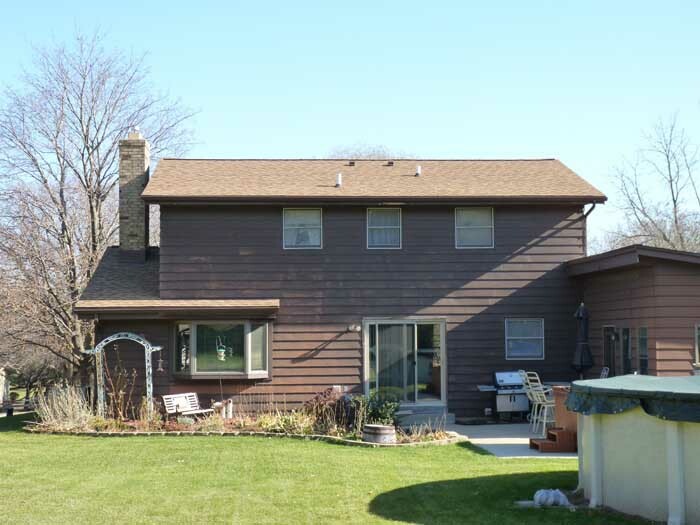 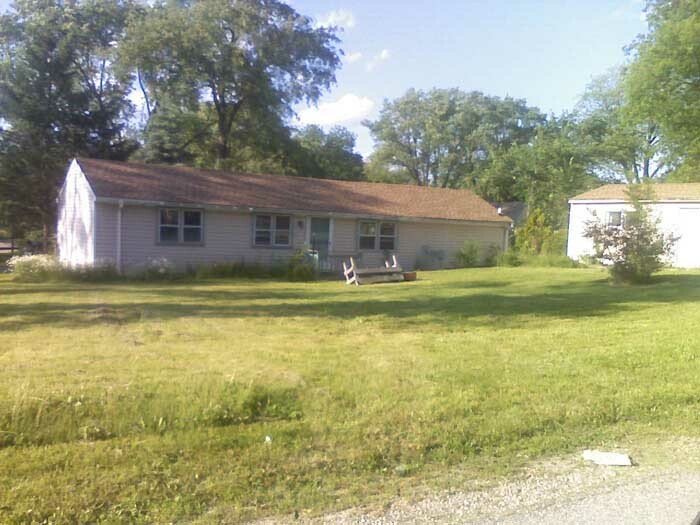 After-Side & front of home. 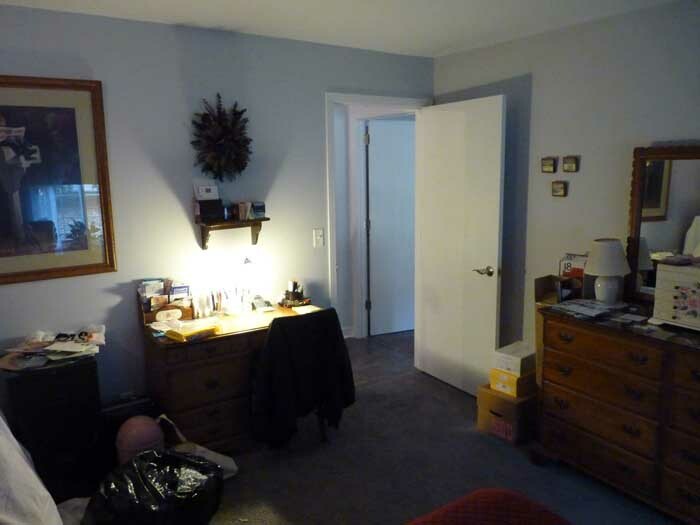 This job has 28 photos. 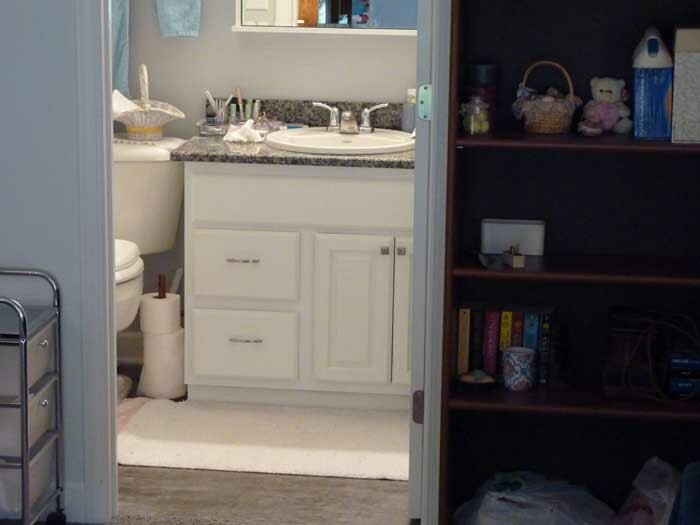 Click on the photo to see this jobs complete photo gallery. 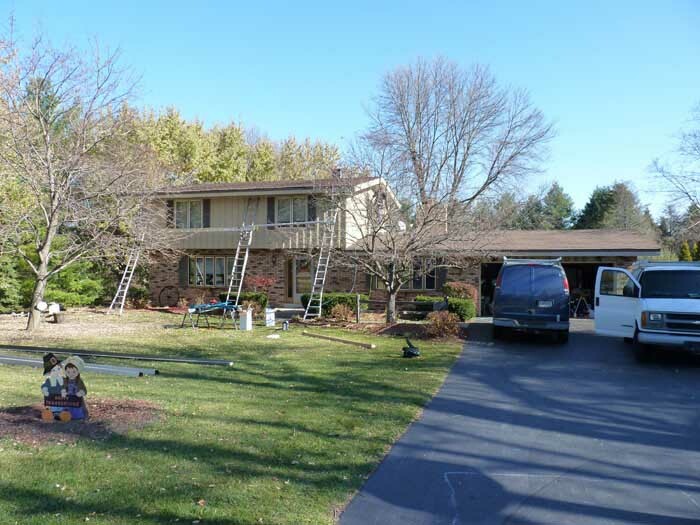 Complete 2 layer asphalt shingle tear-off and gutter removal. 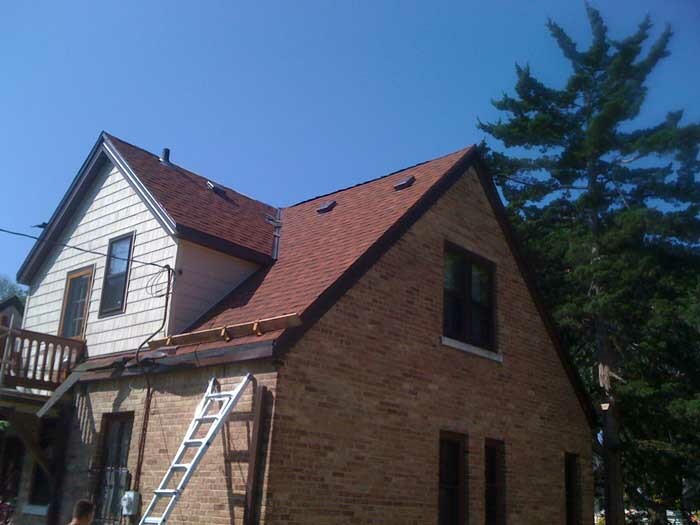 Installation GAF-ELK 30 Year High Definition Shingles (Color: Hickory). 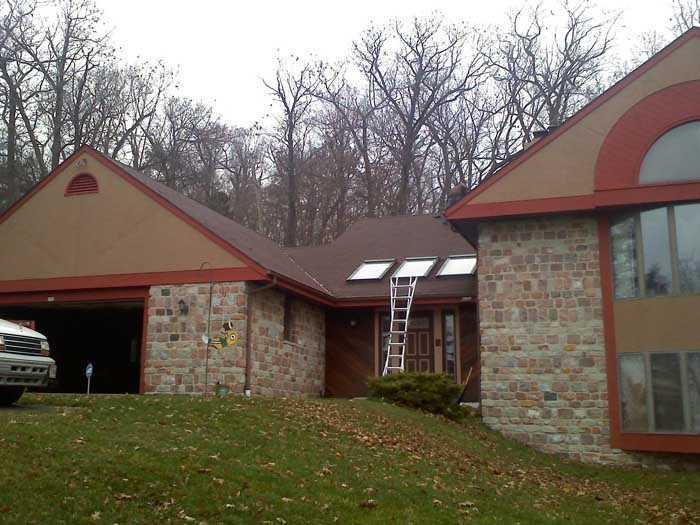 Installation of GAF-ELK Snow & Country Ridge Vent. 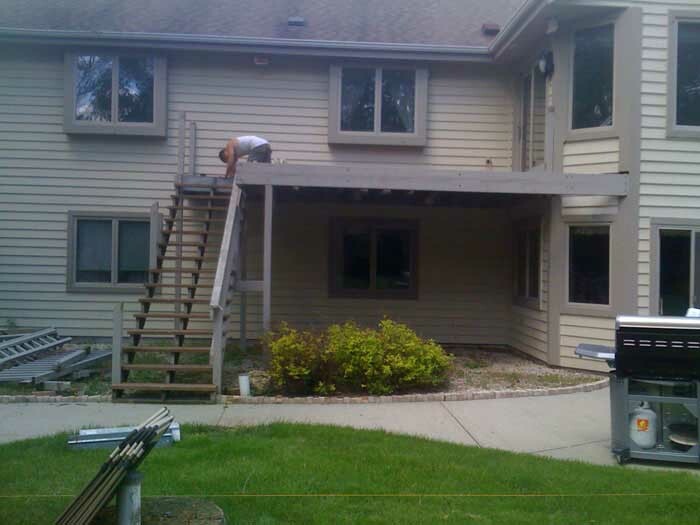 Installation of 5k Seamless Aluminum Gutters with 4" downspouts and heavy duty gutter hangers. 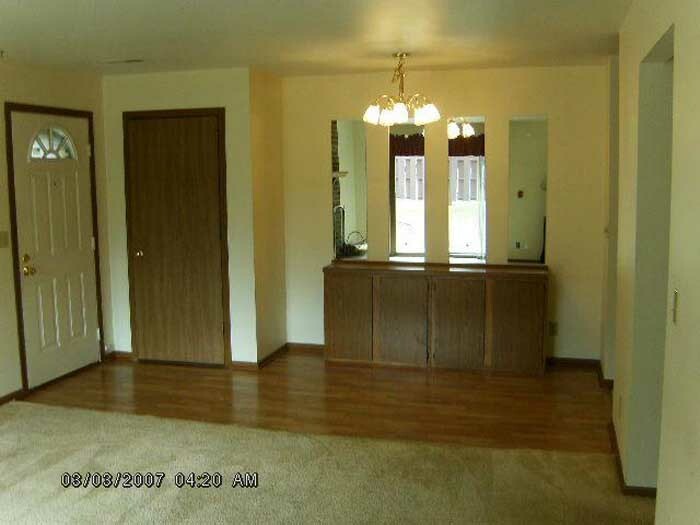 This job has 8 photos. 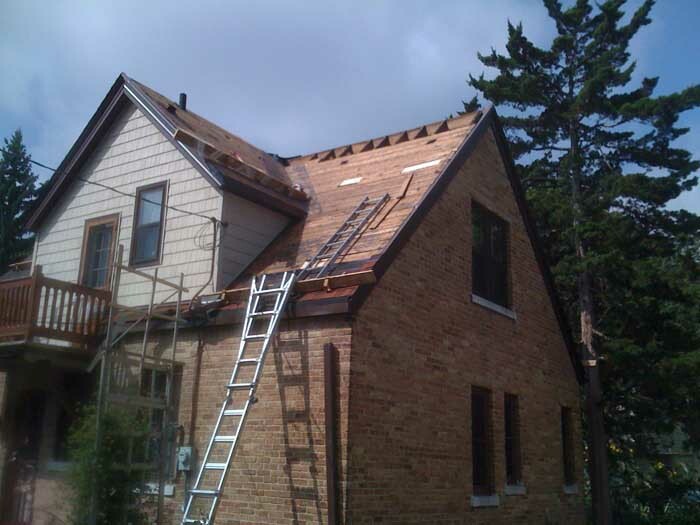 Click on the photo to see this jobs complete photo gallery. 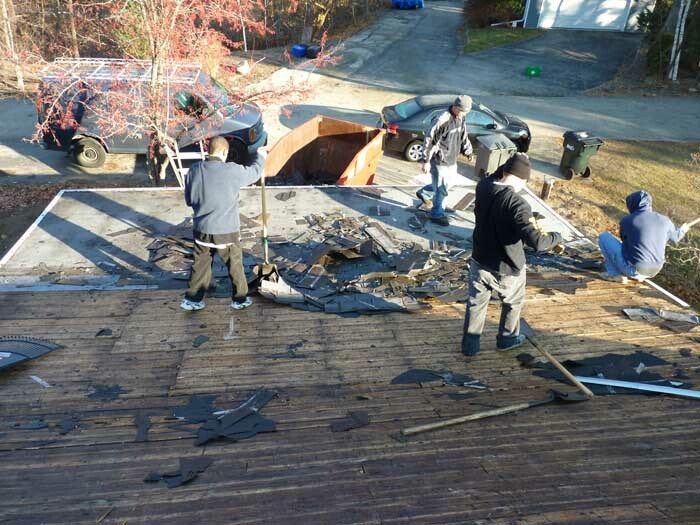 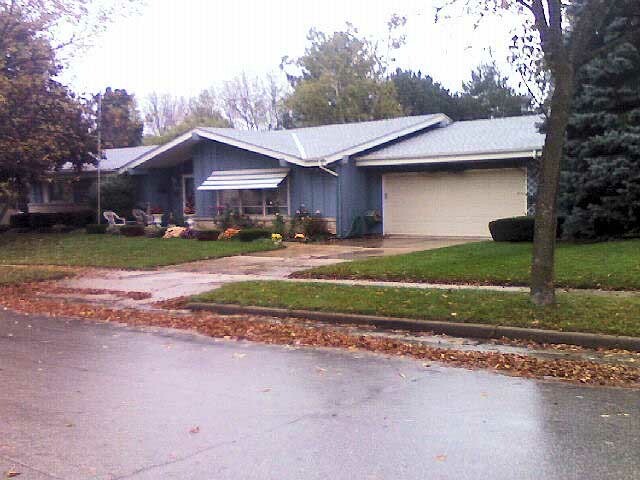 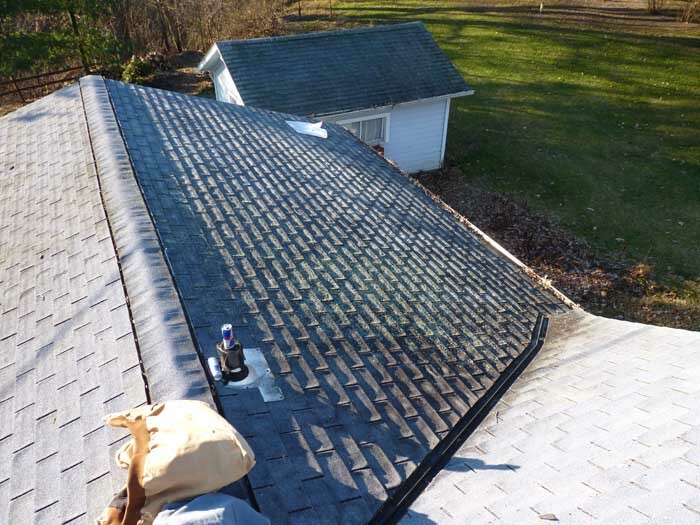 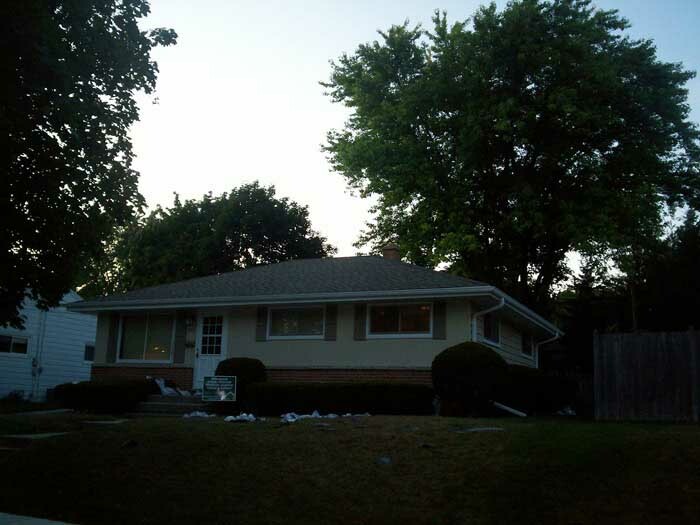 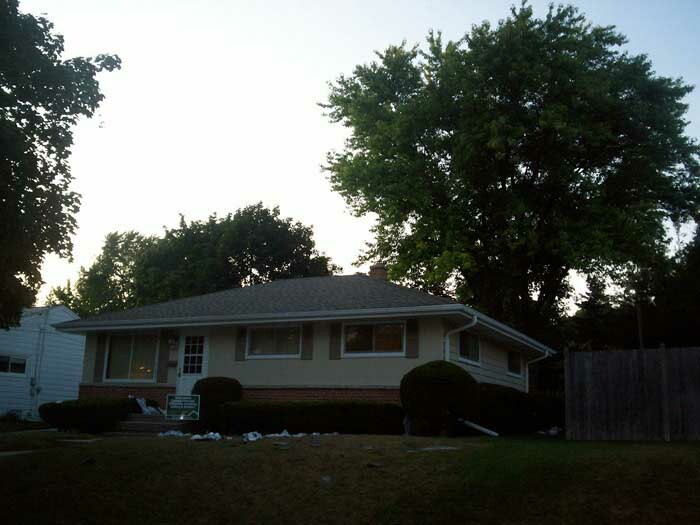 Complete 1 layer asphalt shingle tear-off and gutter removal. 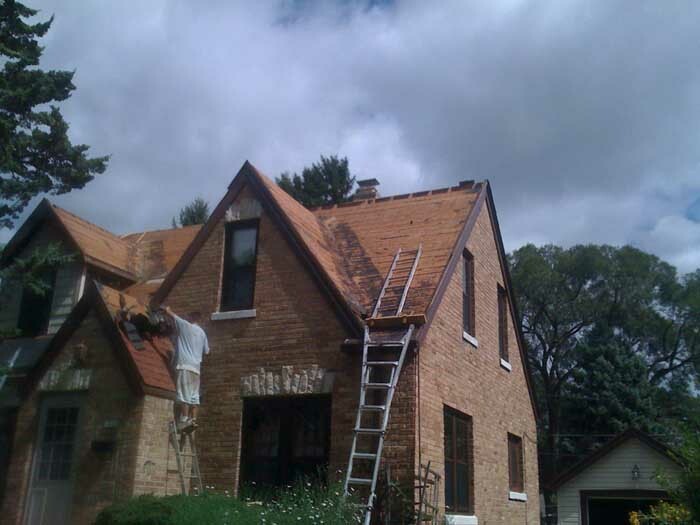 Installation GAF-ELK 30 Year High Definition Shingles (Color: Weathered Wood) and Installation of a tuck point chimney flashing. 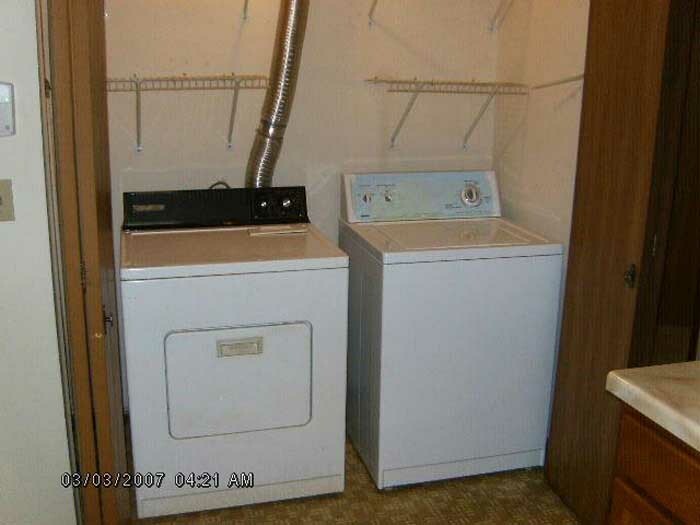 This job has 11 photos. 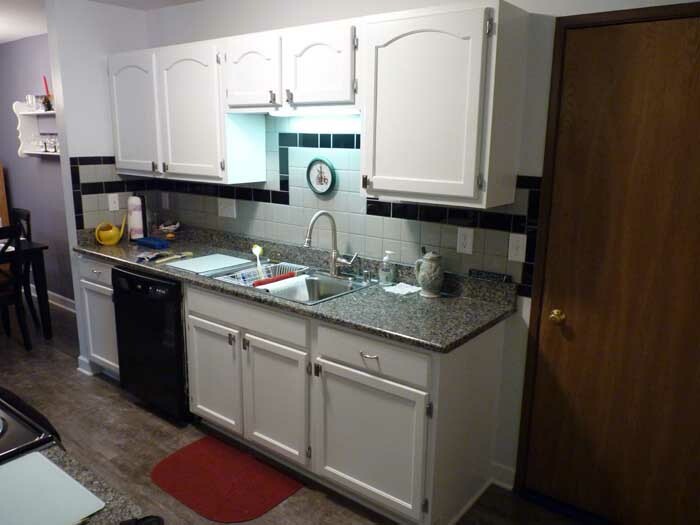 Click on the photo to see this jobs complete photo gallery. 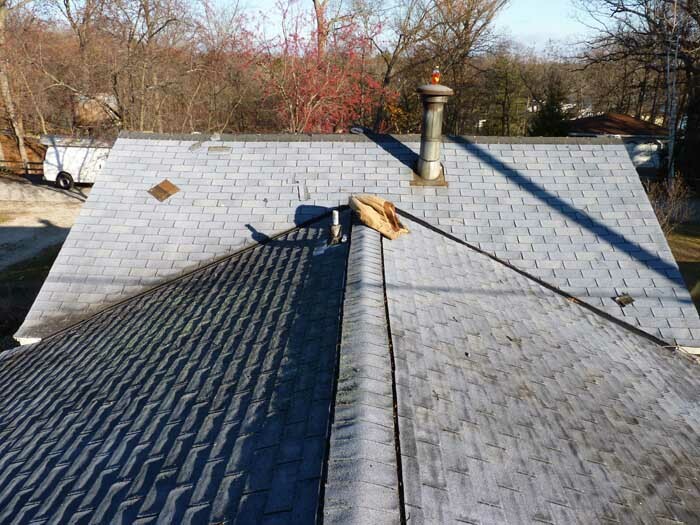 Complete 2 layer asphalt shingle tear-off and gutter removal. 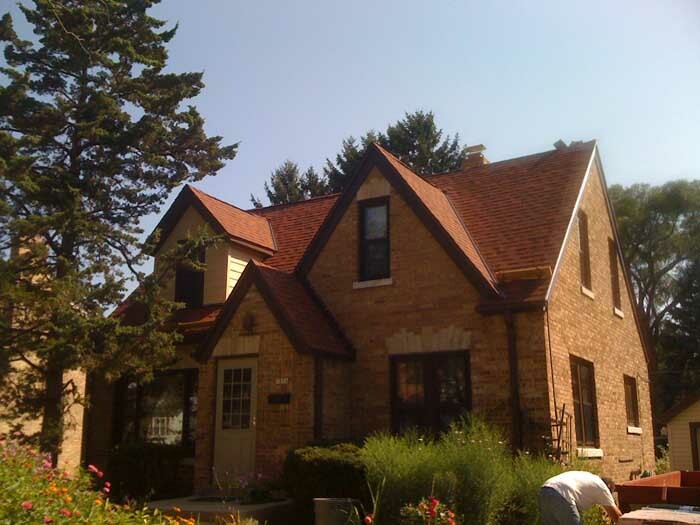 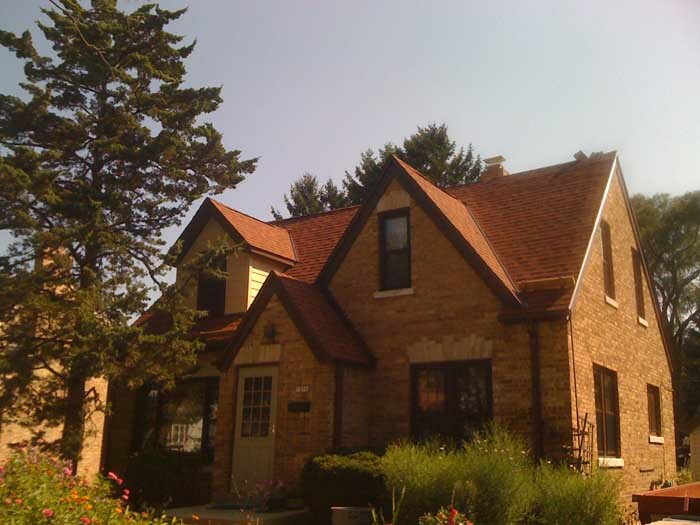 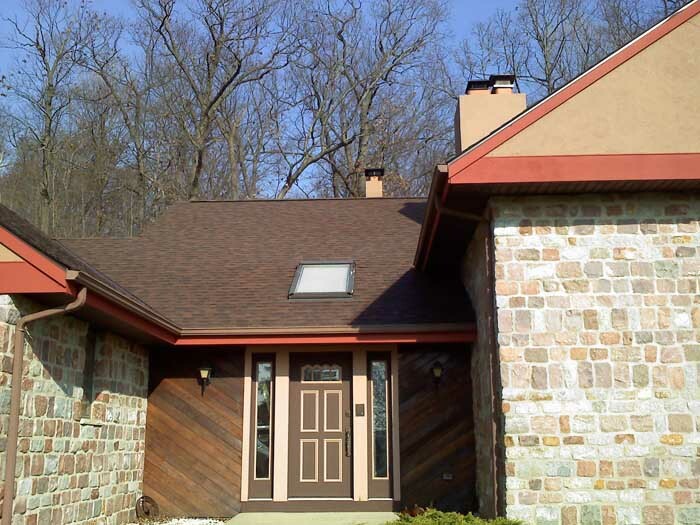 Installation GAF-ELK 30 Year High Definition Shingles (Color: Shakewood). 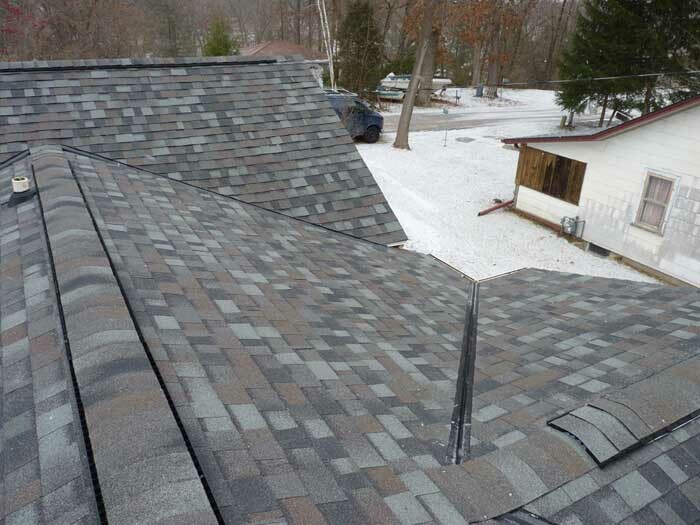 Installation of GAF-ELK Snow & Country Ridge Vent. 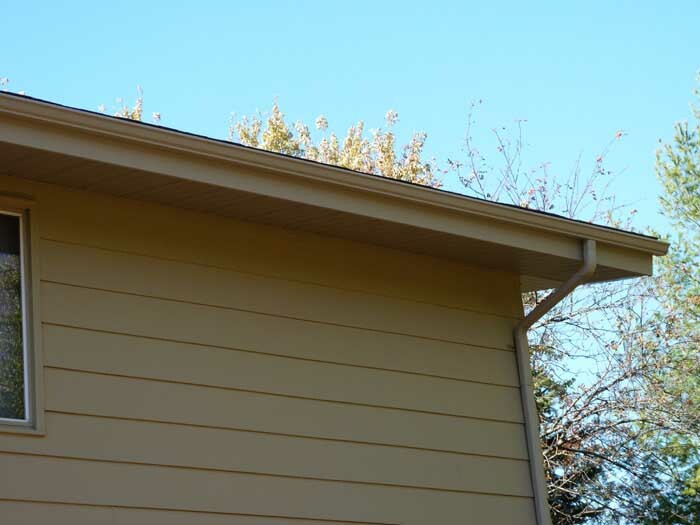 Installation of 5k Seamless Aluminum Gutters with 4" downspouts and heavy duty gutter hangers. 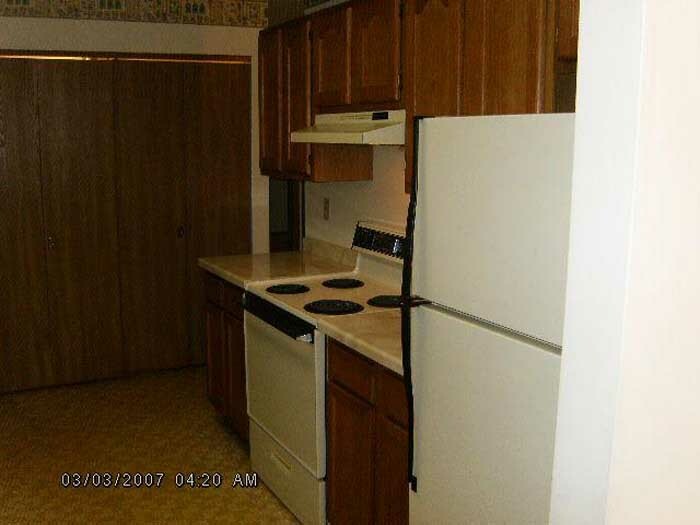 This job has 5 photos. 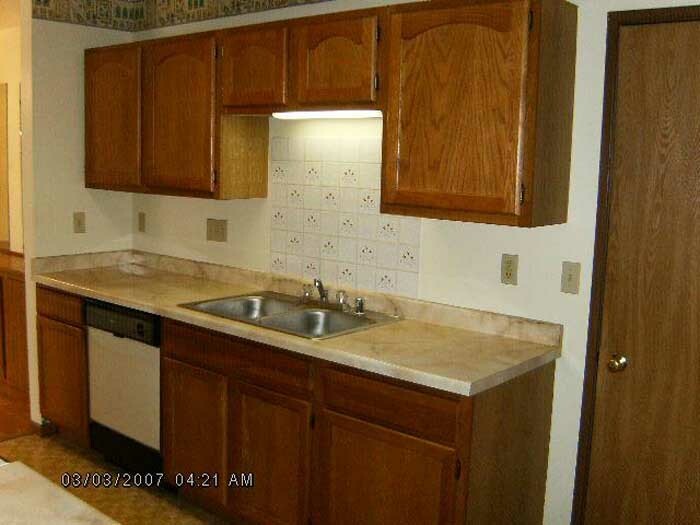 Click on the photo to see this jobs complete photo gallery. 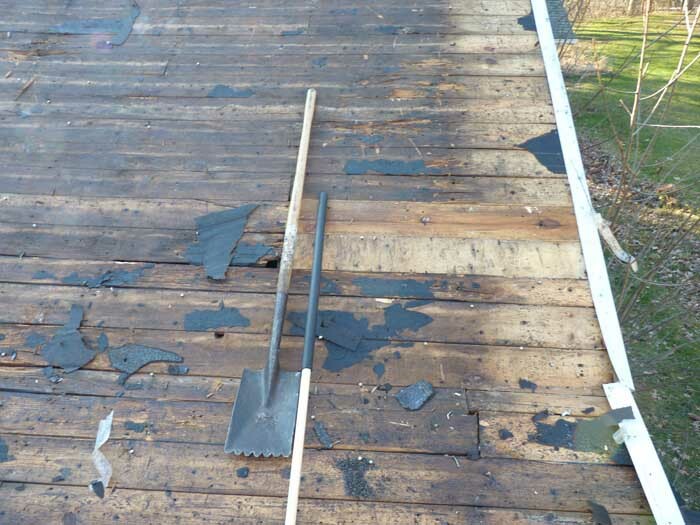 Complete 2 layer asphalt shingle tear-off and gutter removal. 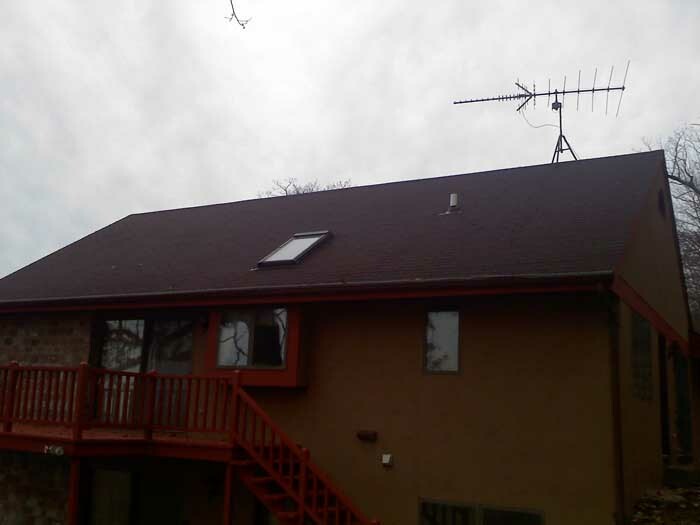 Installation GAF-ELK 30 Year High Definition Shingles (Color: Sablewood) and Installation of tuck point chimney flashing. 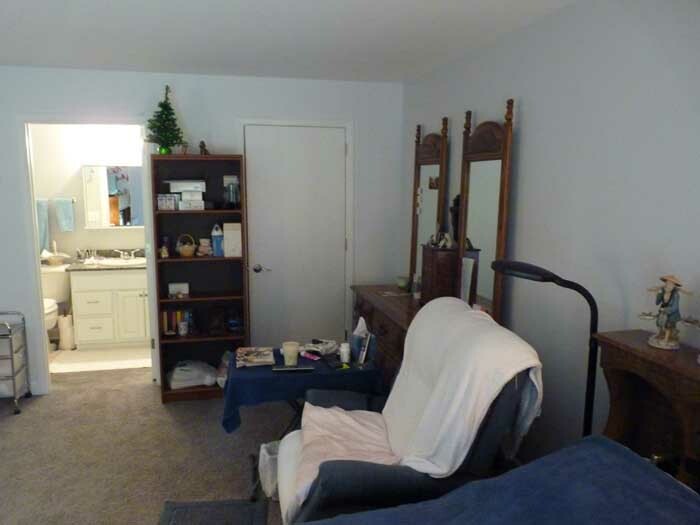 This job has 1 photos. 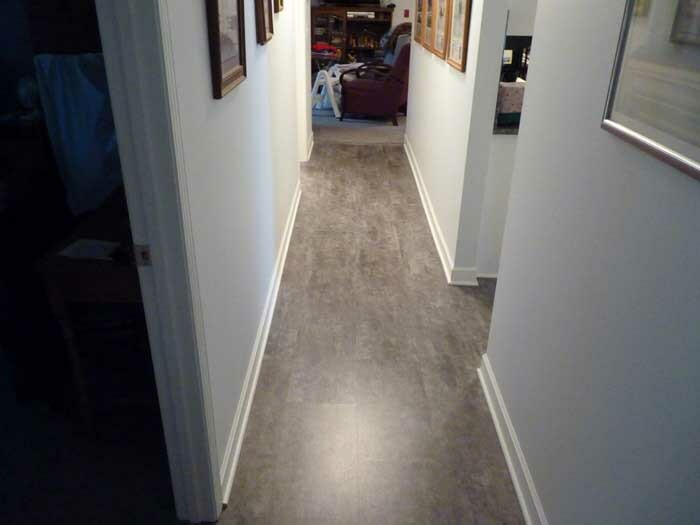 Click on the photo to see this jobs complete photo gallery. 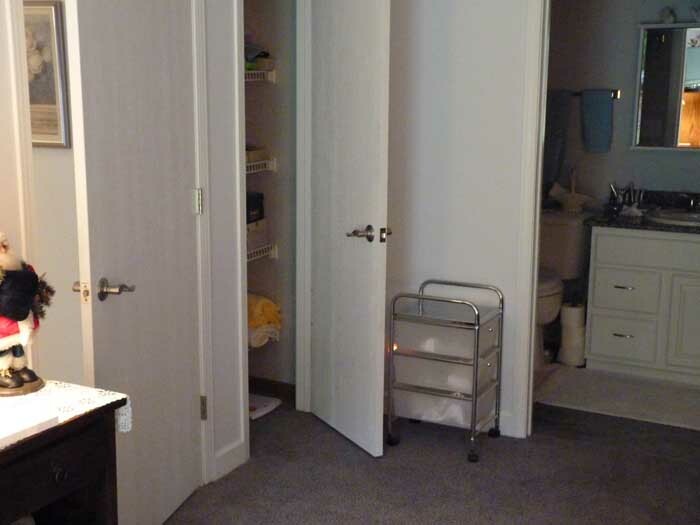 This job has 2 photos. 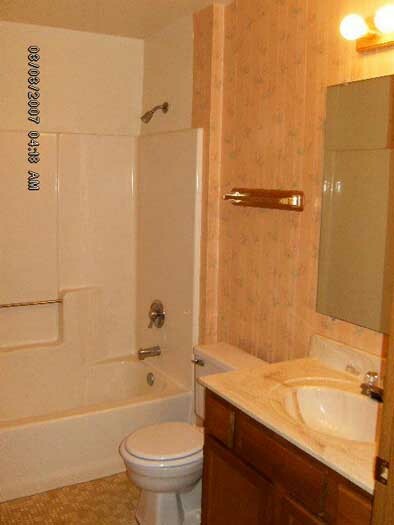 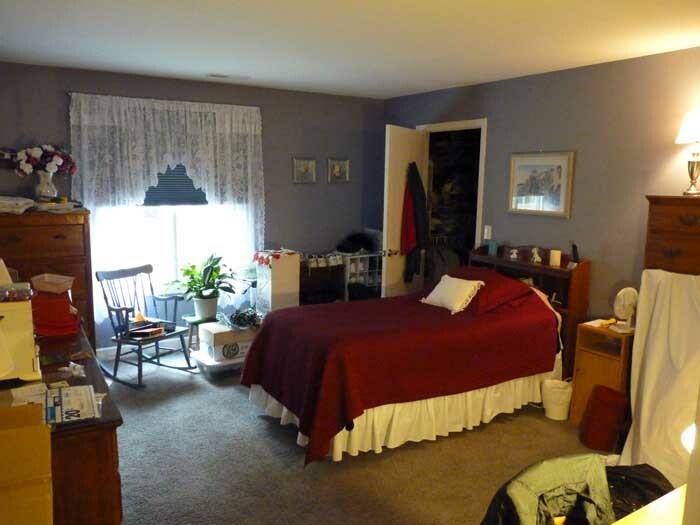 Click on the photo to see this jobs complete photo gallery.